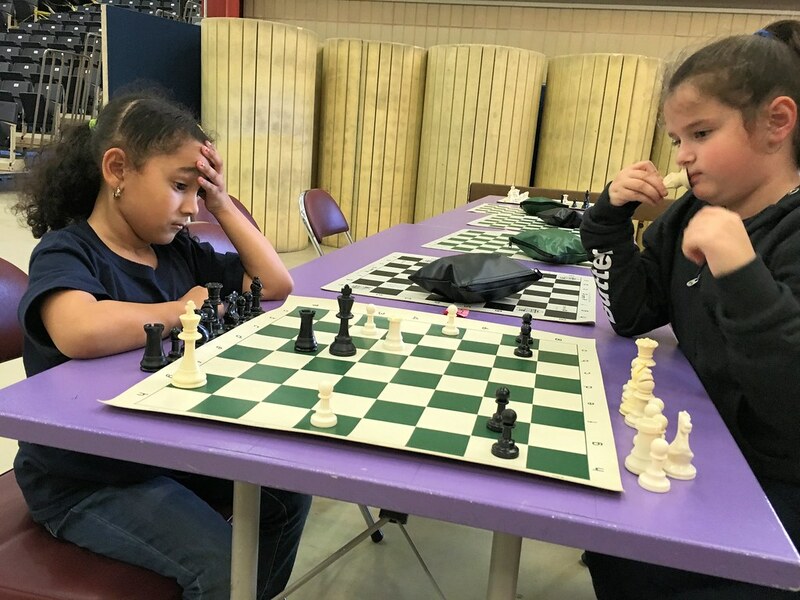 At Chapin School’s All-Girl Chess Tournament on February 24, 2018, our young girls took first in several categories: 3rd-grade team and kindergarten team, plus two individual sections; our 1st- and 2nd-grade teams took 2nd place to Brearley and Dalton, respectively. 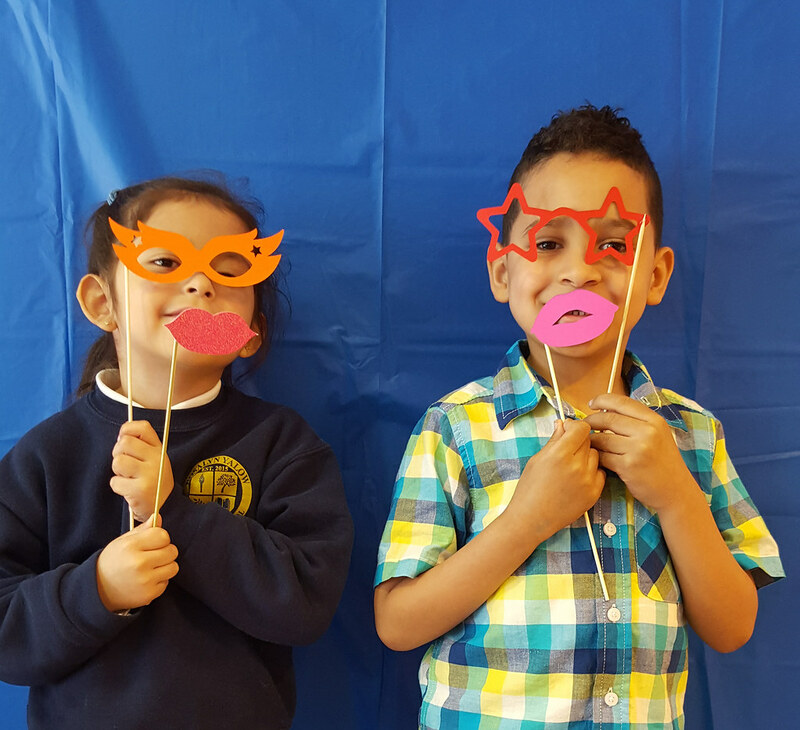 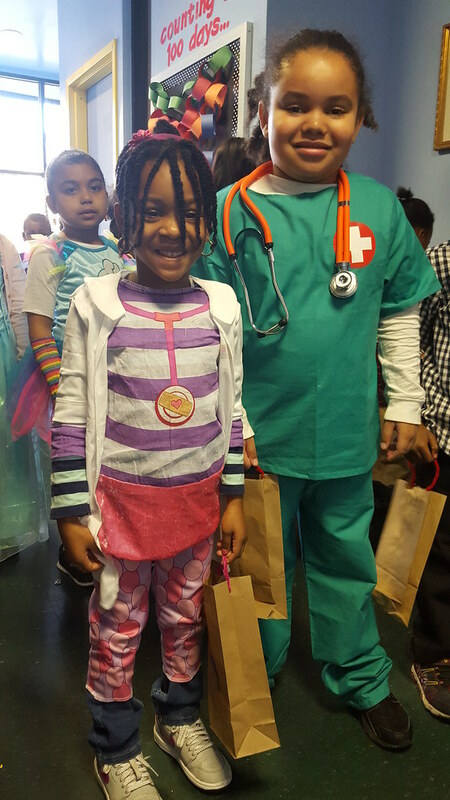 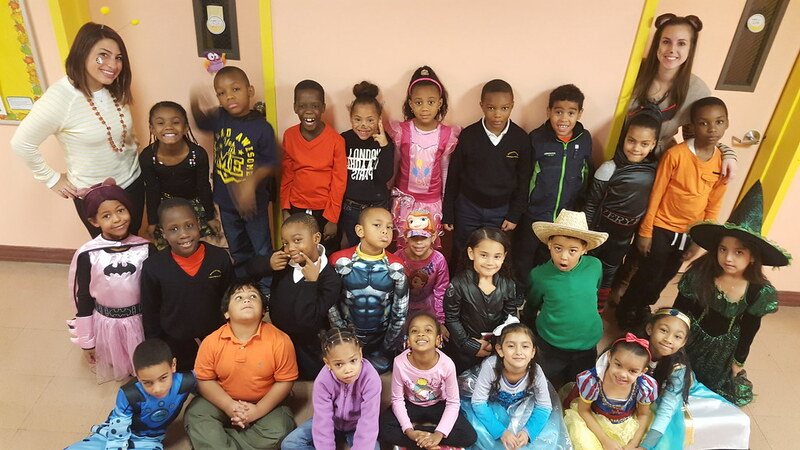 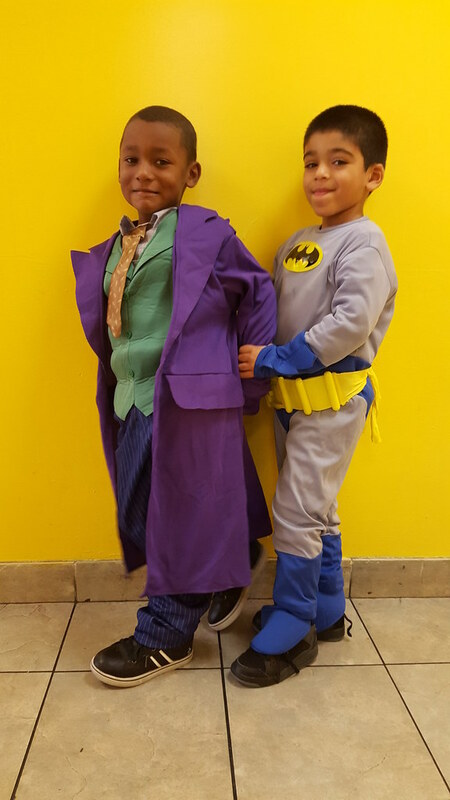 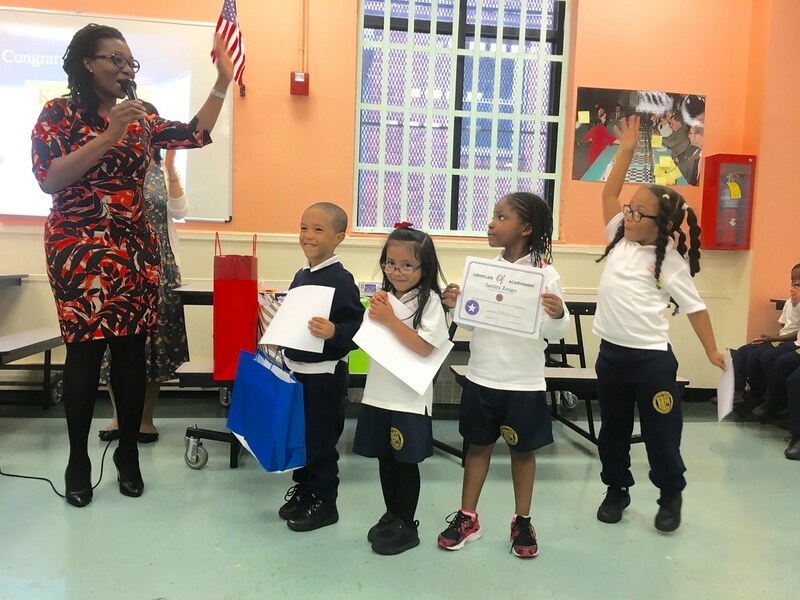 Vitalis Francisco tied for 1st place in the 2nd-grade section, and Kayla Acevedo took 1st in the kindergarten section. 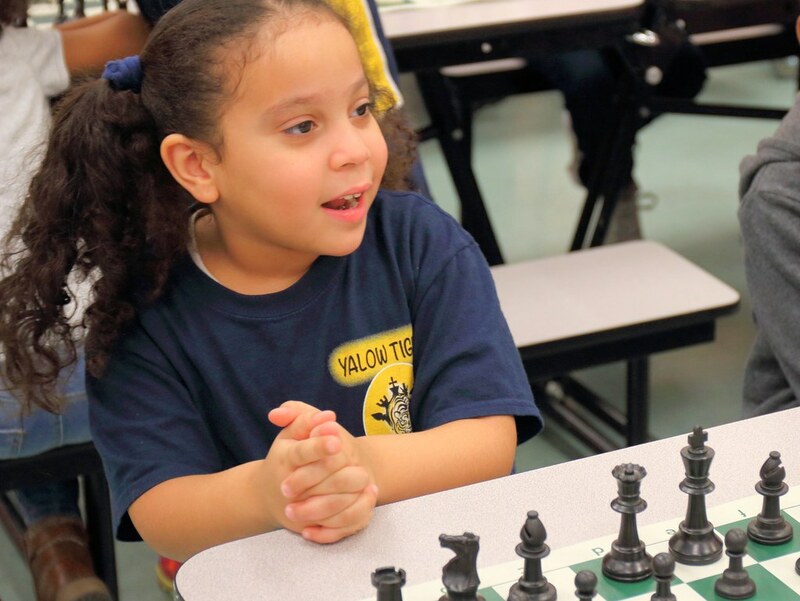 These girls have proven their competitive prowess, and they are proving they can compete with the best private school girls in New York. 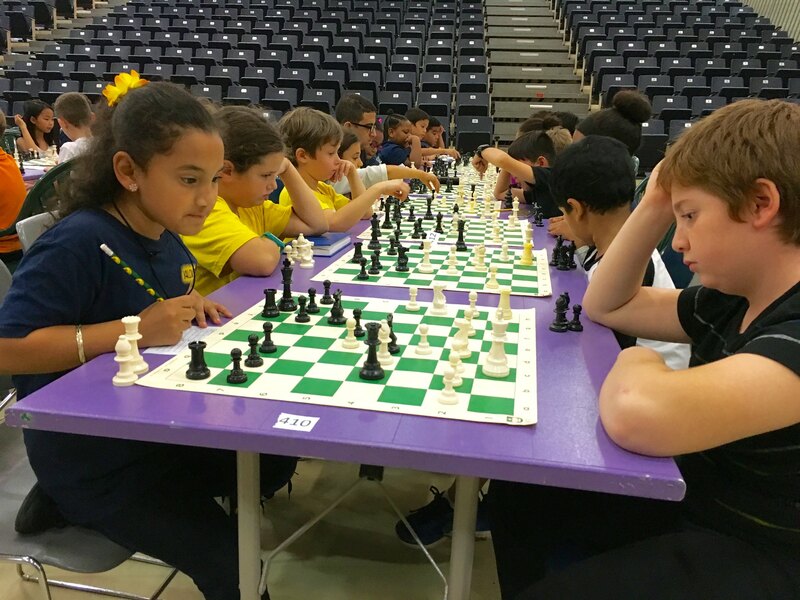 They have grit—recovering from defeats—and a capacity to learn from tactical mistakes over the course of 5 hours of intense competition. 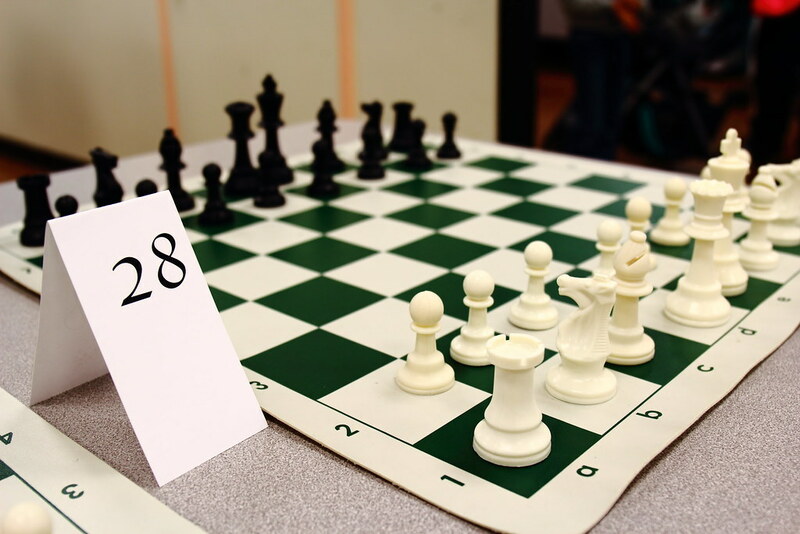 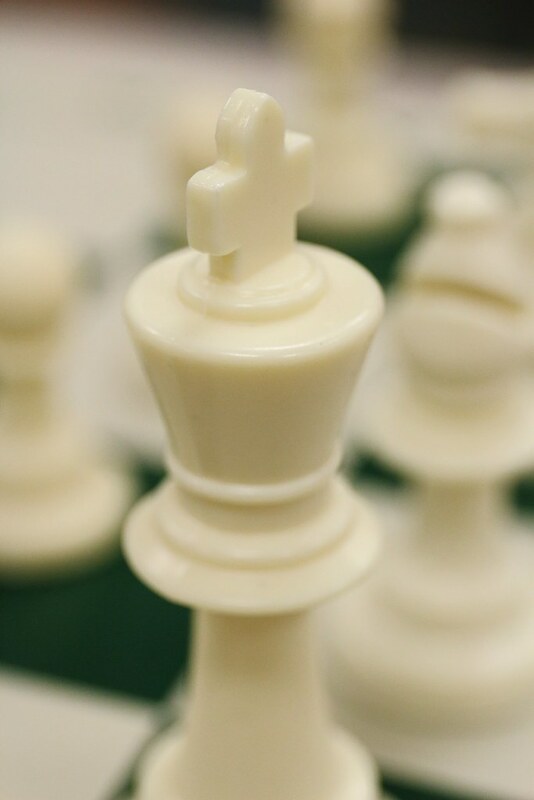 These competitions demand focus and concentration to balance competing objectives in matches that can exceed 60 moves against smart, well-trained opponents. 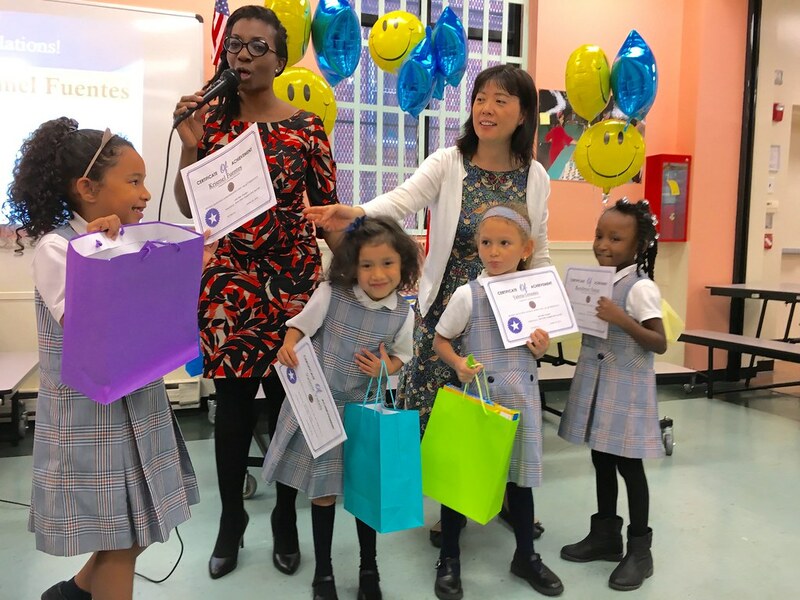 Rosalyn Yalow was the second woman to win a Nobel Prize in medicine, and these young tigers are proving they have the mettle to become trailblazers too. 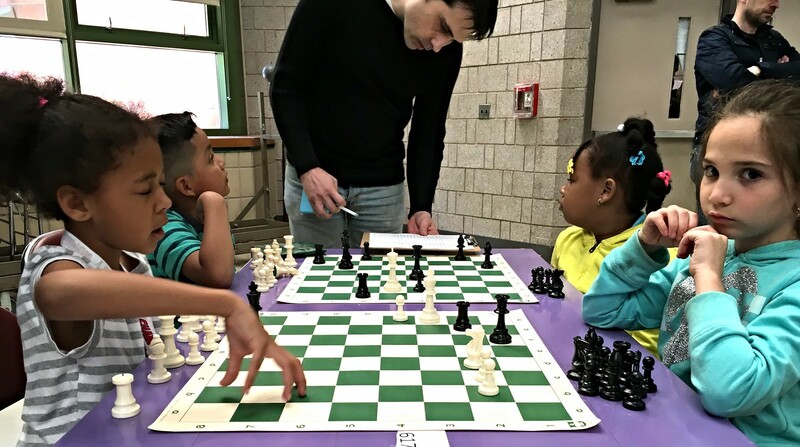 Cudos to all their chess instructors and classroom teachers! 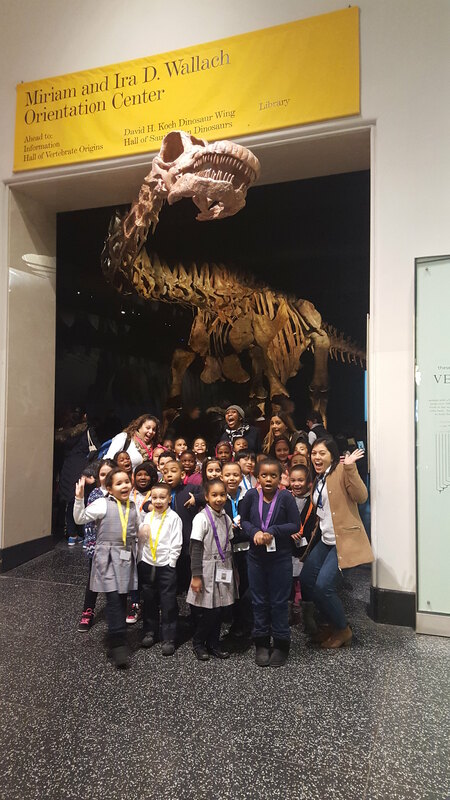 7-time U.S. women’s champion, Irena Krush, posed with our tigers following their victories. 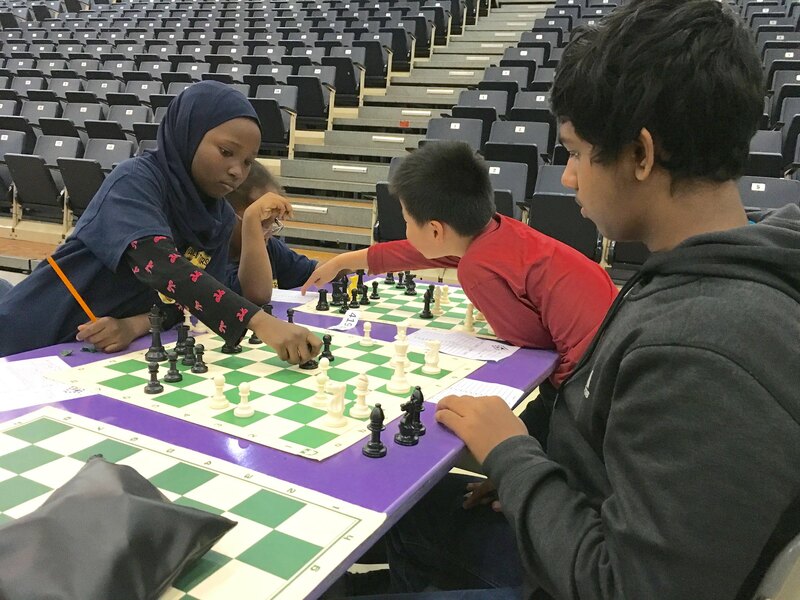 The Yalow Tigers chess team is off to a strong start, with 35 players competing in two tournaments to begin the 2017-18 tournament circuit. 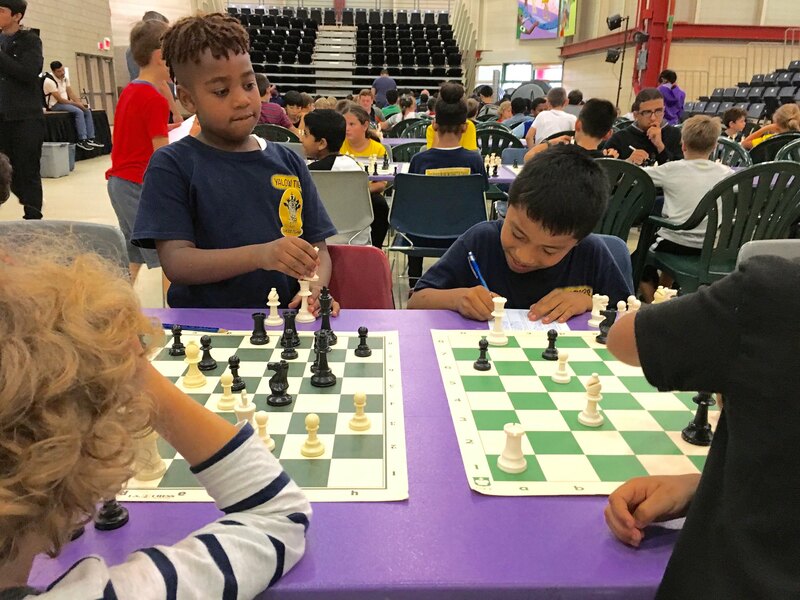 In the first—the Right Moves tournament—on Sunday, October 15, our Tigers took 1st place in the Under-400 rated section, 3rd place in the Under-600, and 3rd place in the Unrated. 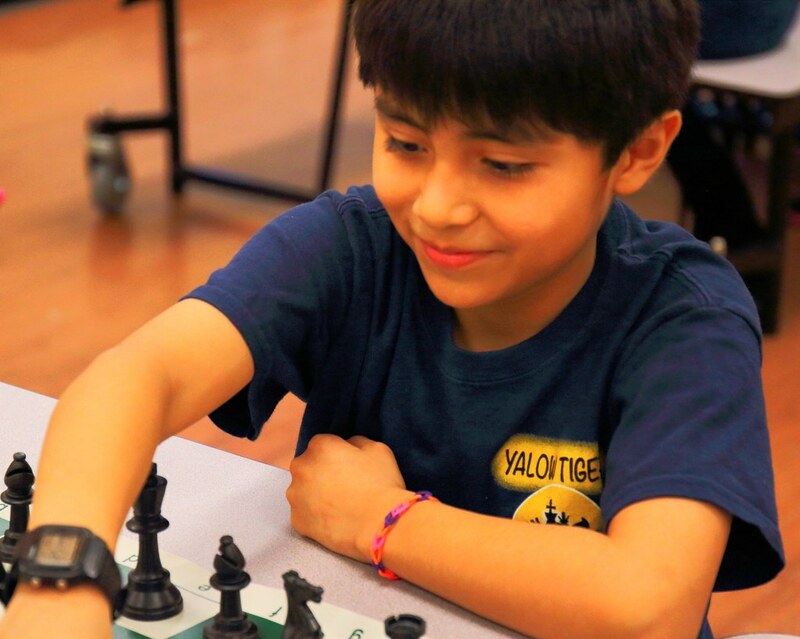 Yalow’s team has grown to the point where the Tigers are now competing in 3 sections, as their individual ratings rise, thus pushing them into ever more competitive sections and pitting them against significantly older players. 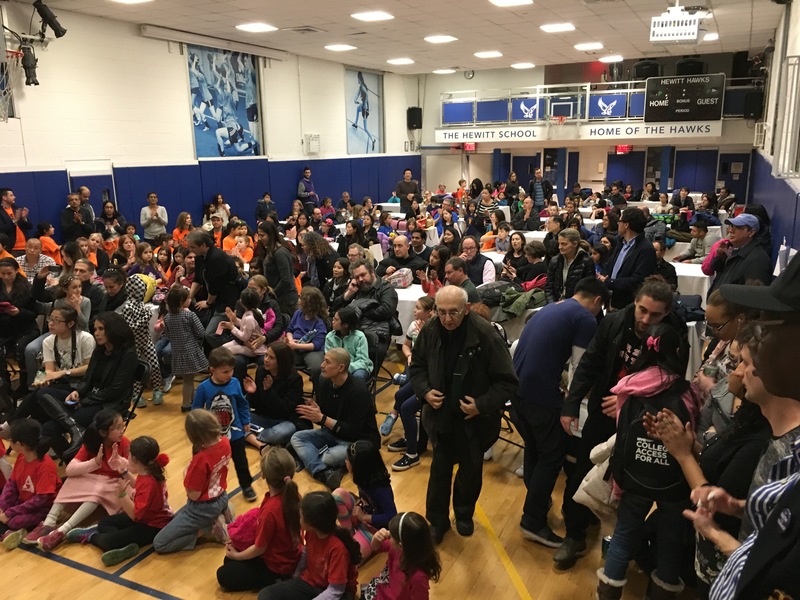 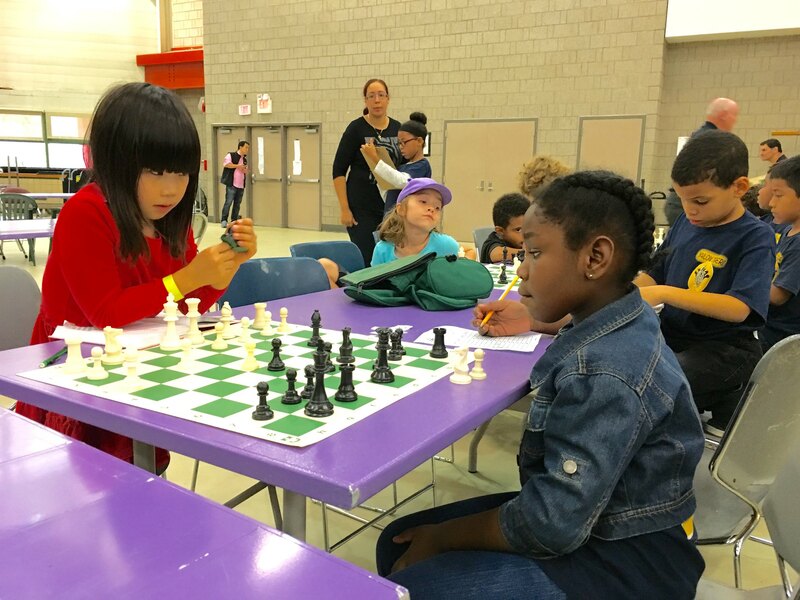 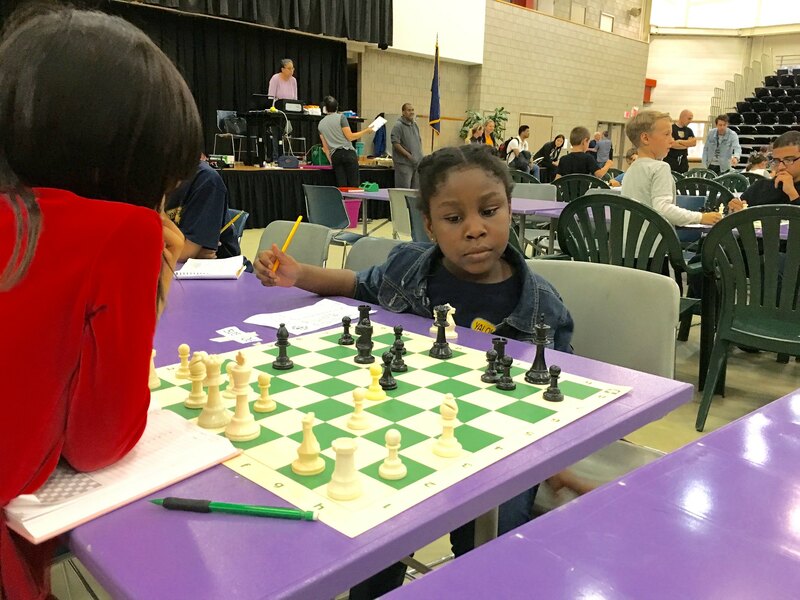 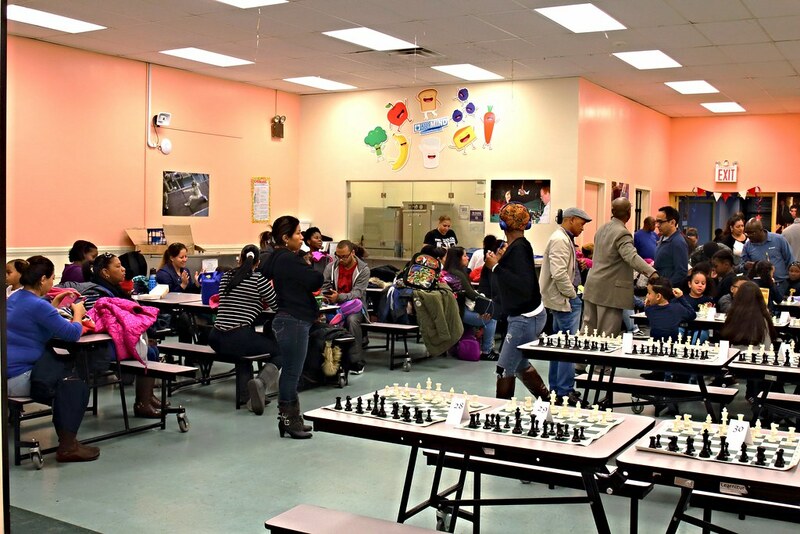 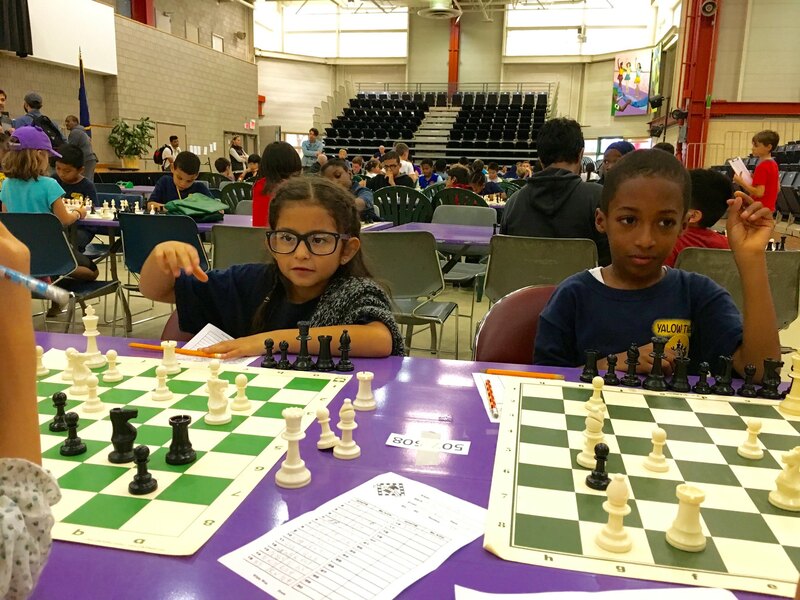 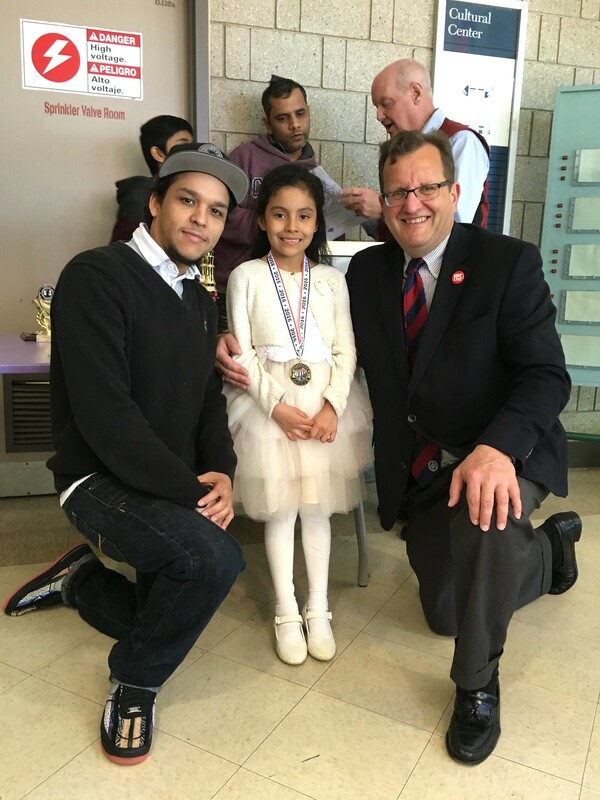 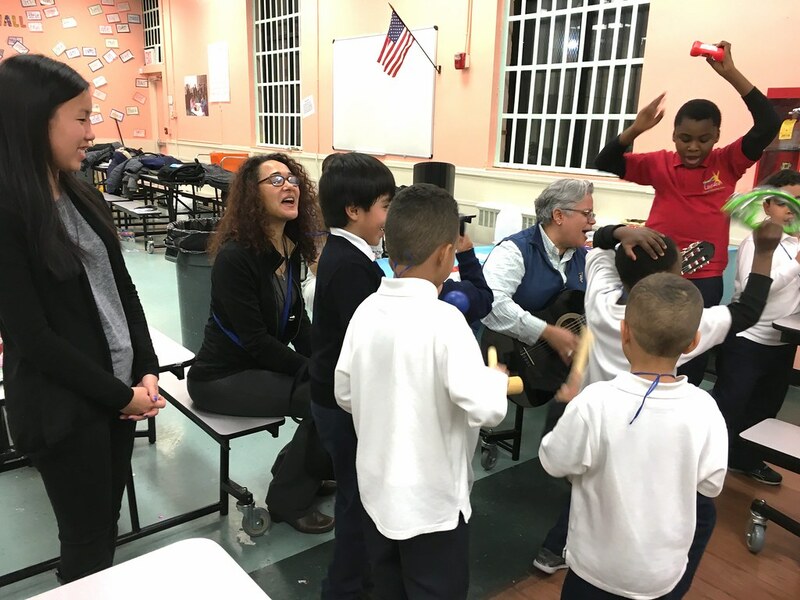 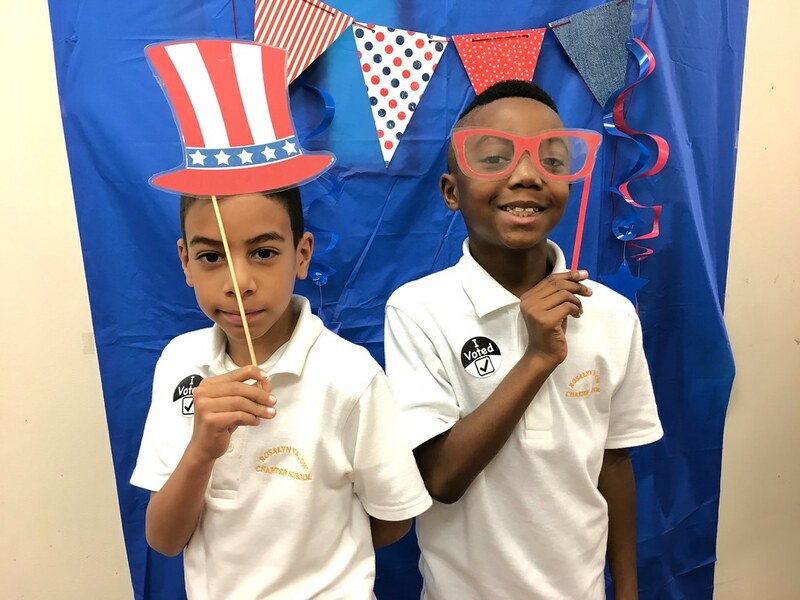 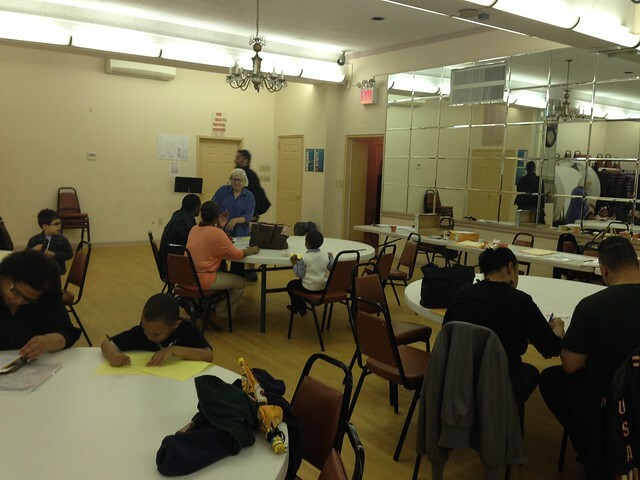 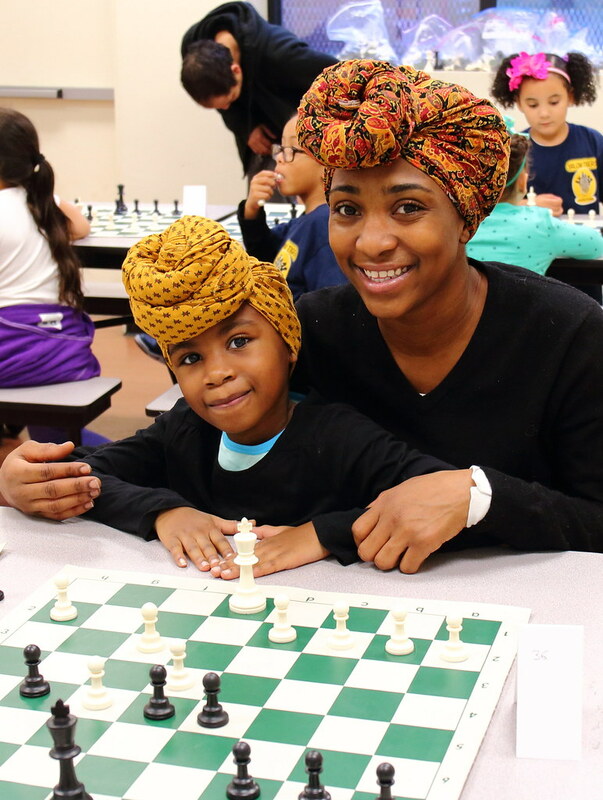 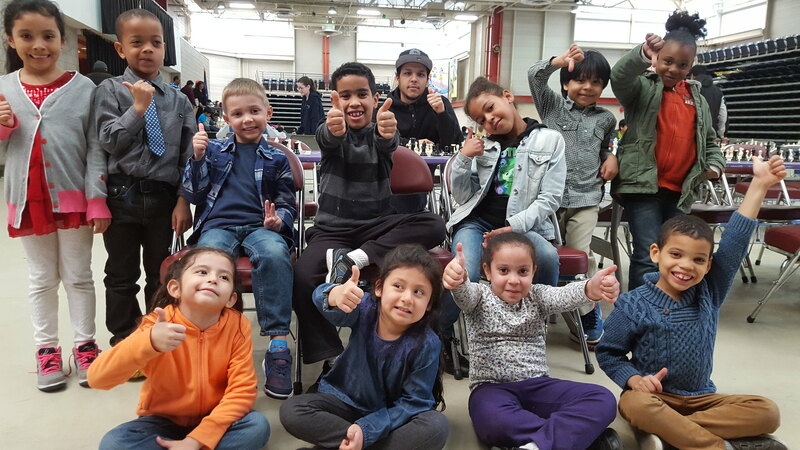 In the second tournament (Saturday, October 21), sponsored by the Chess in the Schools Program, over 700 players competed in Bronx Chess Day. 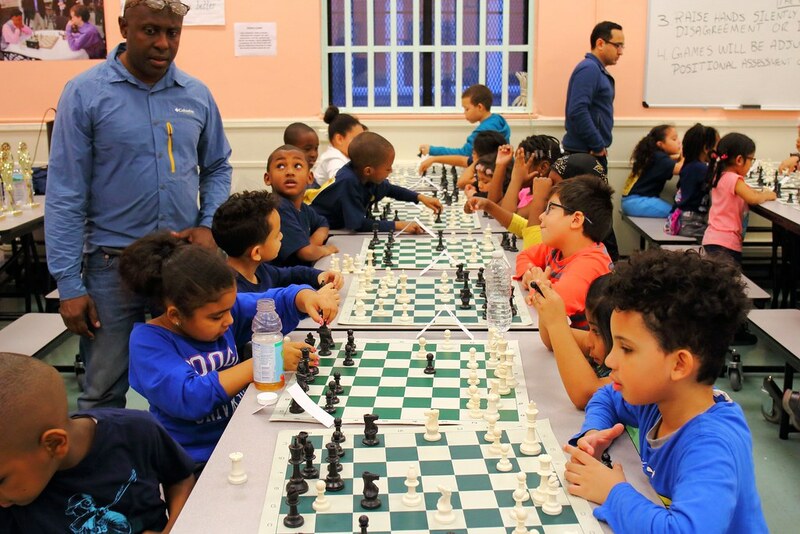 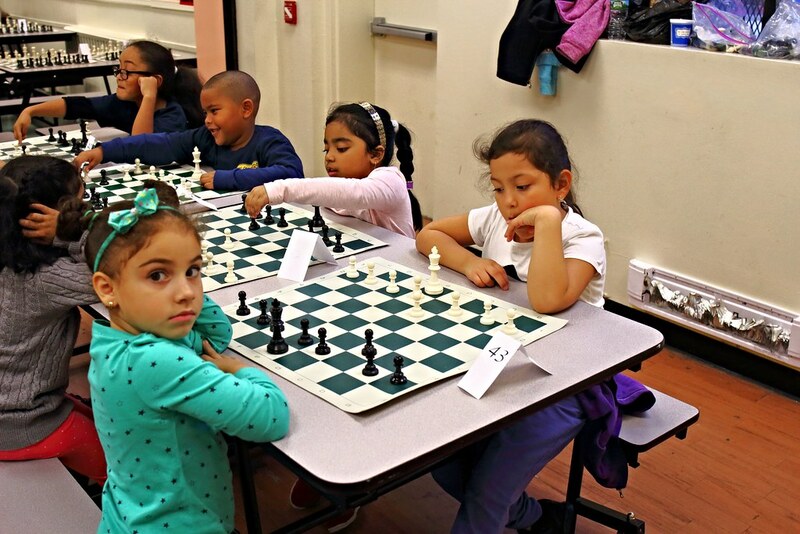 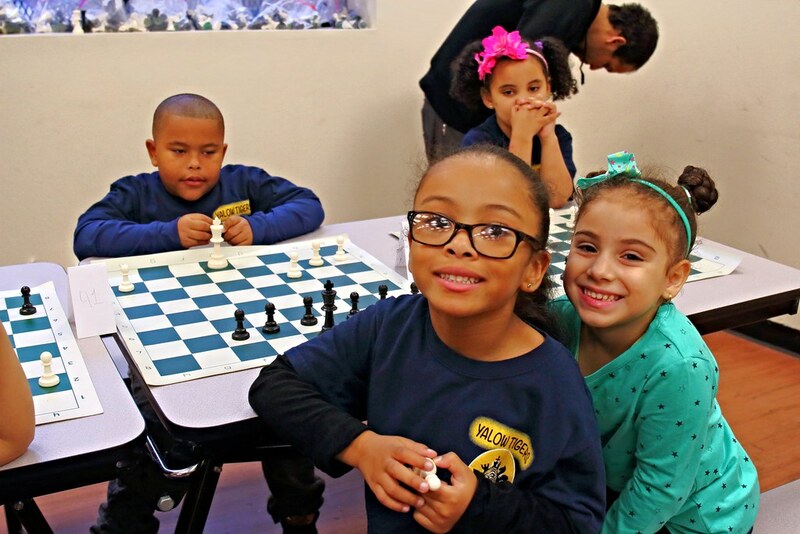 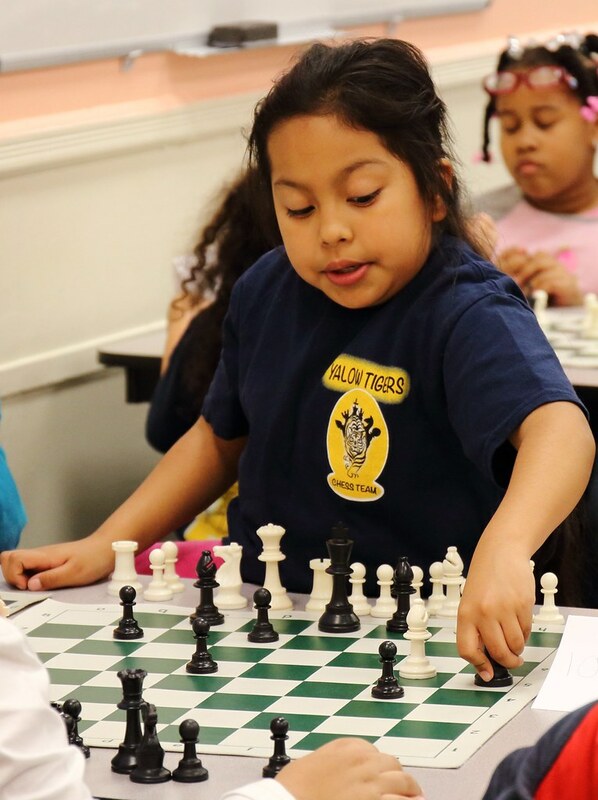 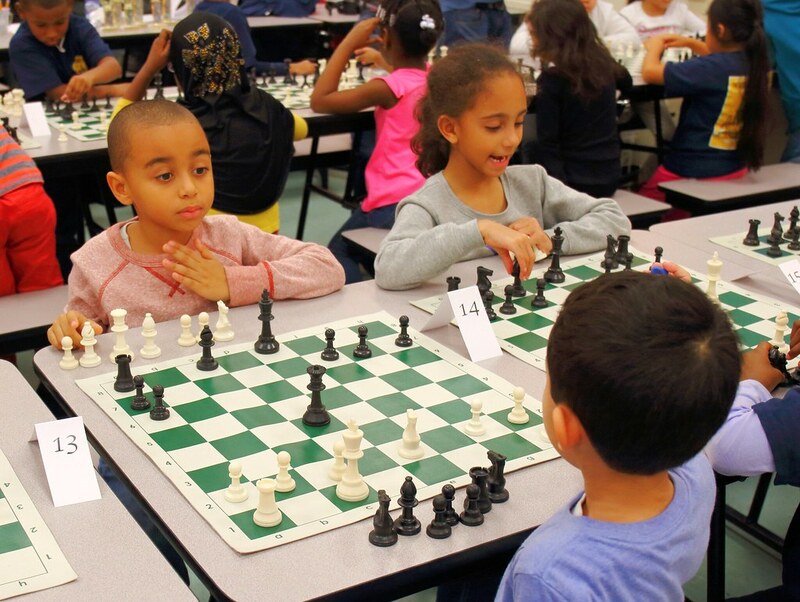 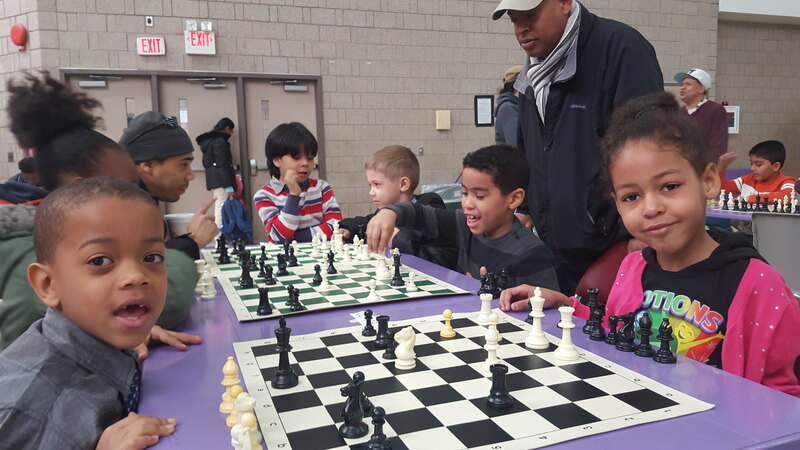 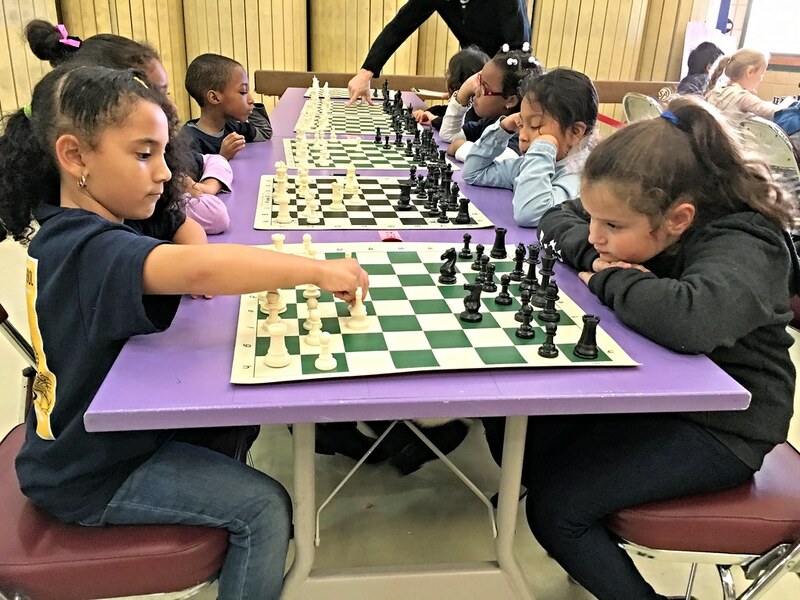 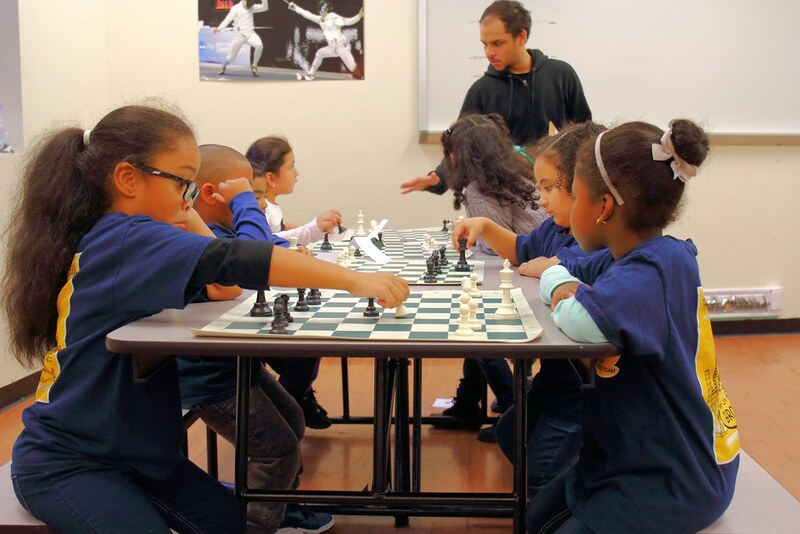 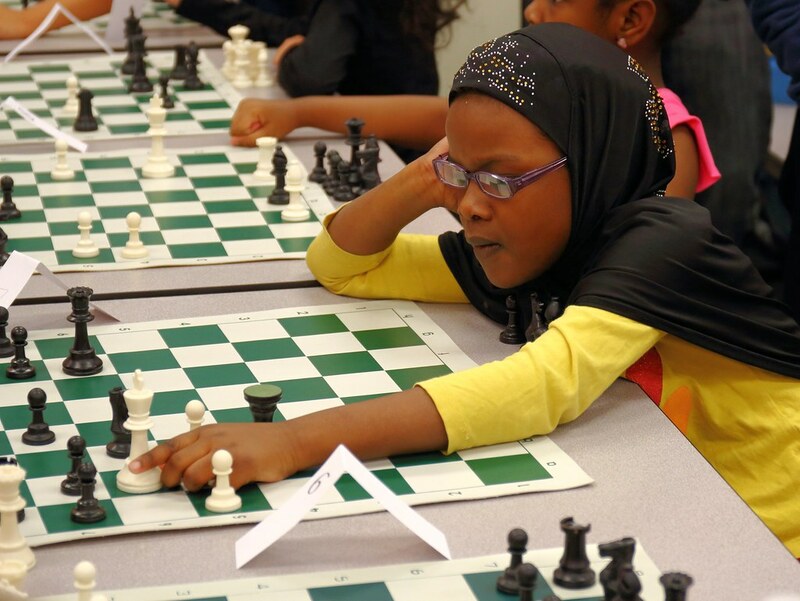 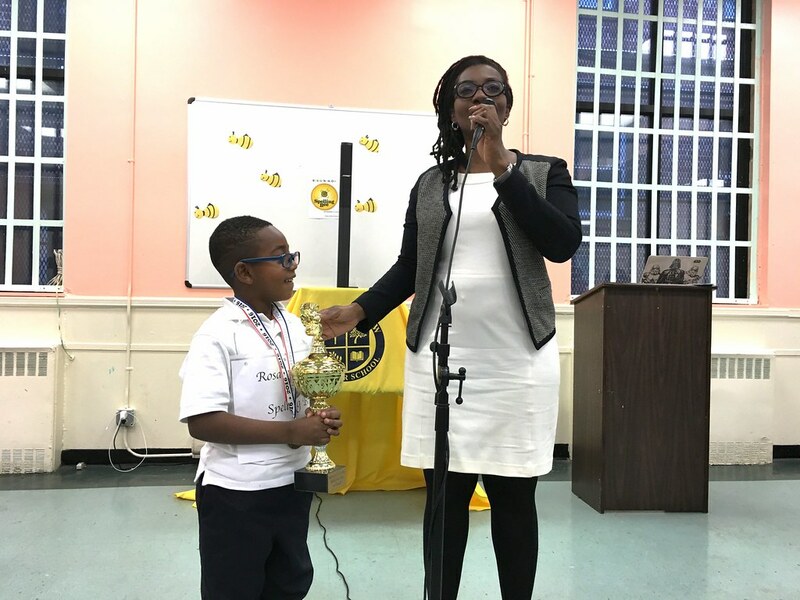 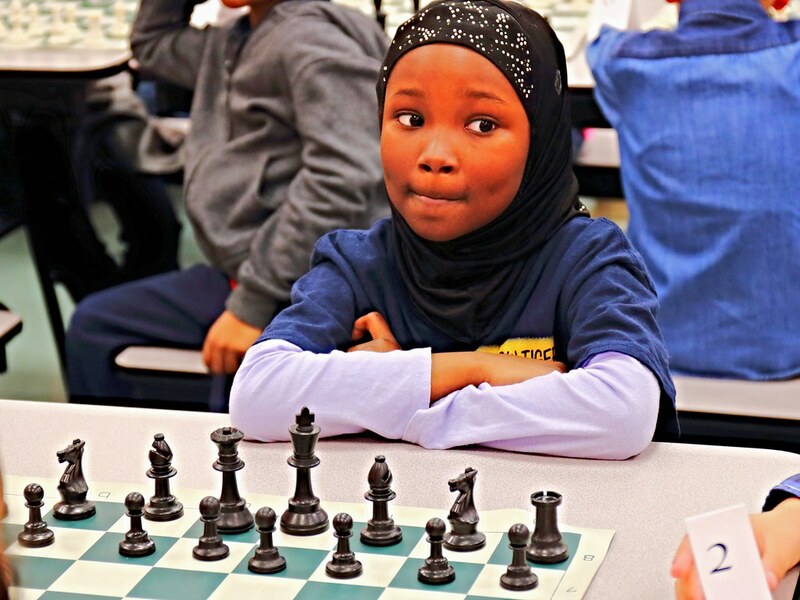 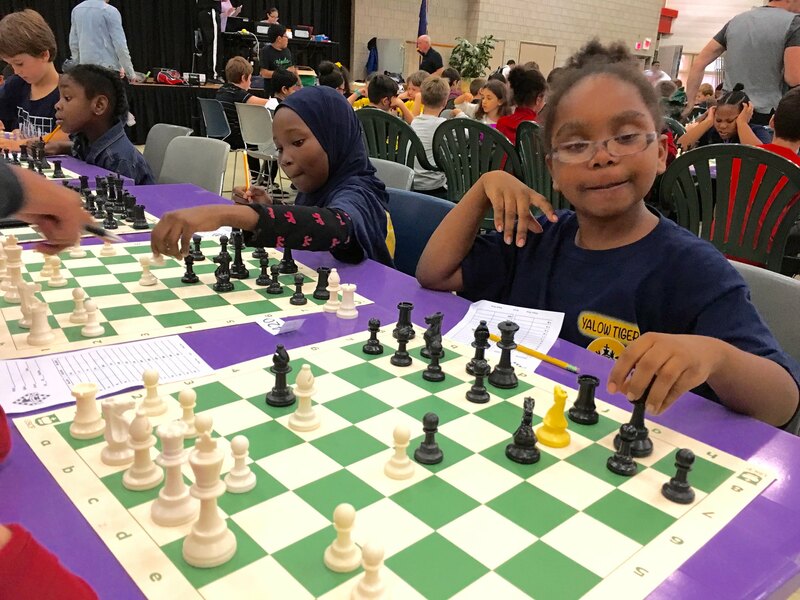 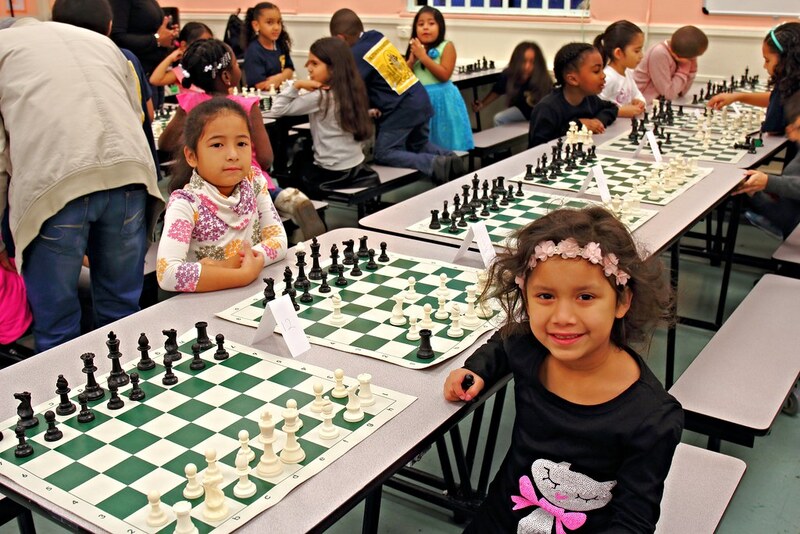 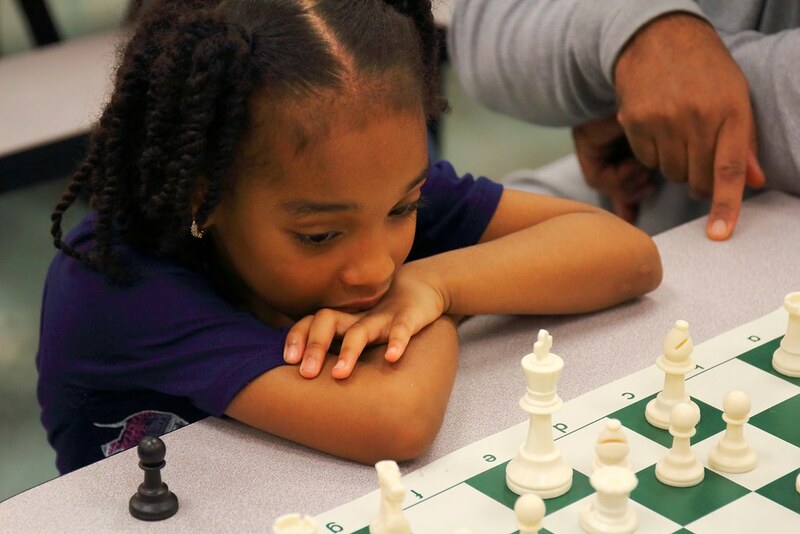 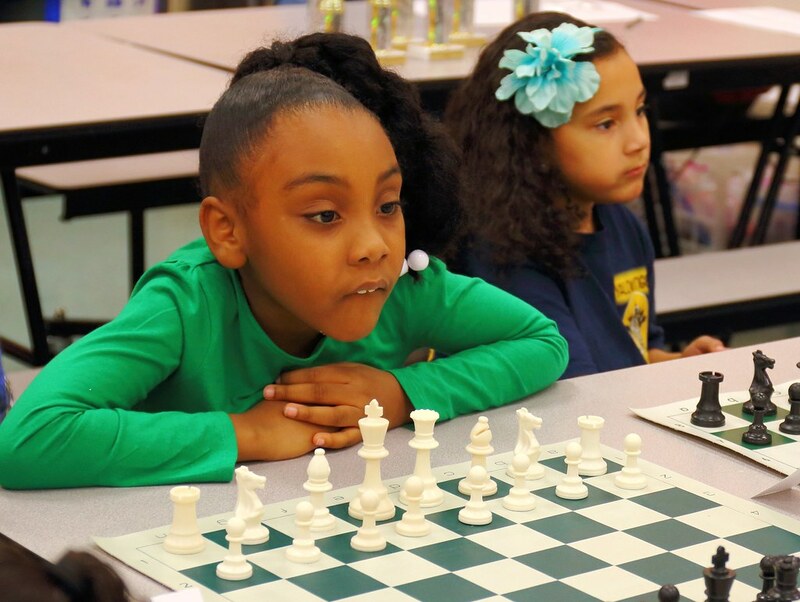 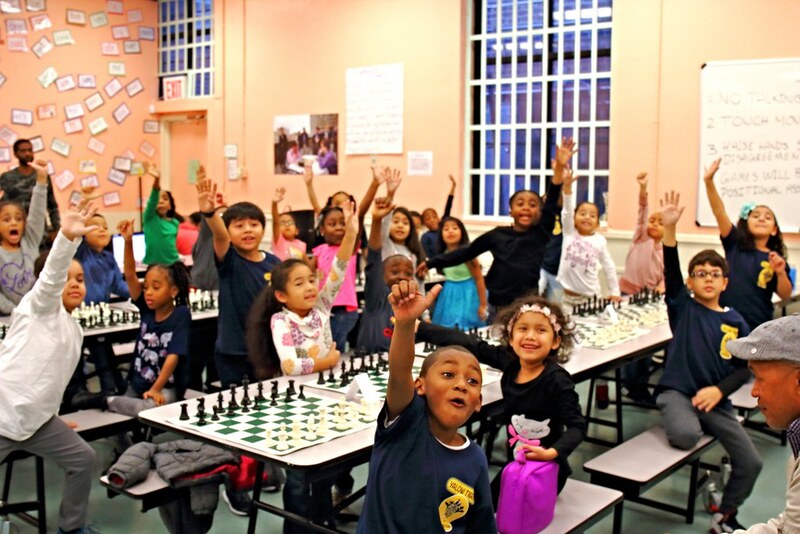 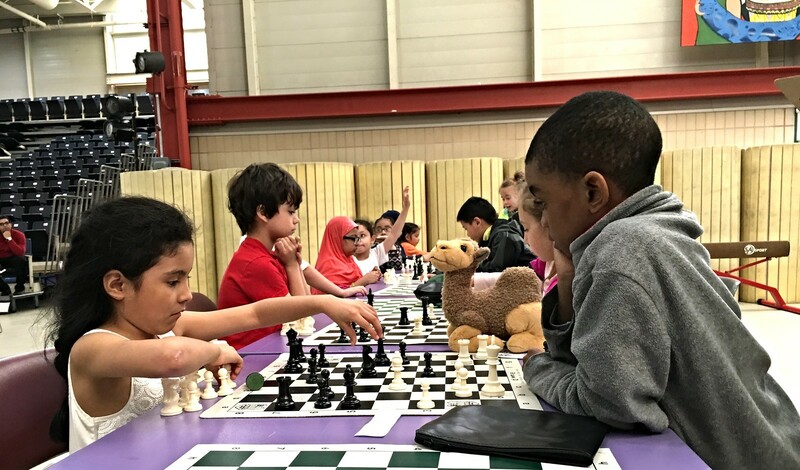 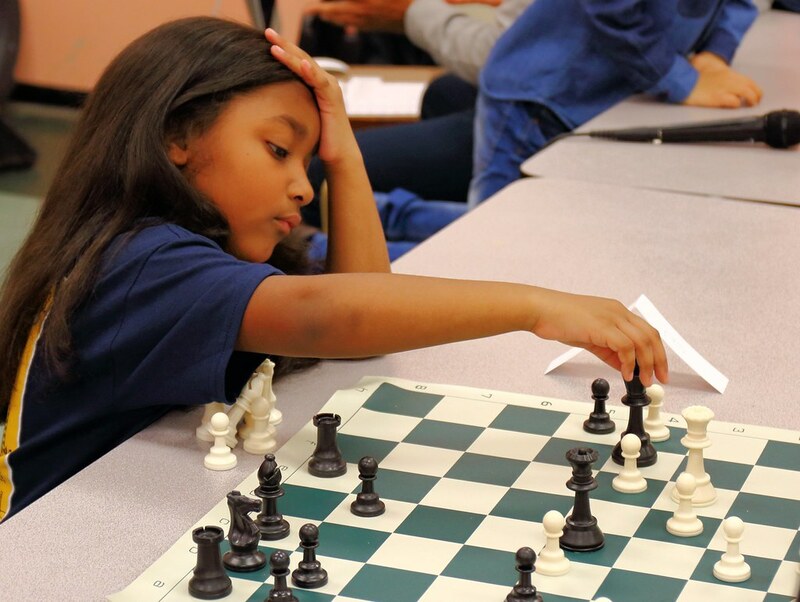 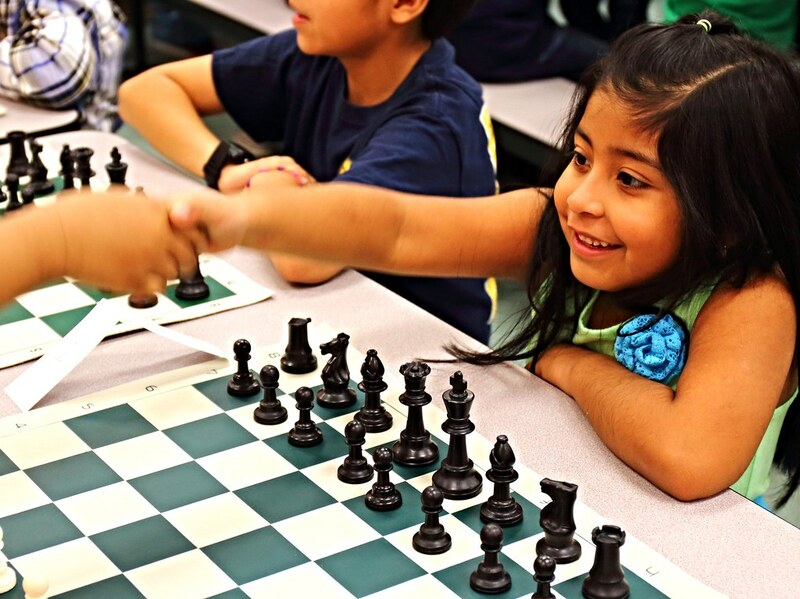 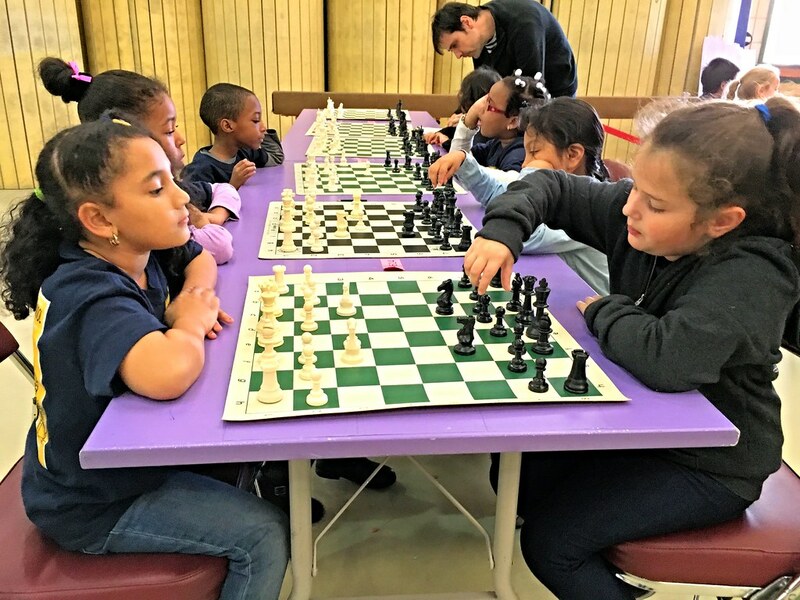 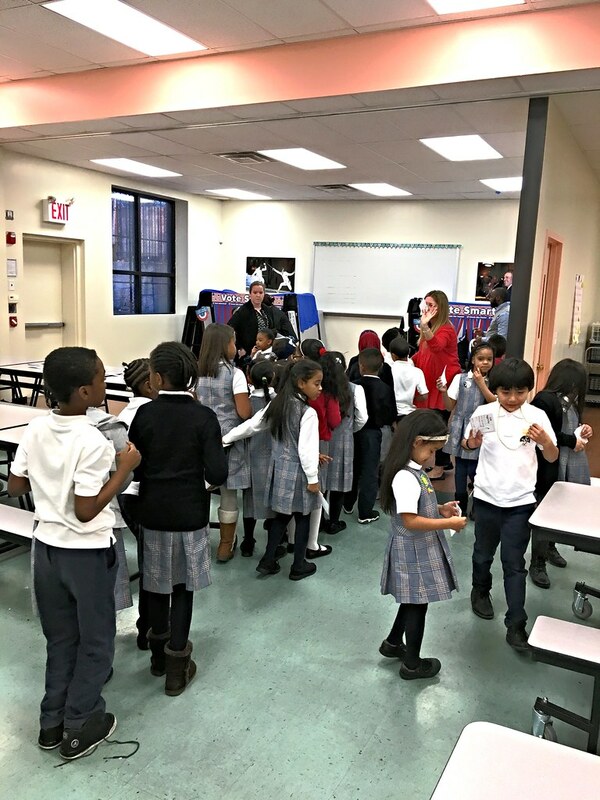 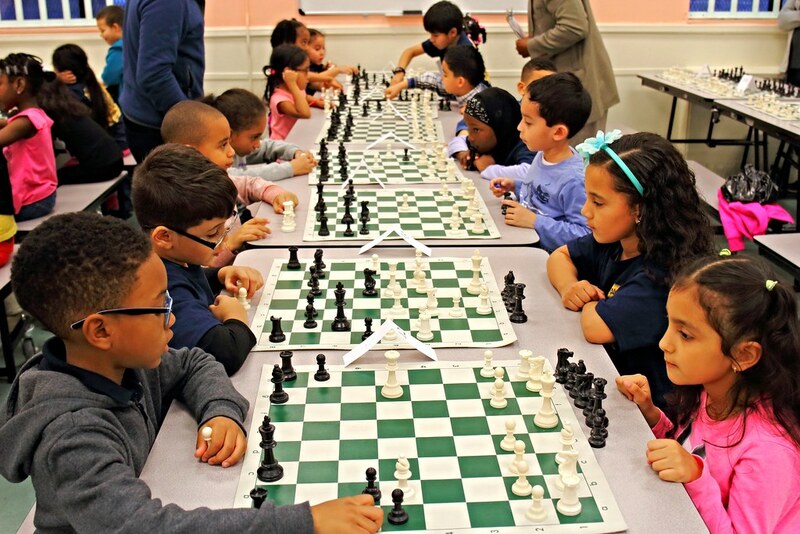 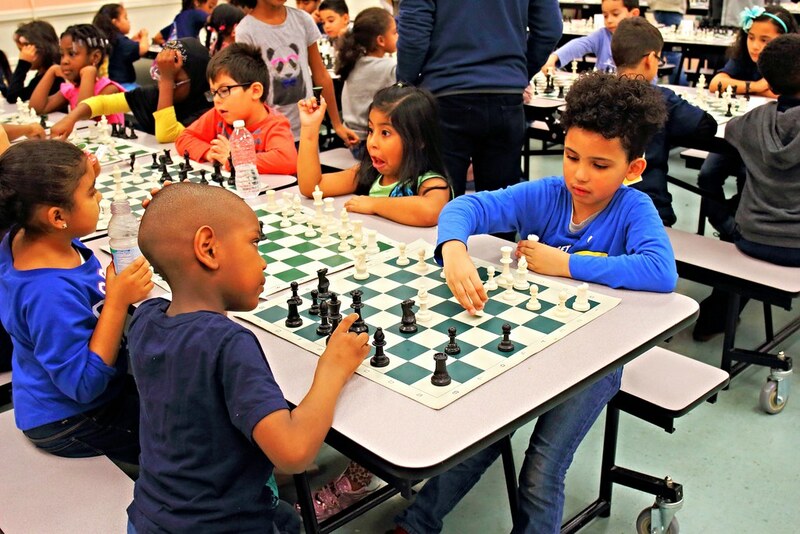 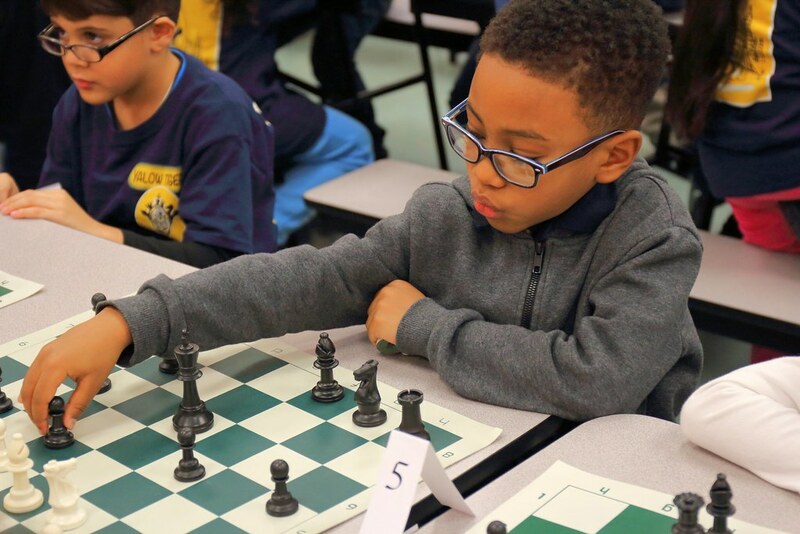 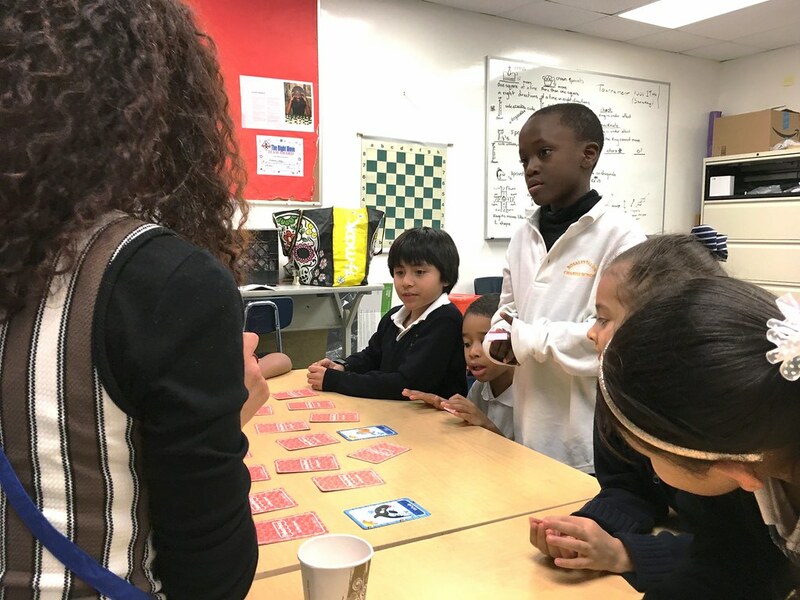 Chess in the Schools (CIS) is a 25-year old program teaching chess in public schools throughout NYC, thereby drawing students from across the city to its free tournaments. 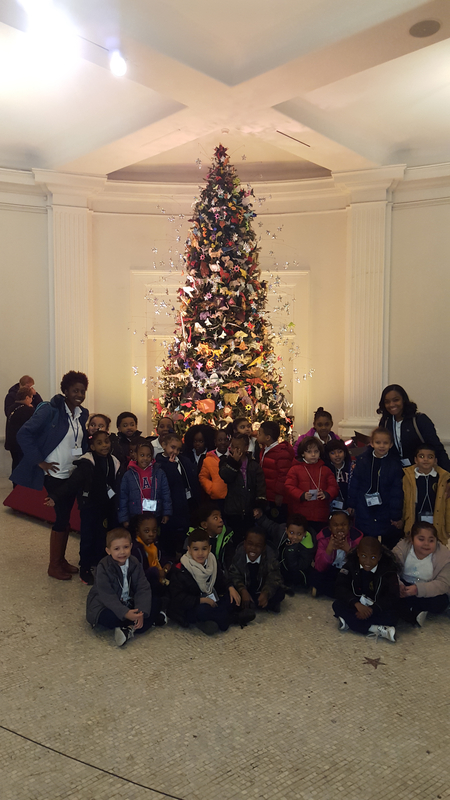 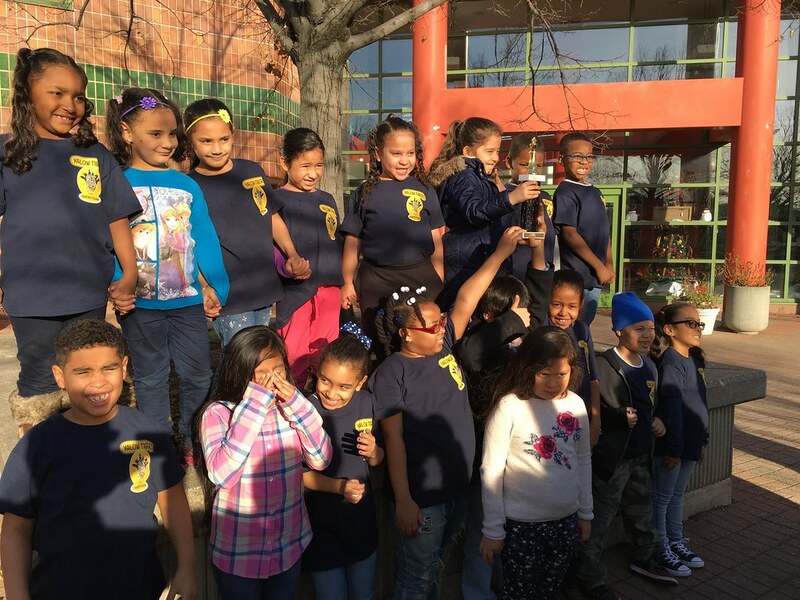 Yalow’s Tigers took 5th place in the Unrated Kindergarten thru 5th-grade section and 8th-place in the rated Kindergarten thru 5th-grade Under-600 section. 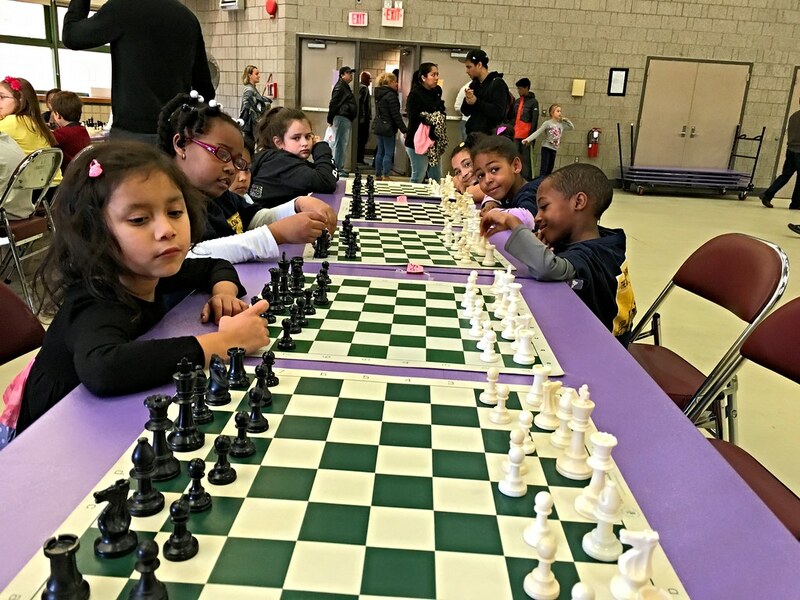 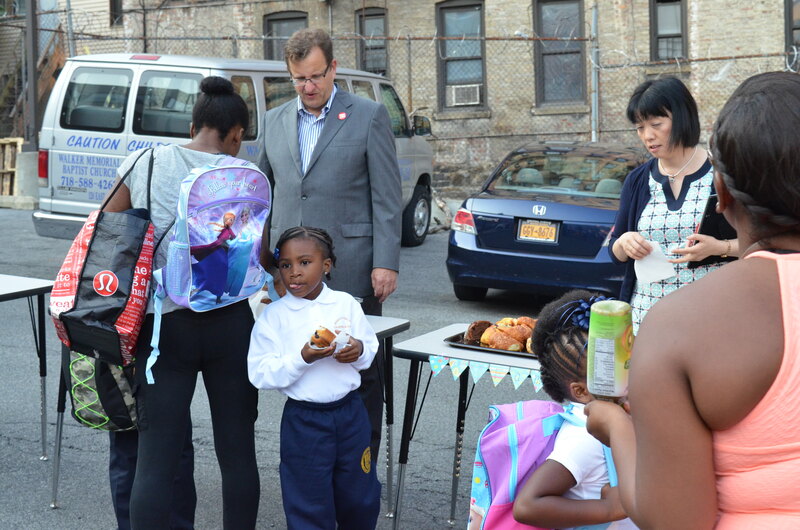 The prime competition seems to be Success Academy and several Brooklyn public schools with long chess histories. 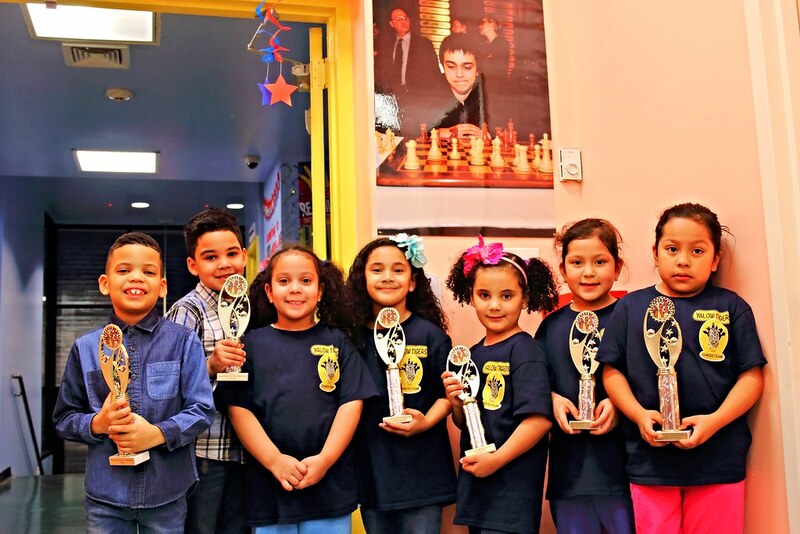 In the Unrated Kindergarten through 5th-grade section, in which Yalow took 5th place, 6 of the top 10 teams were from Brooklyn. 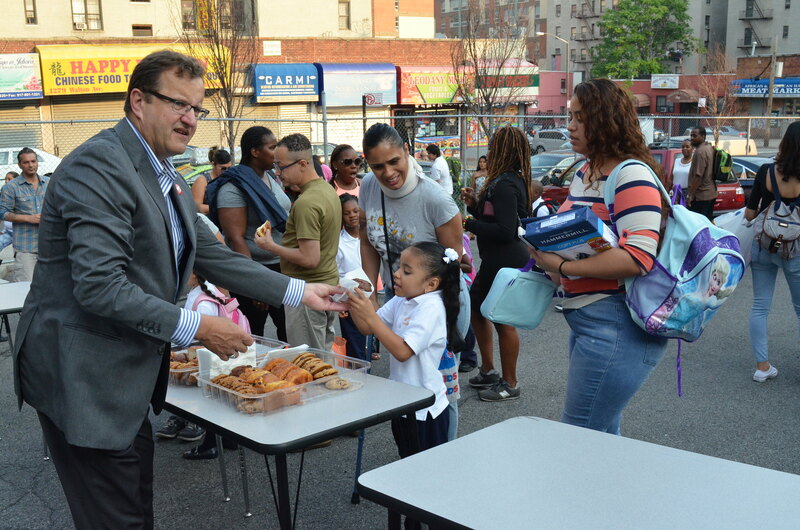 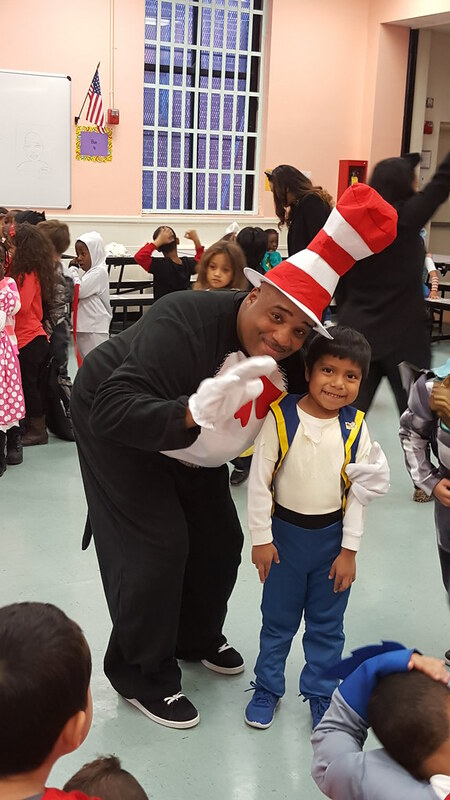 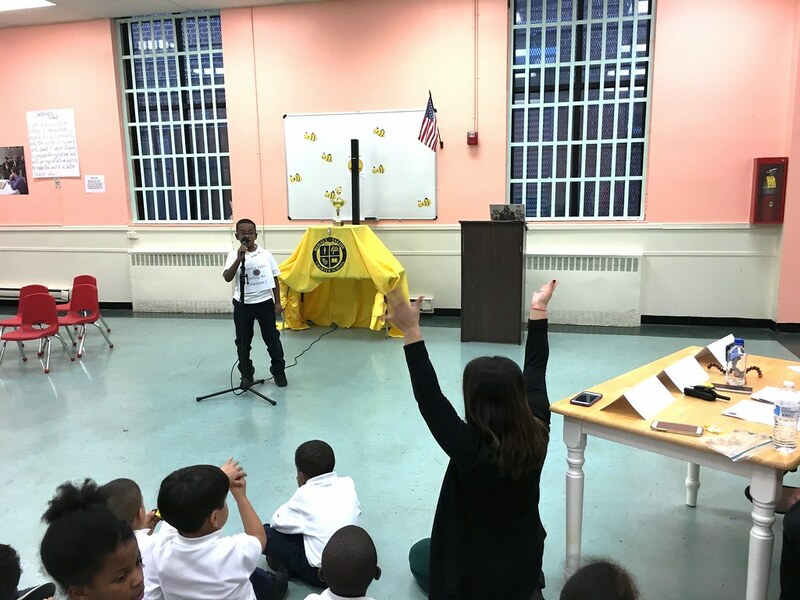 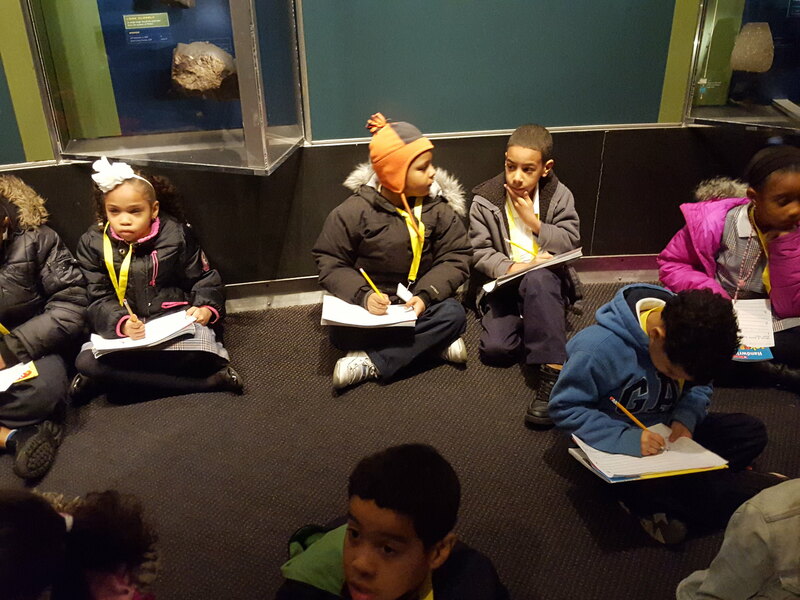 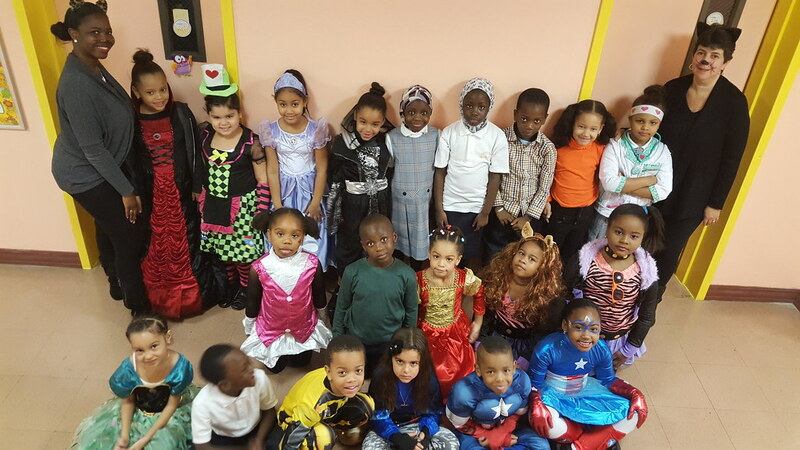 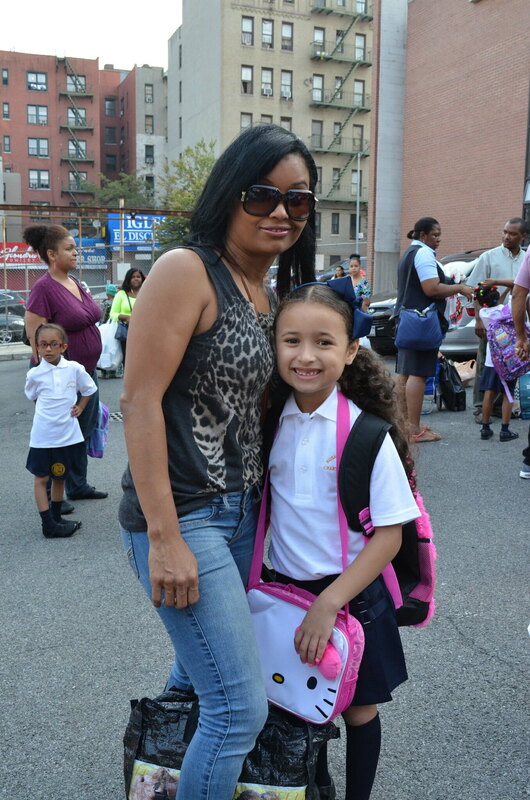 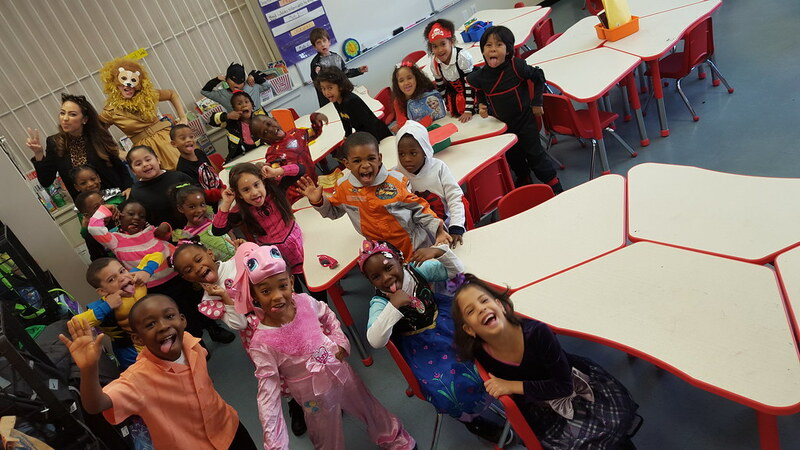 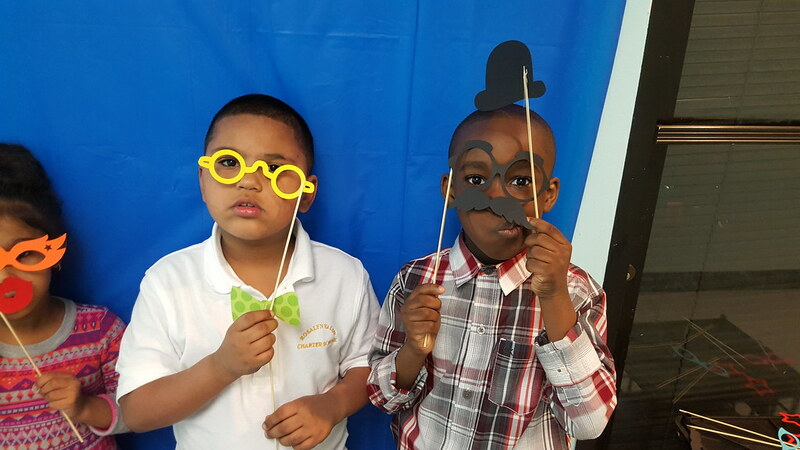 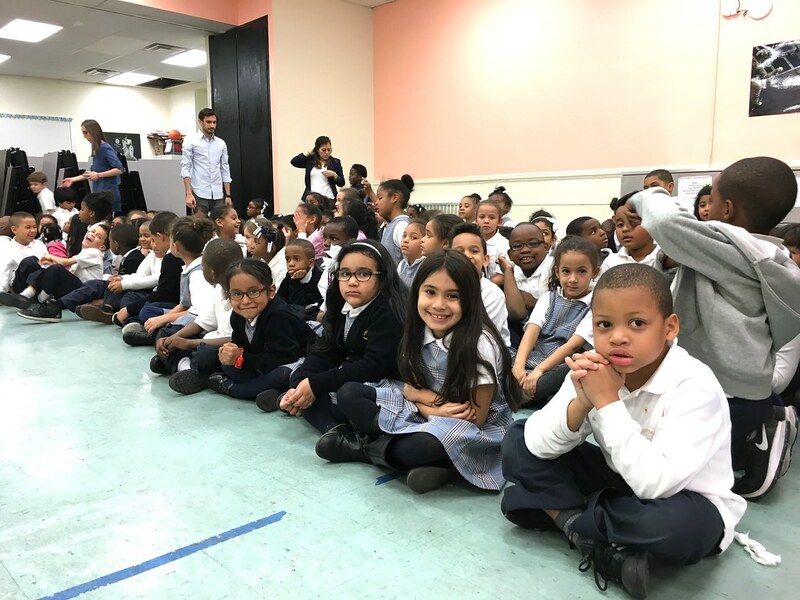 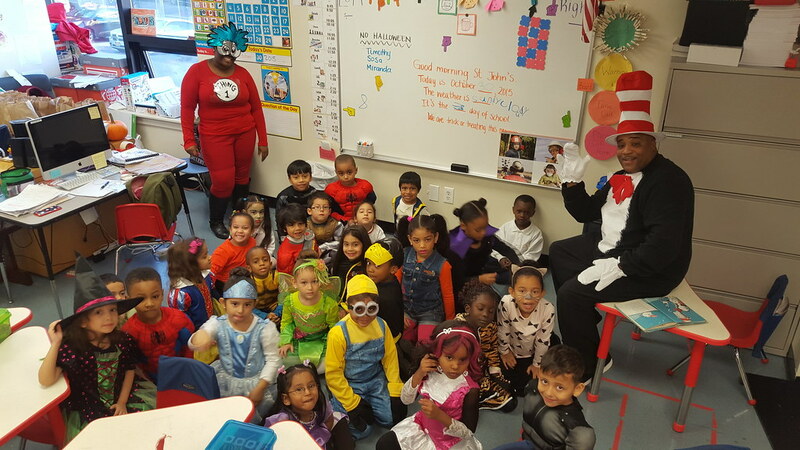 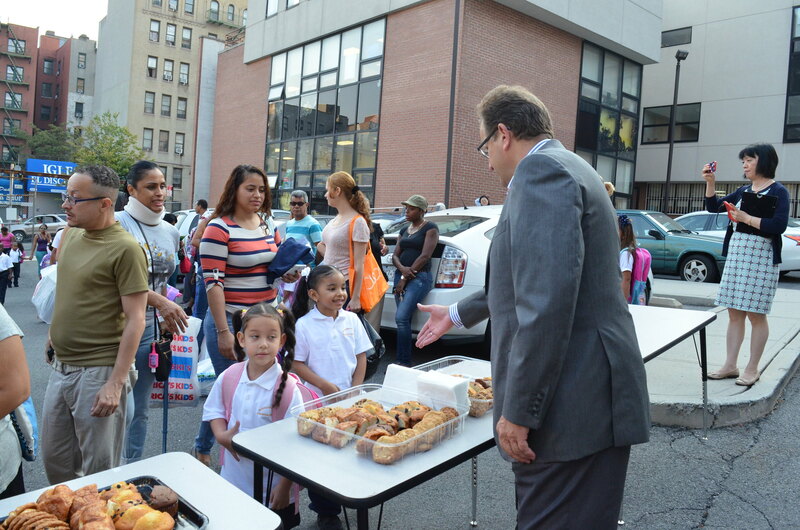 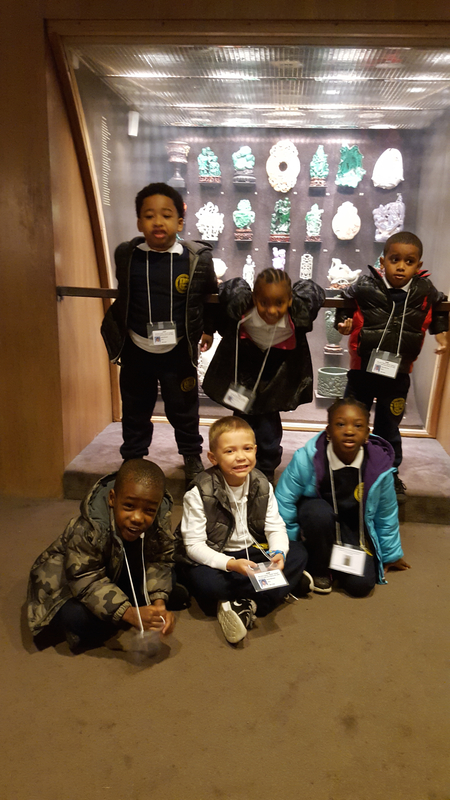 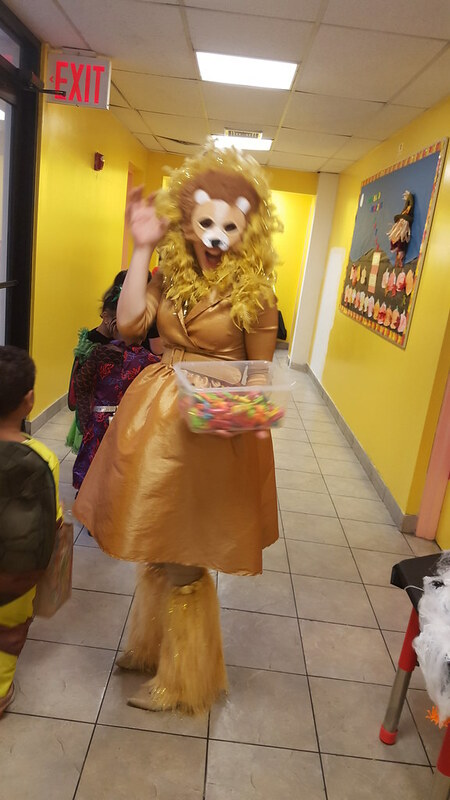 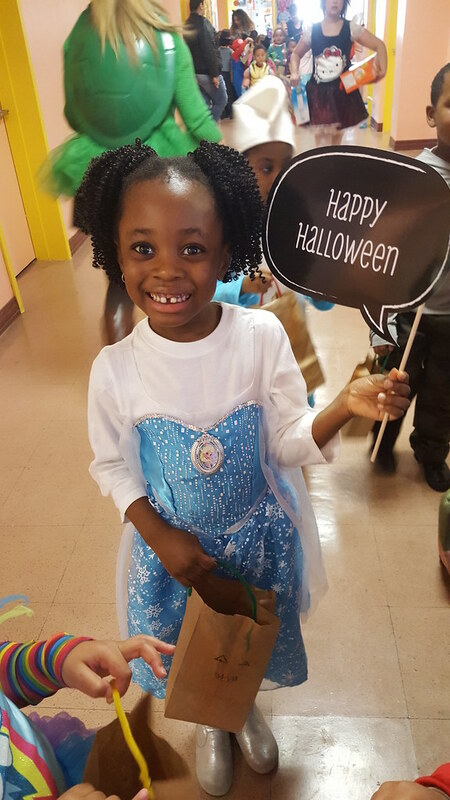 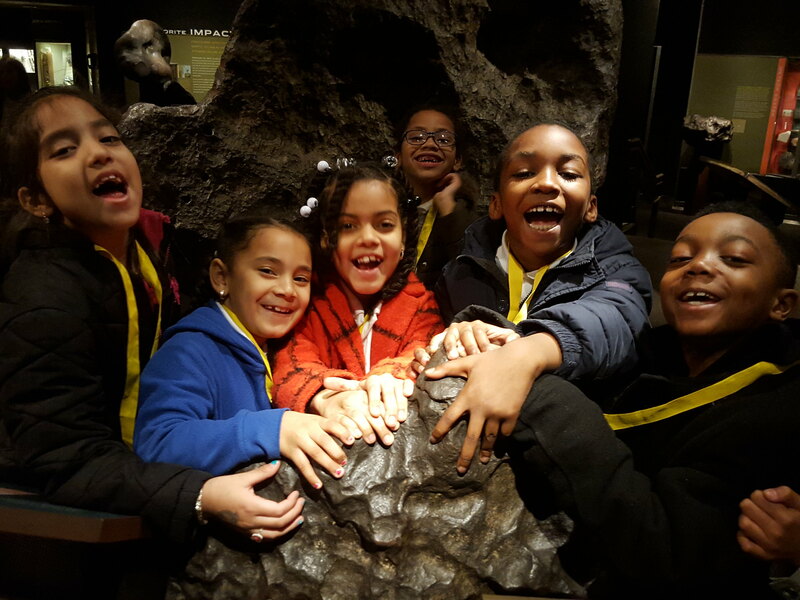 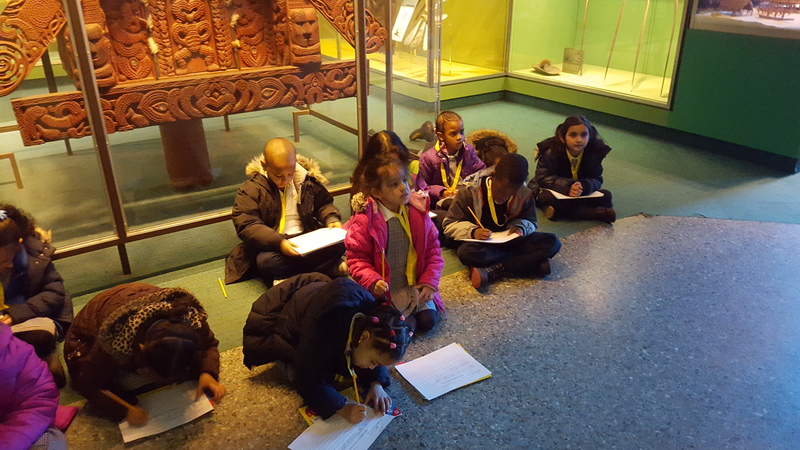 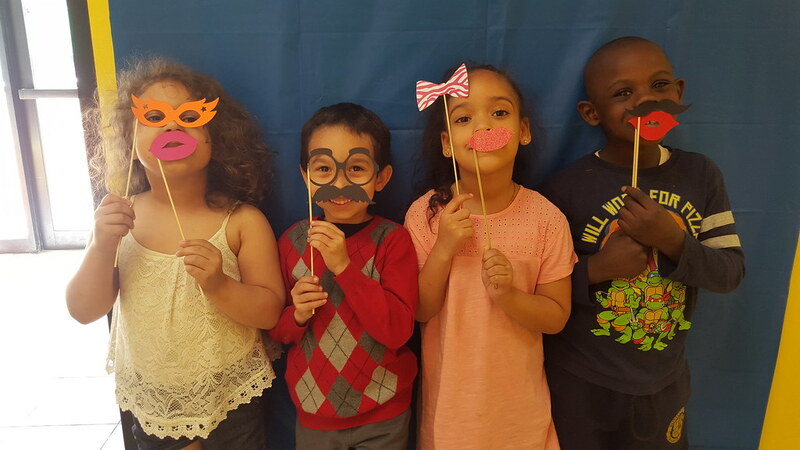 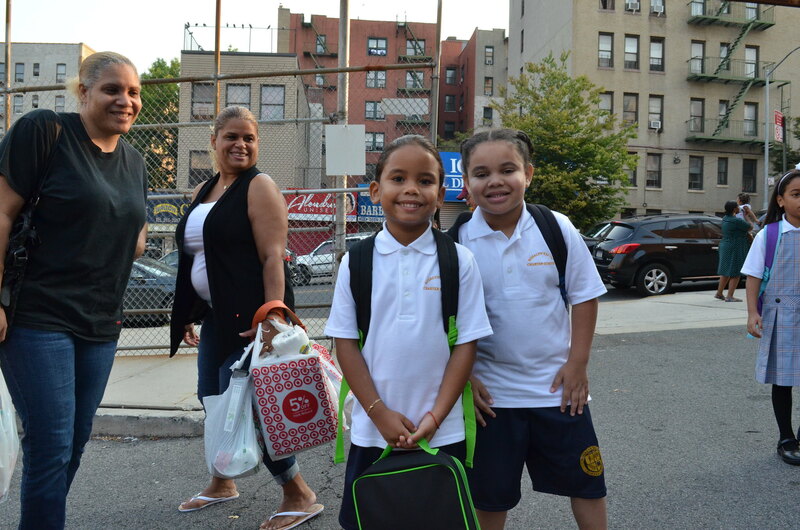 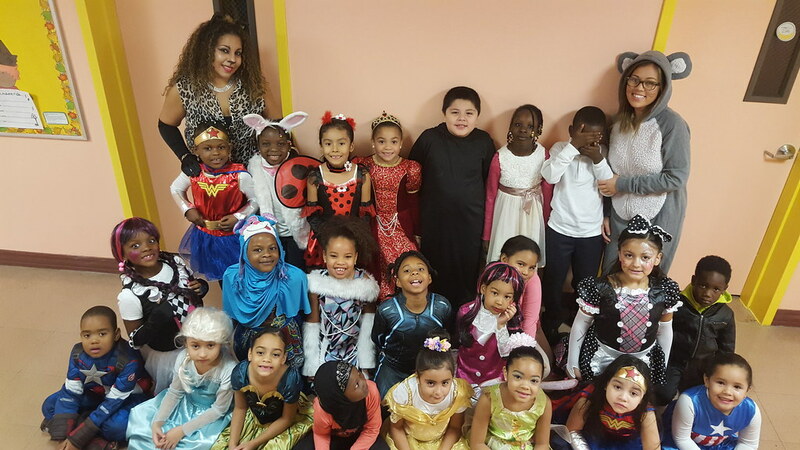 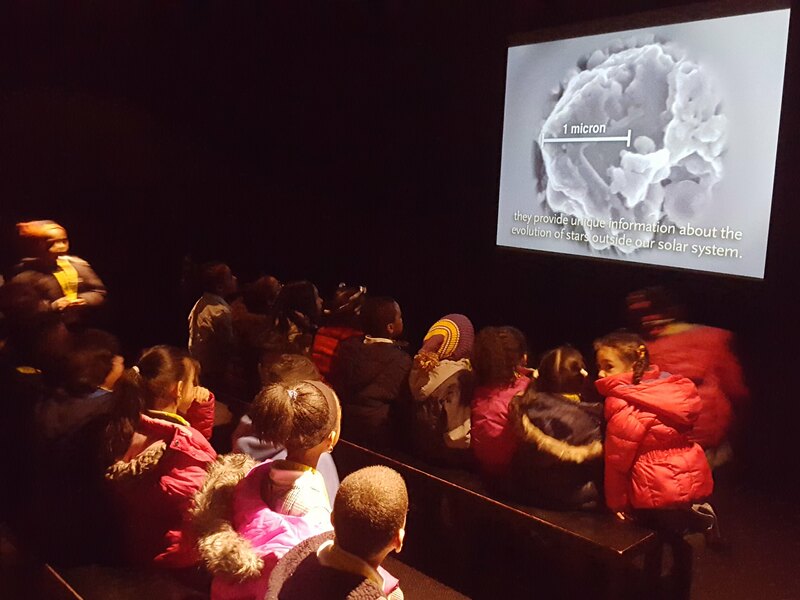 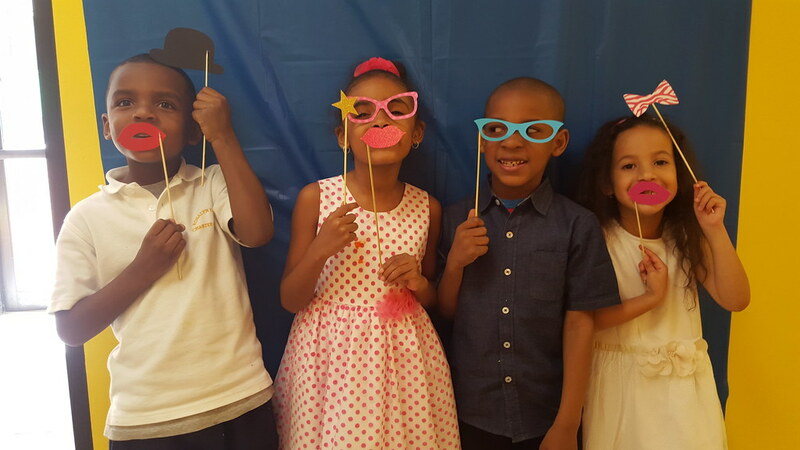 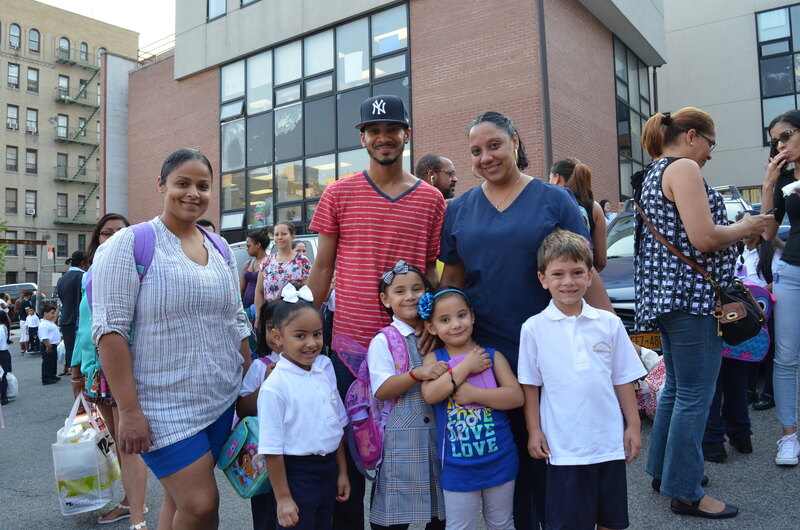 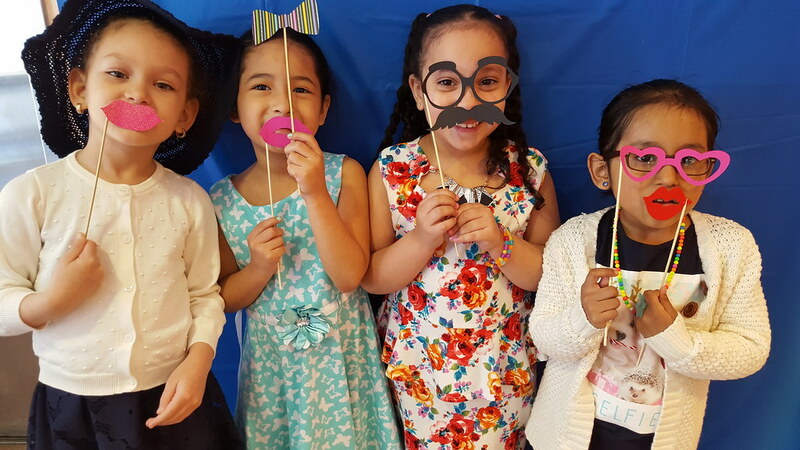 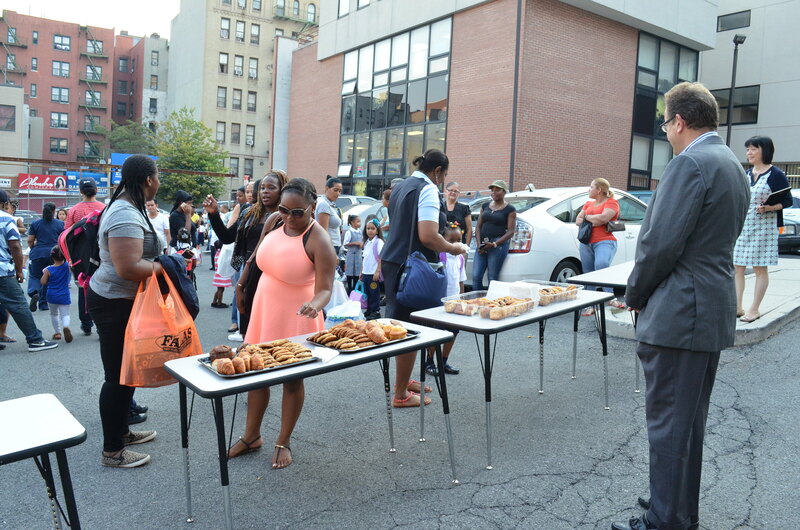 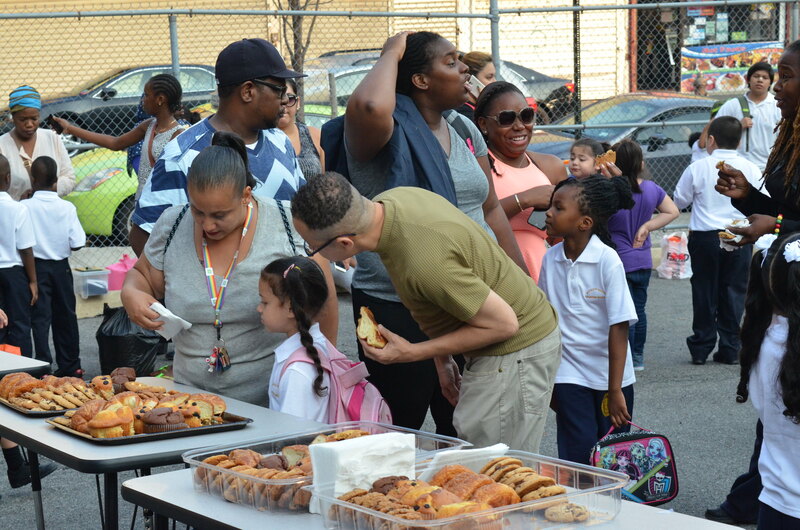 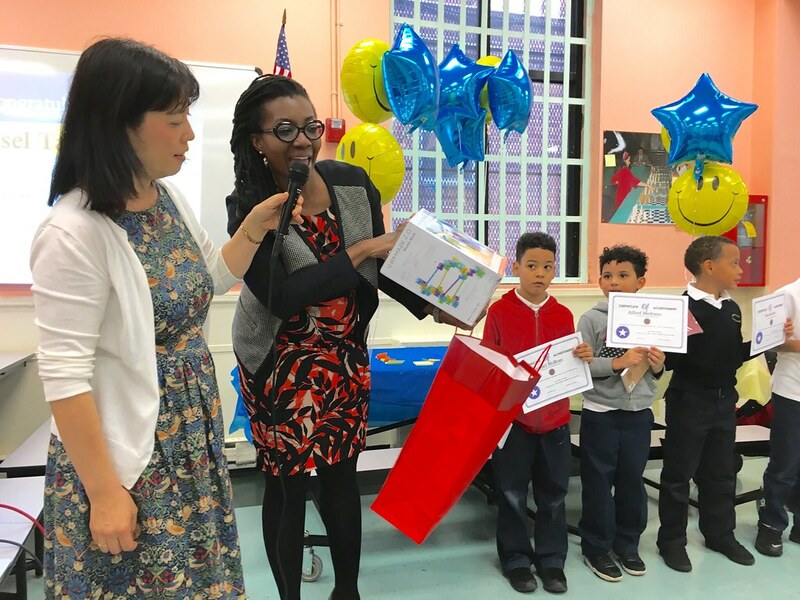 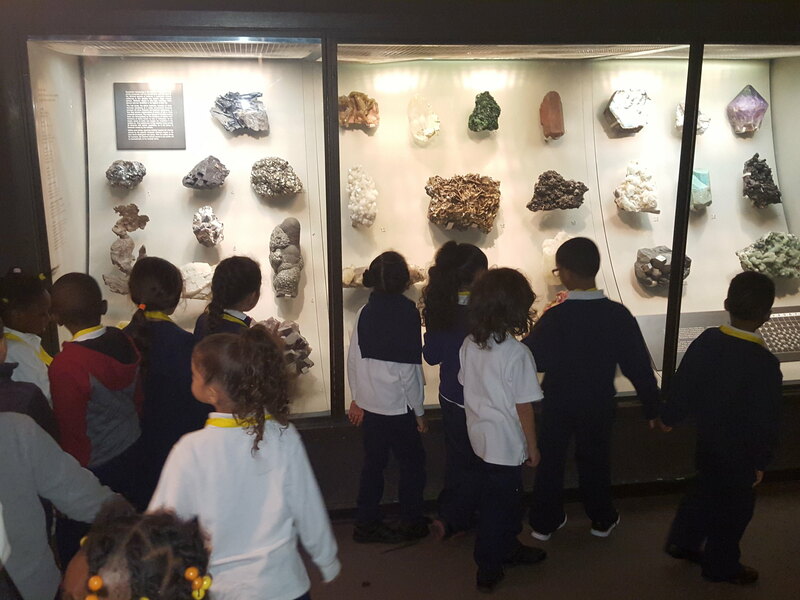 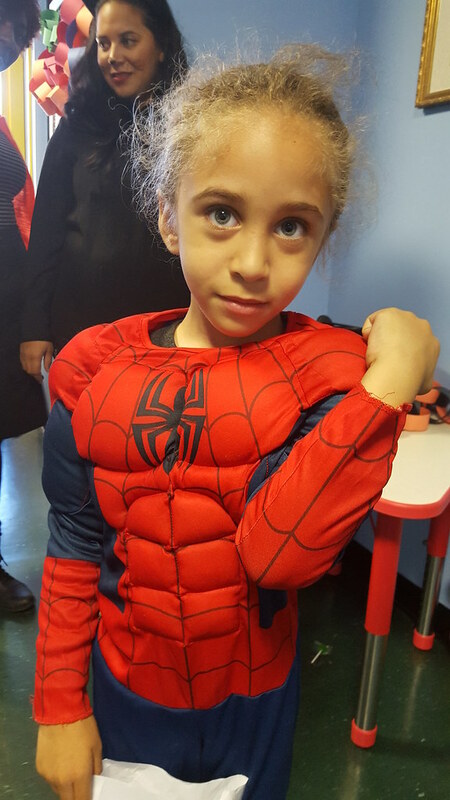 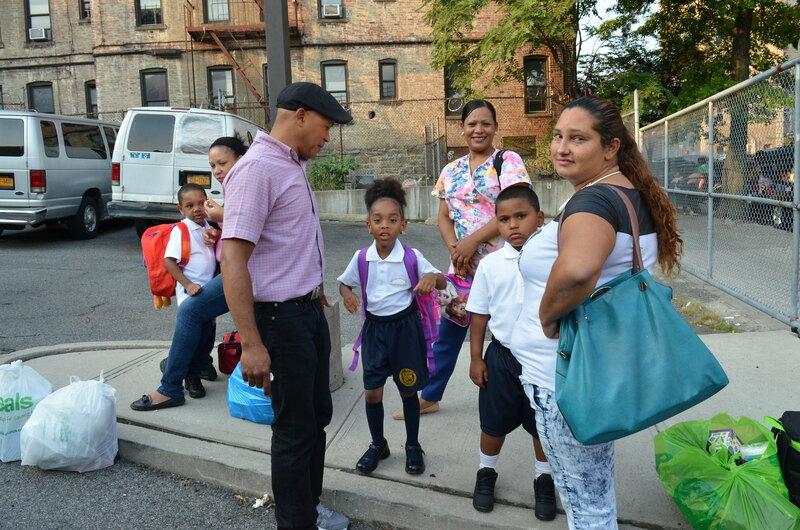 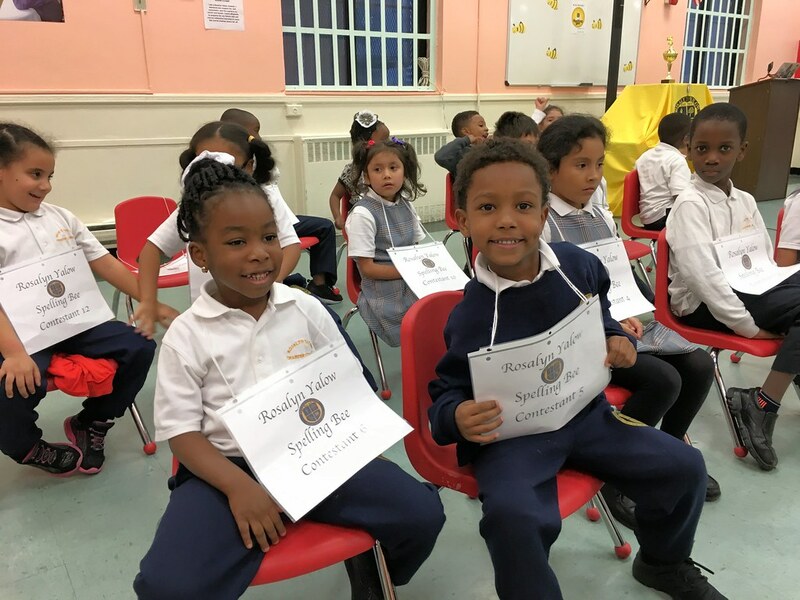 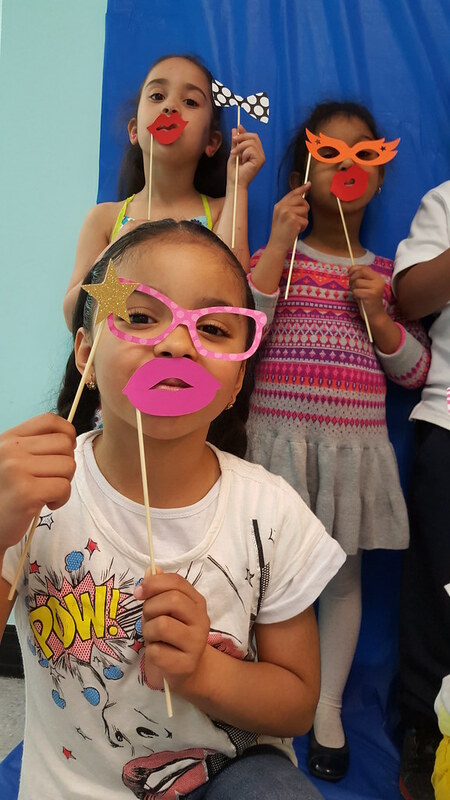 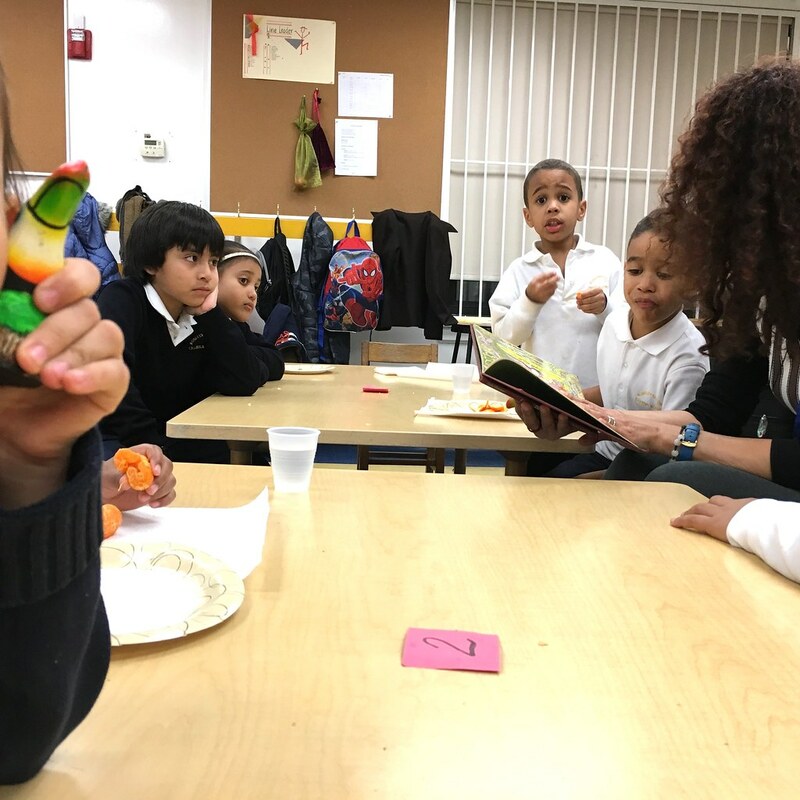 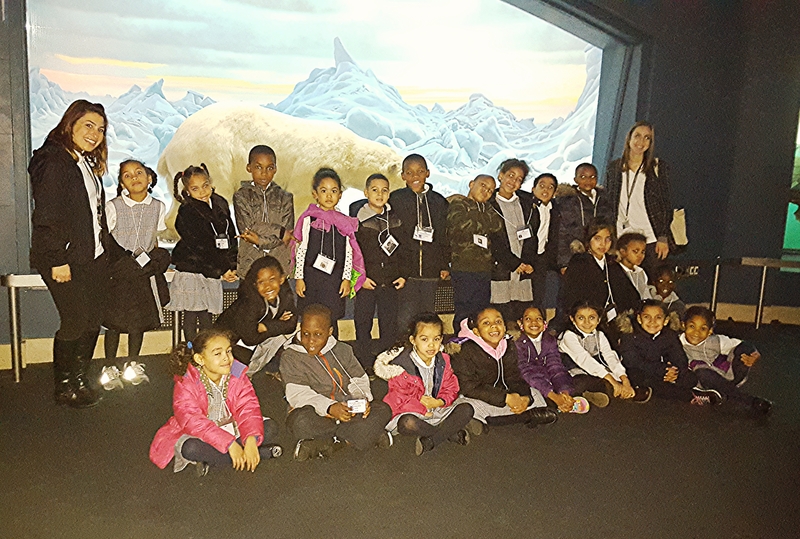 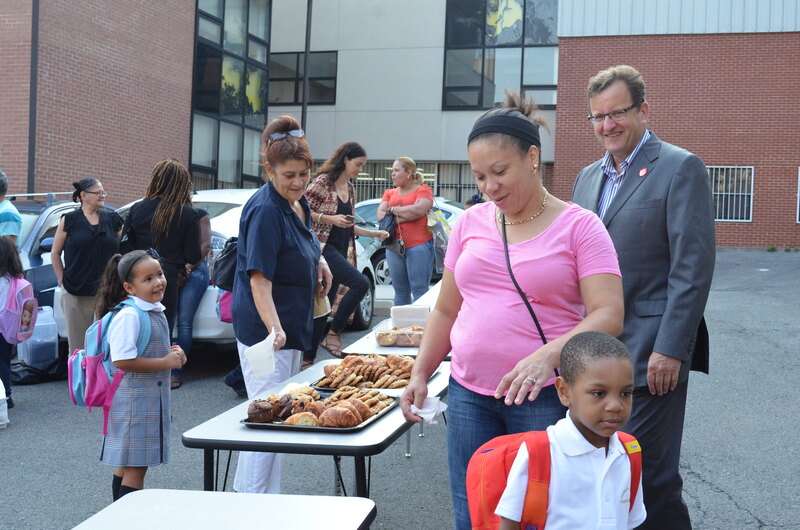 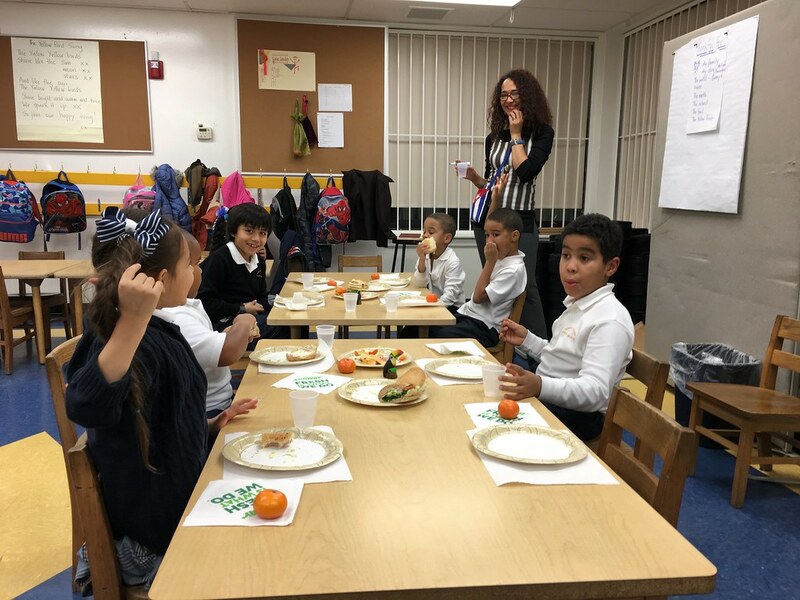 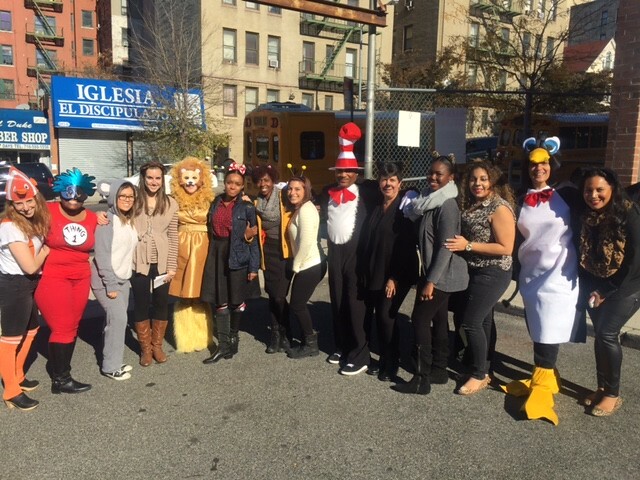 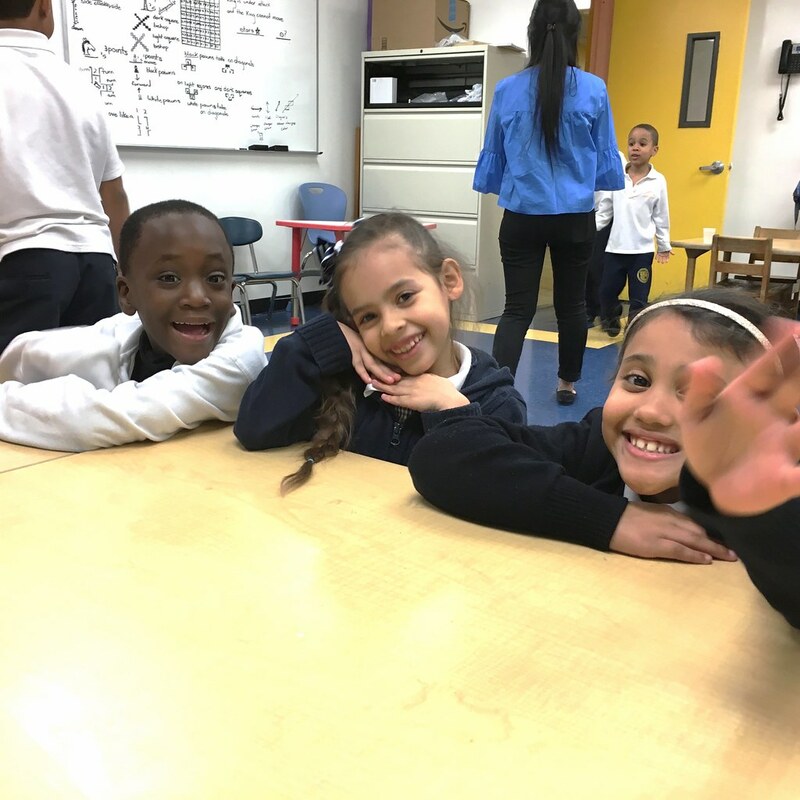 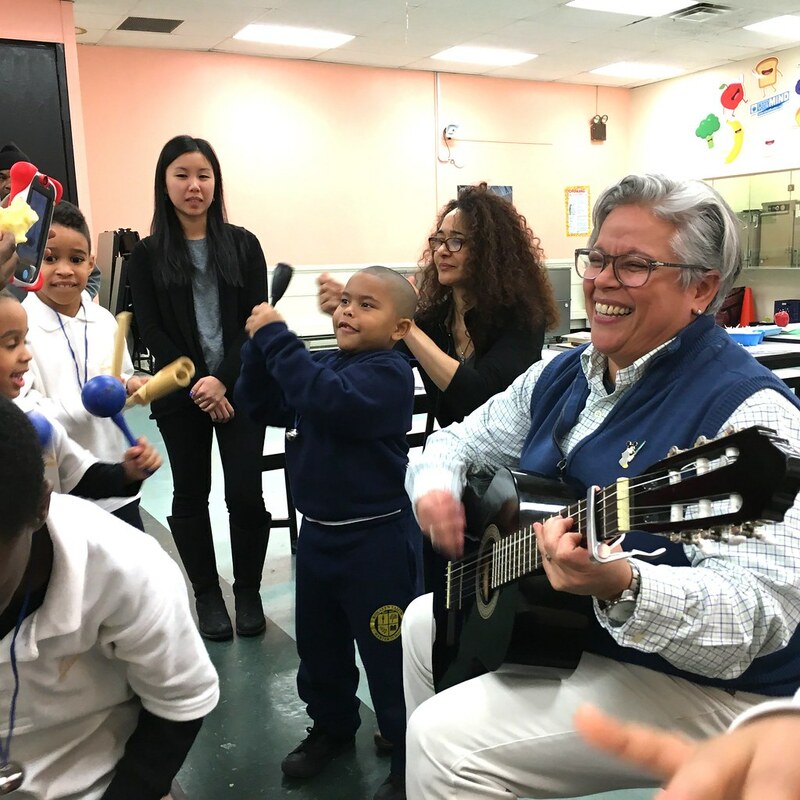 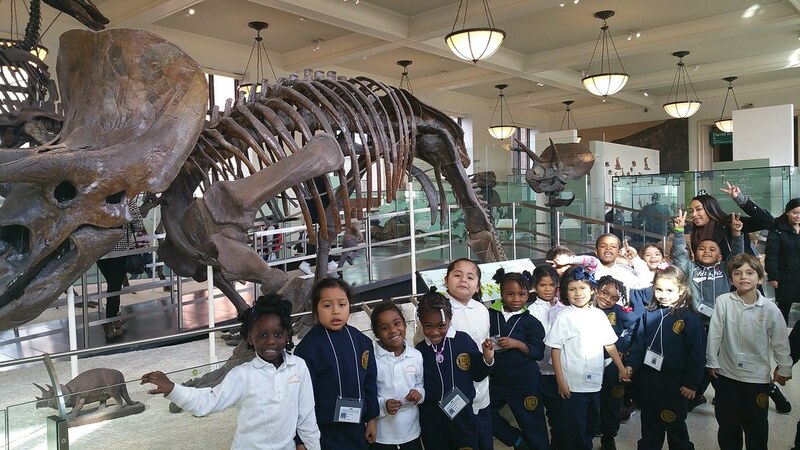 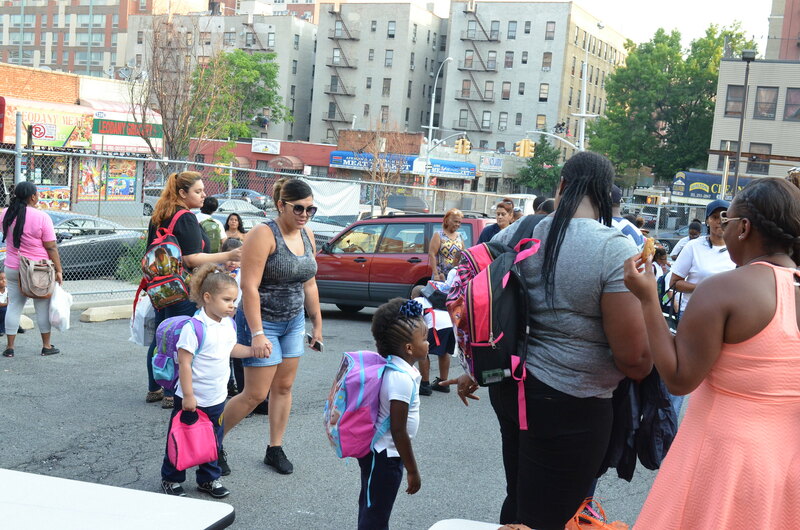 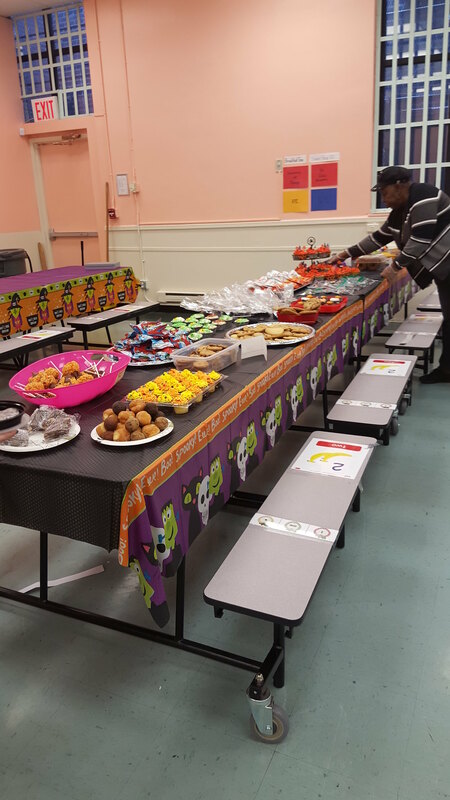 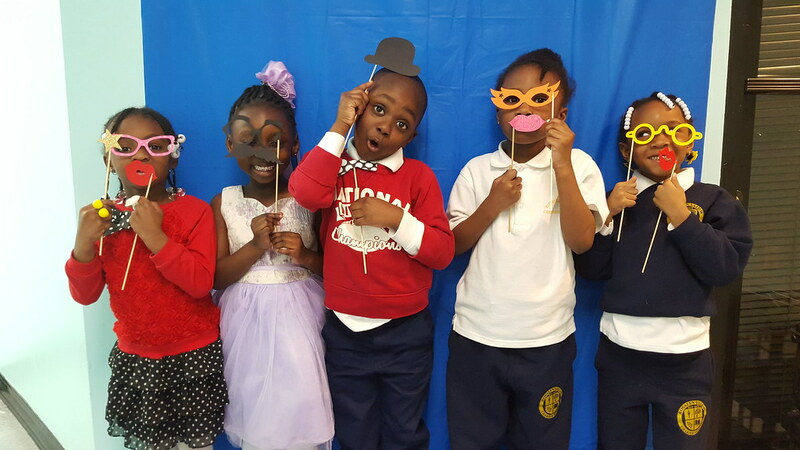 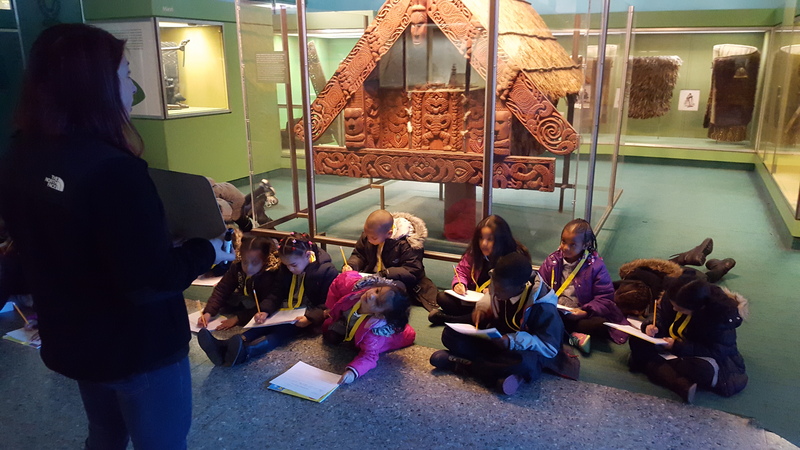 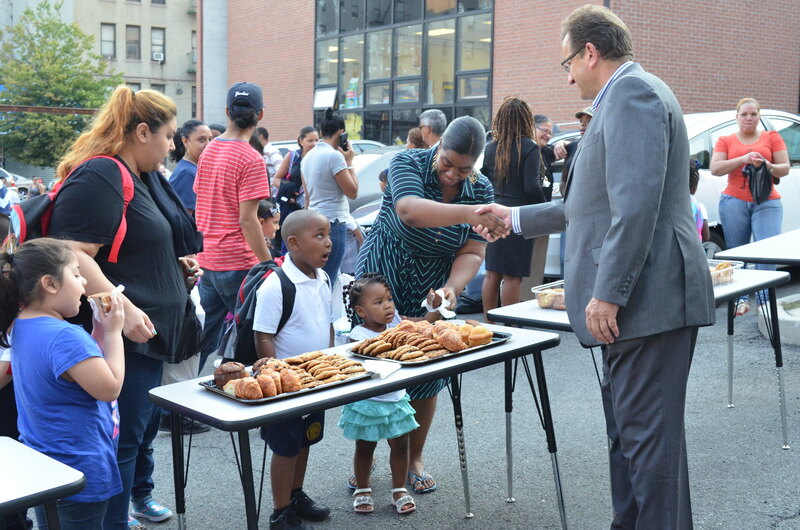 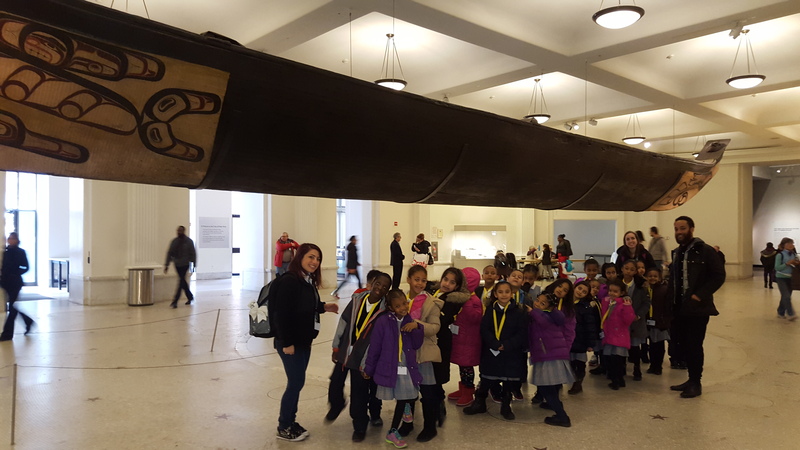 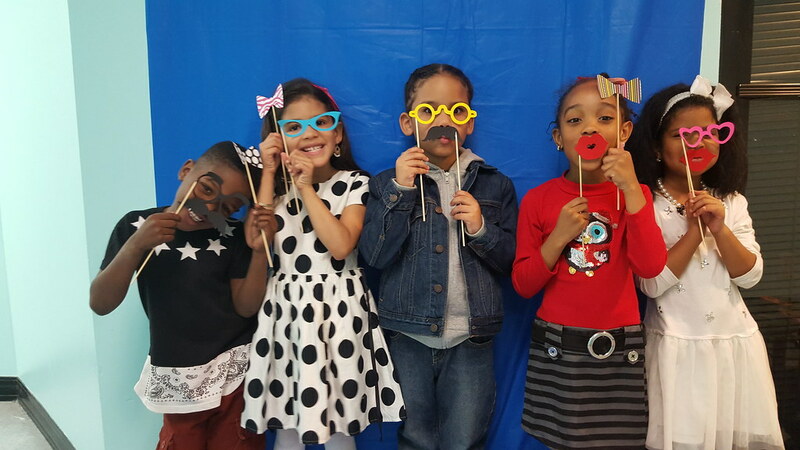 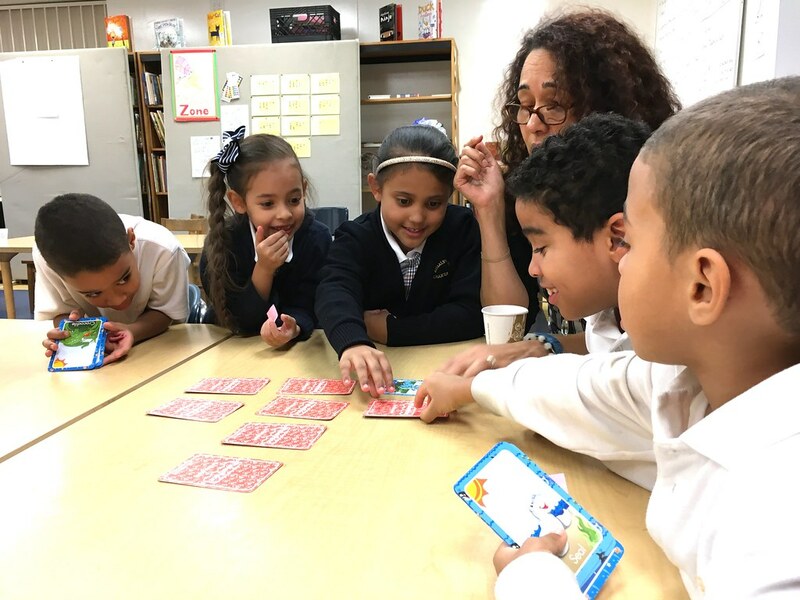 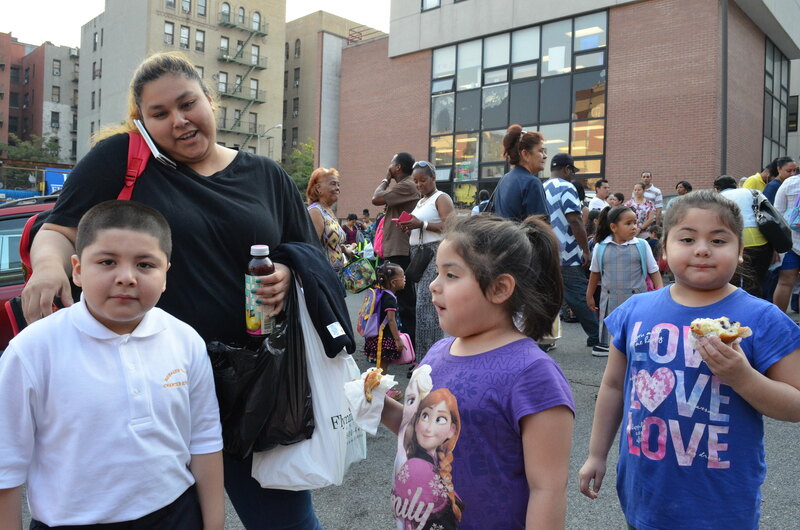 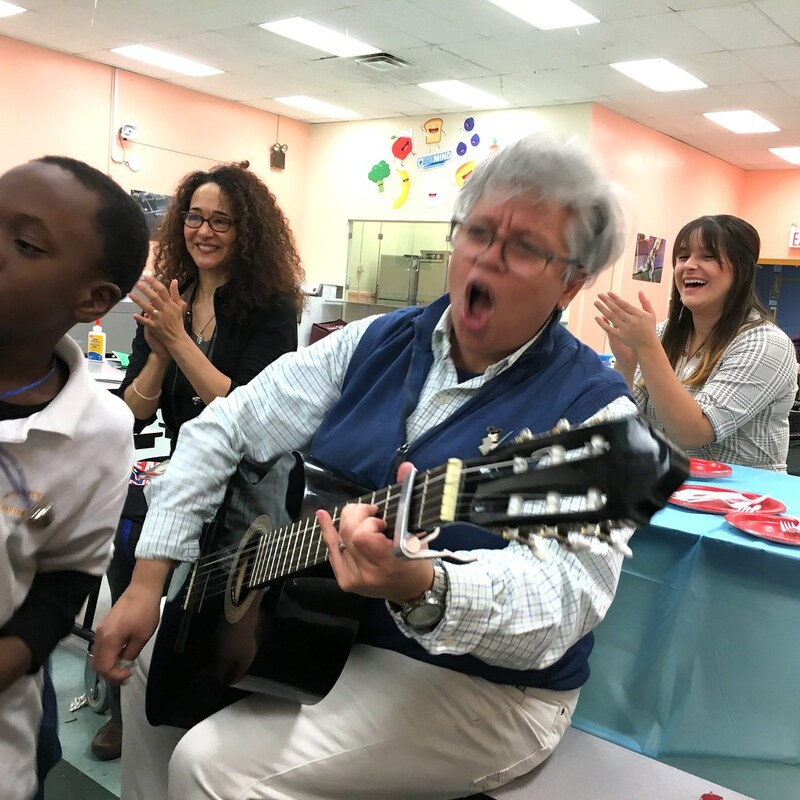 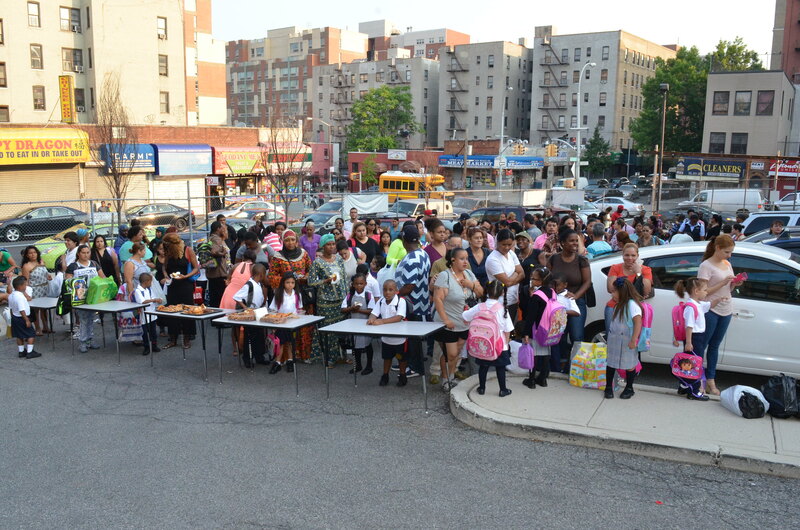 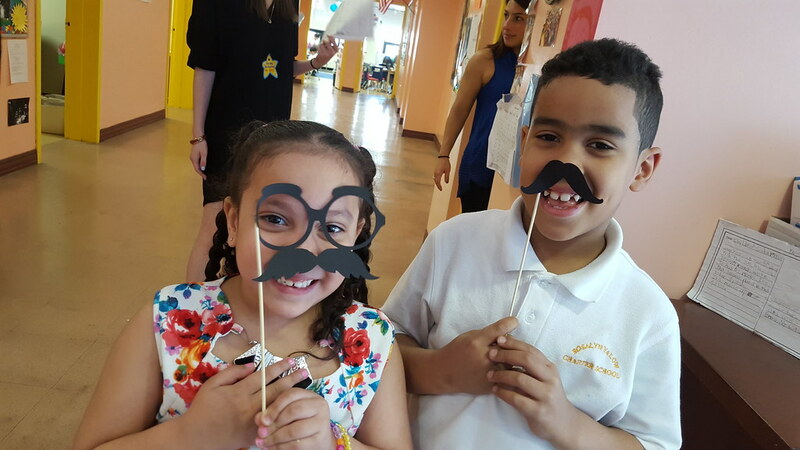 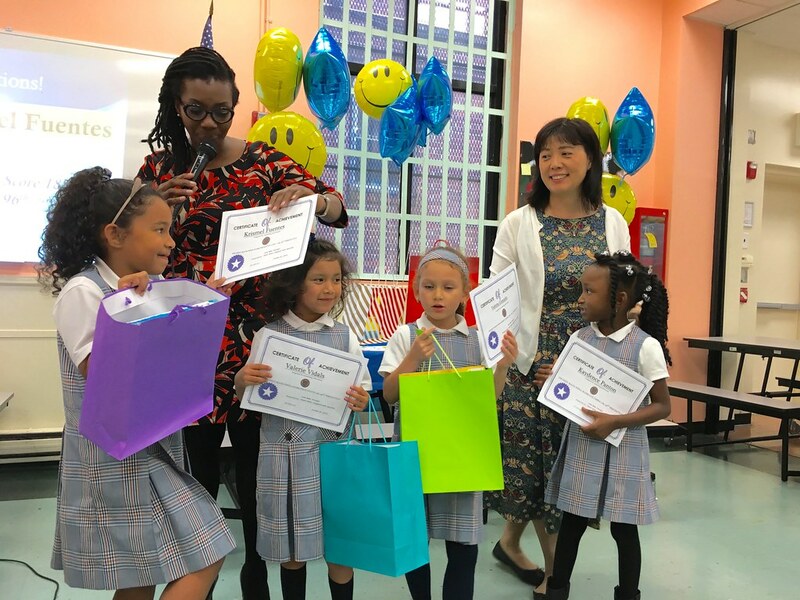 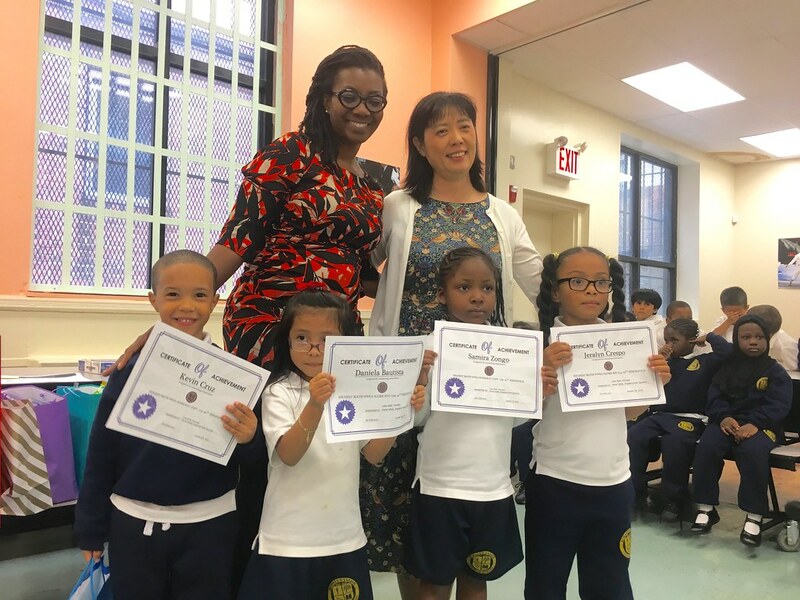 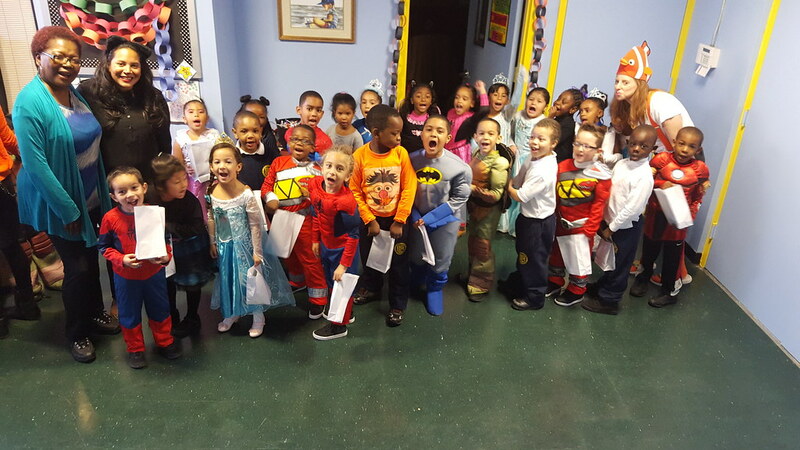 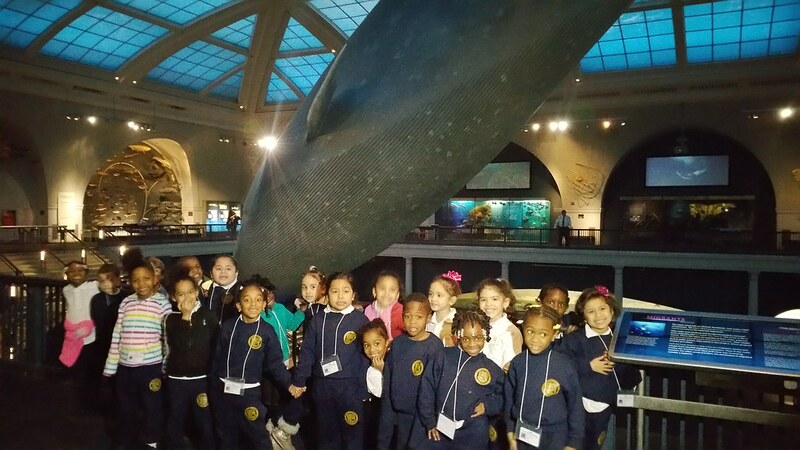 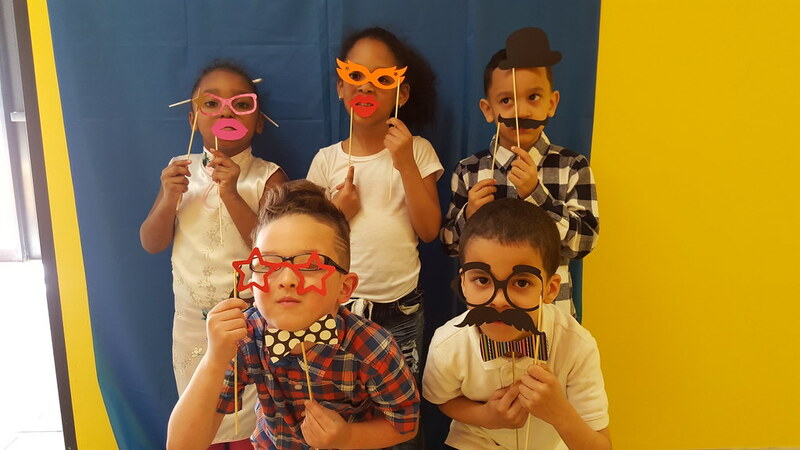 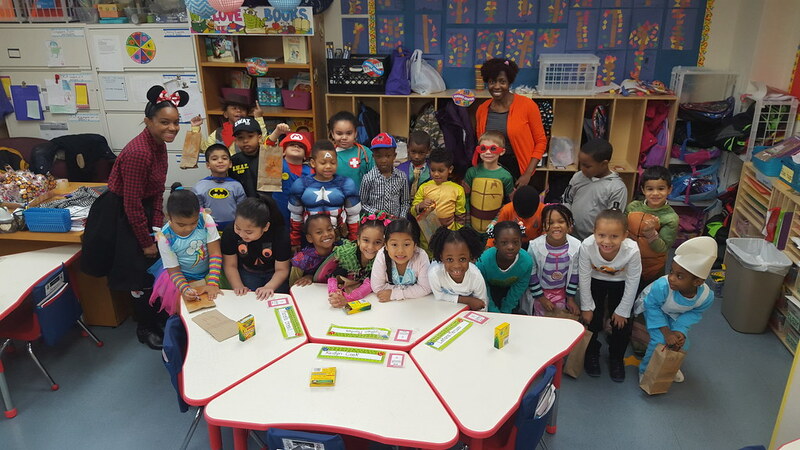 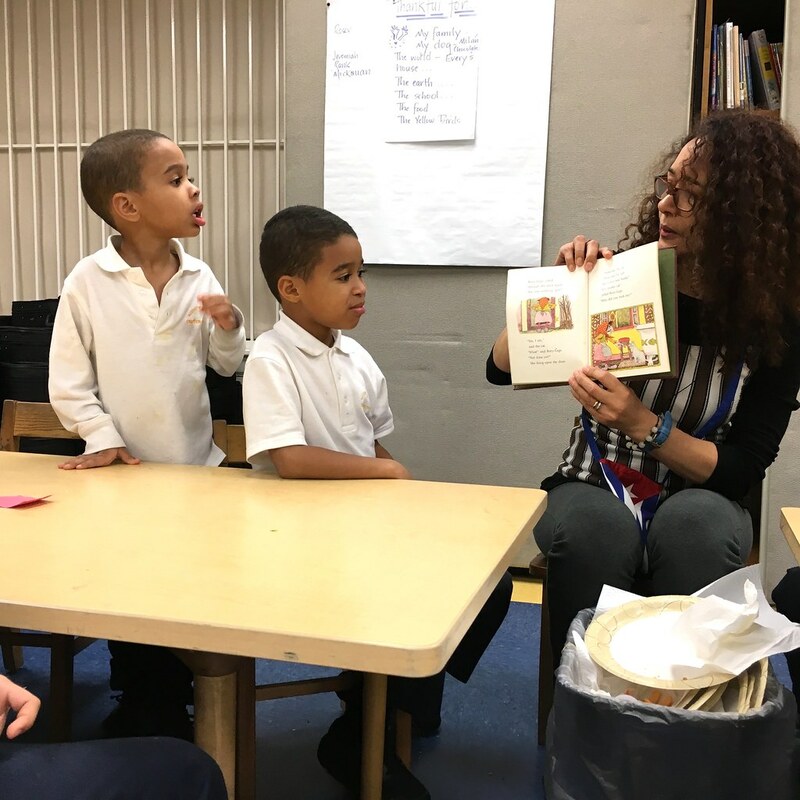 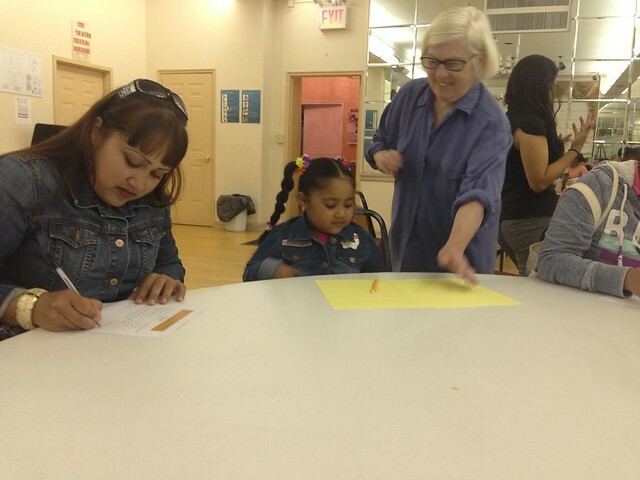 In the Under-600 Kindergarten thru 5th-grade section, in which Yalow took 8th place, 7 of the top 13 school teams were Success Academy teams (Bronx 4, Bronx 3, Harlem 2, Harlem 1, Bronx 2, and Harlem 3, and Bed-Stuy 1), while 5 of the top 13 school teams were from Brooklyn, including P.S. 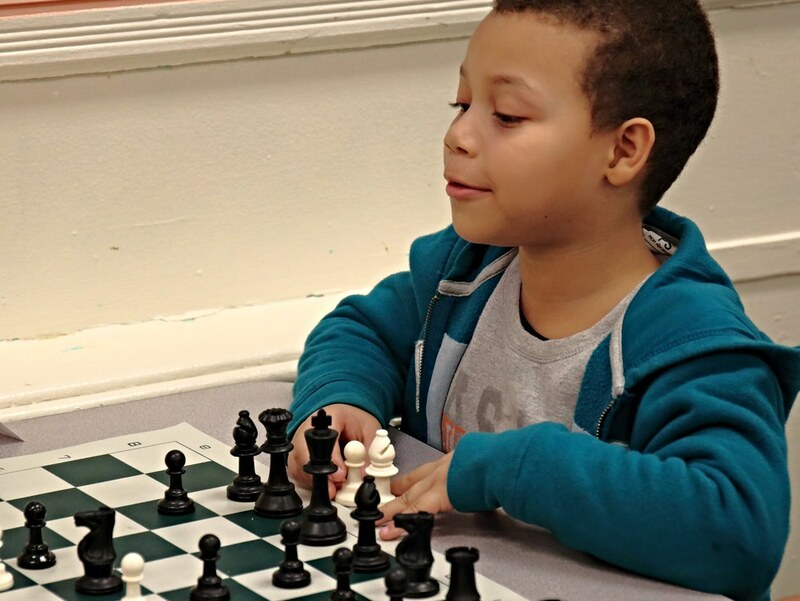 160K, which took 1st place. 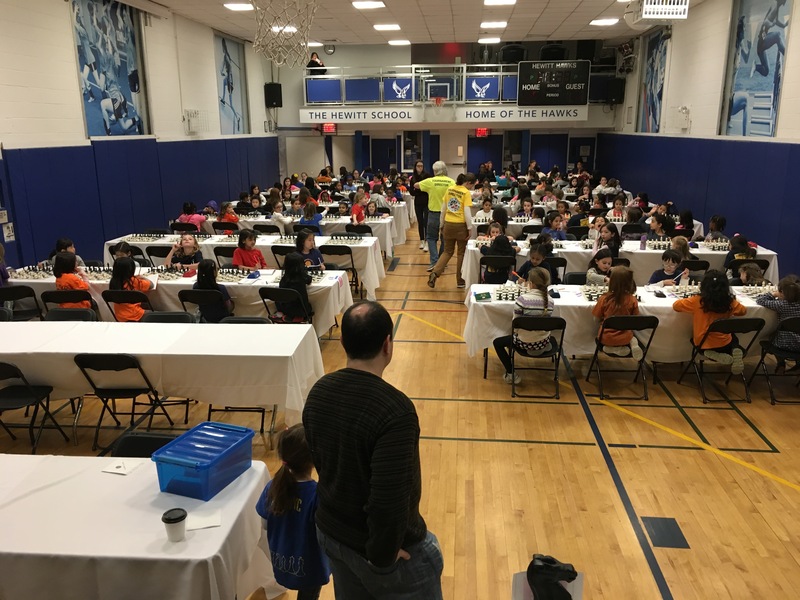 On Sunday, February 26, 2017, Yalow girls took 9th place in the first New York State Girls Chess Championship held at the Hewitt School for girls in Manhattan. 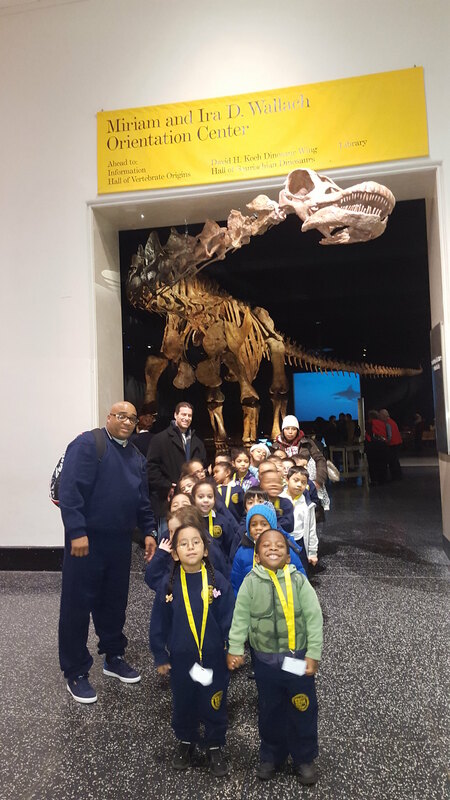 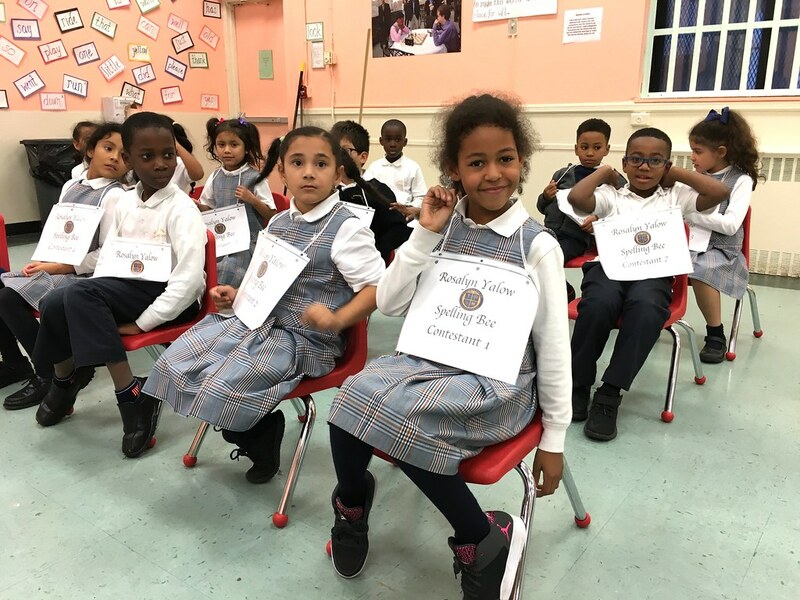 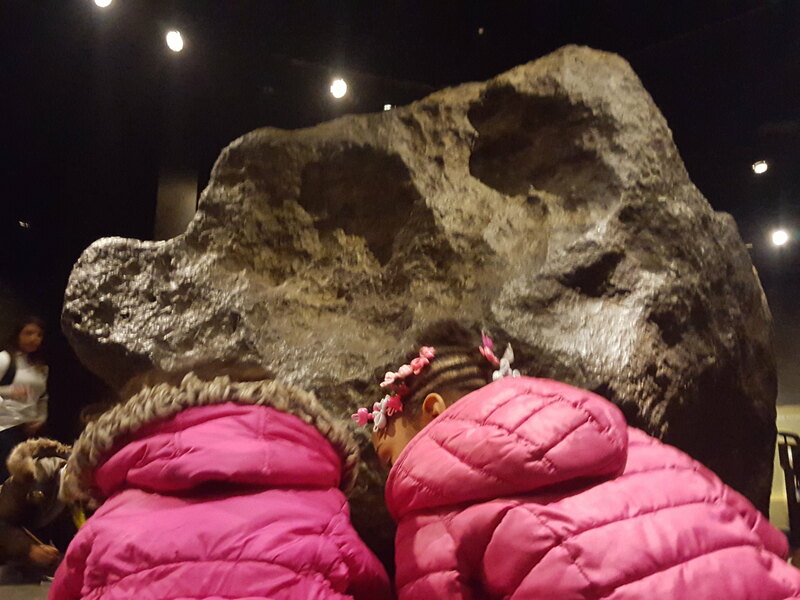 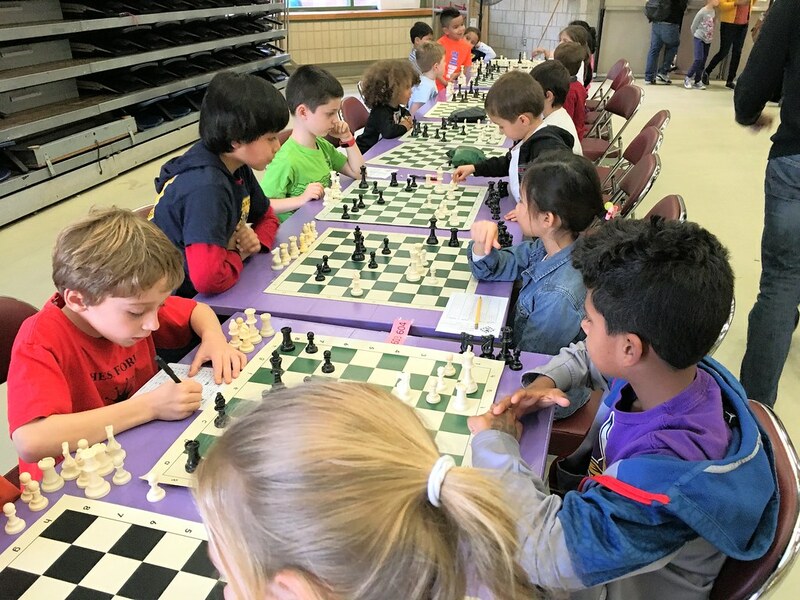 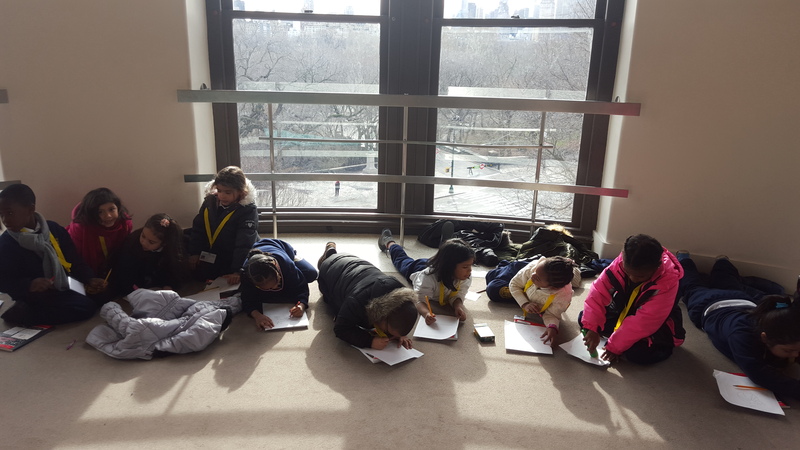 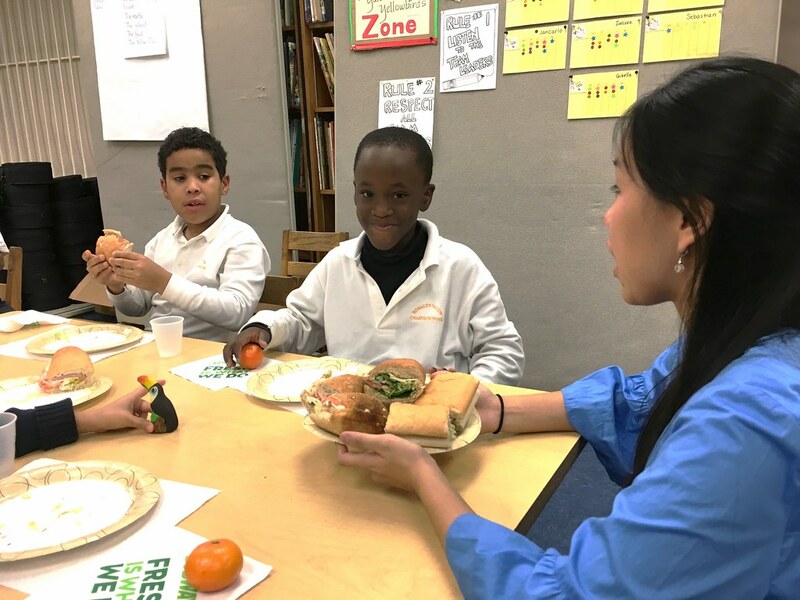 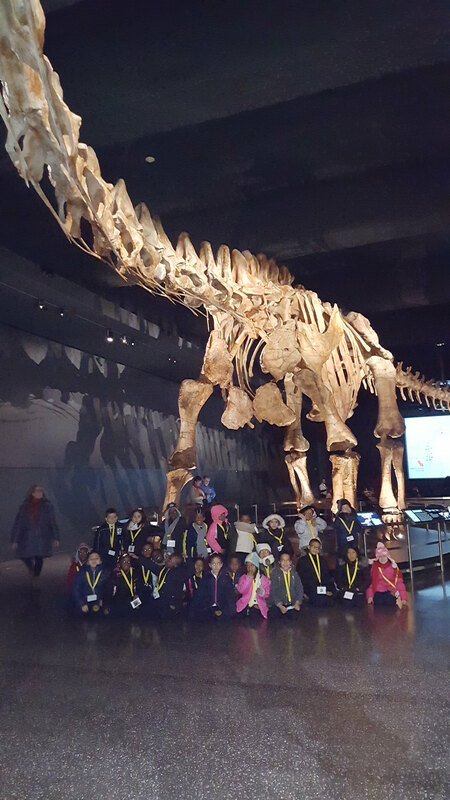 11 1st and 2nd graders fought for 8 1/2 hours against 20 of the best private and public schools from across New York (and one, Princeton Day School, from New Jersey) in the K-3 U-600 section. 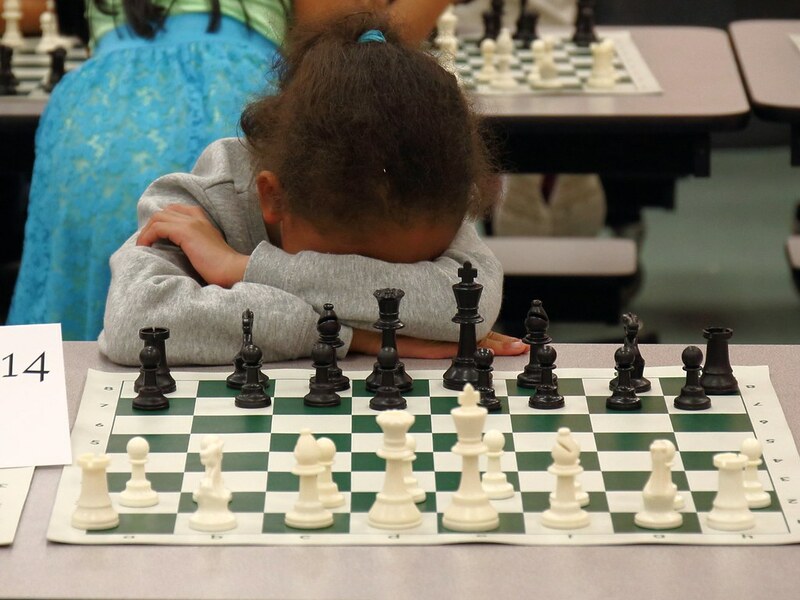 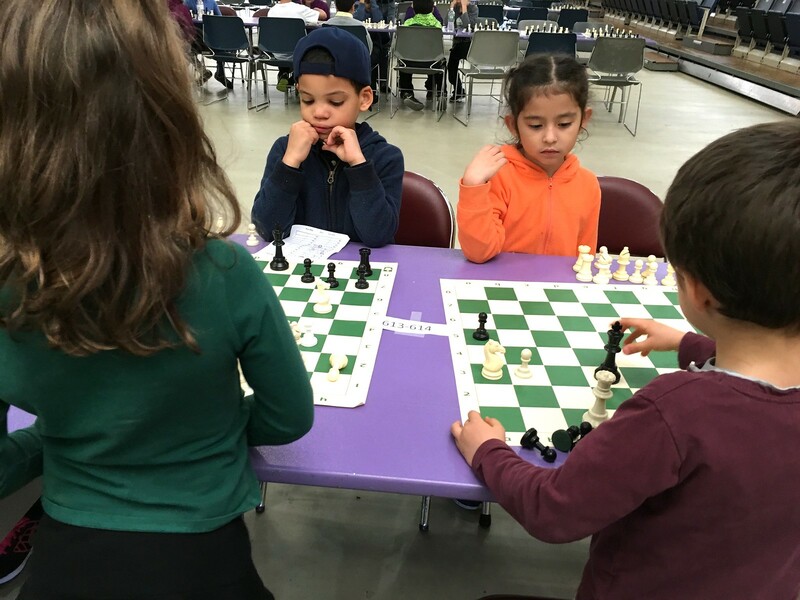 Our 6- and 7-year-olds proved they can hold their own against the best girl’s chess teams in the State, besting Riverdale Country School, Hunter Elementary, Brearley, Princeton, and Hewitt. 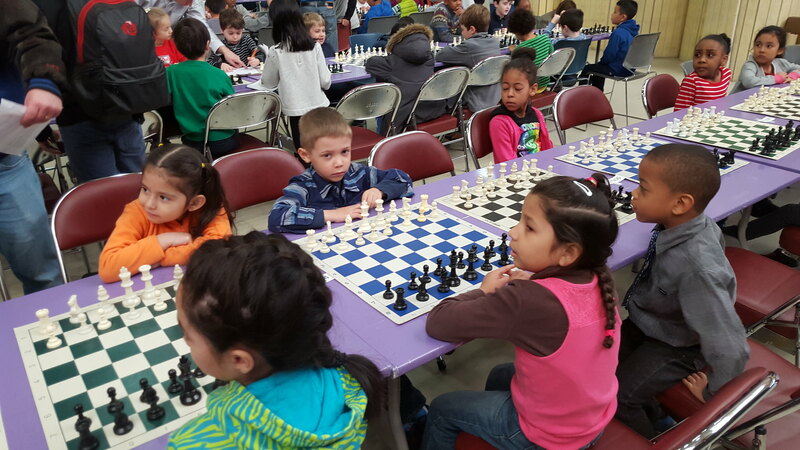 These Tigers have tenacity and grit, with some games slogging on for 50 to 60 moves, demanding complete concentration. 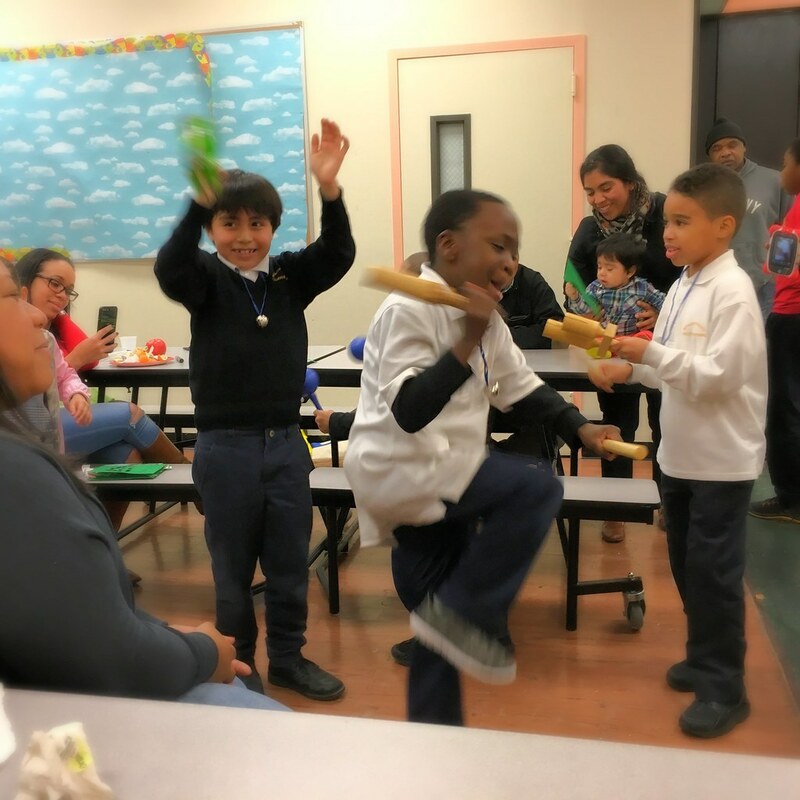 The final session of our 4th class of families ended with a hearty dinner and a review of all that was learned and practiced during the fall sessions. 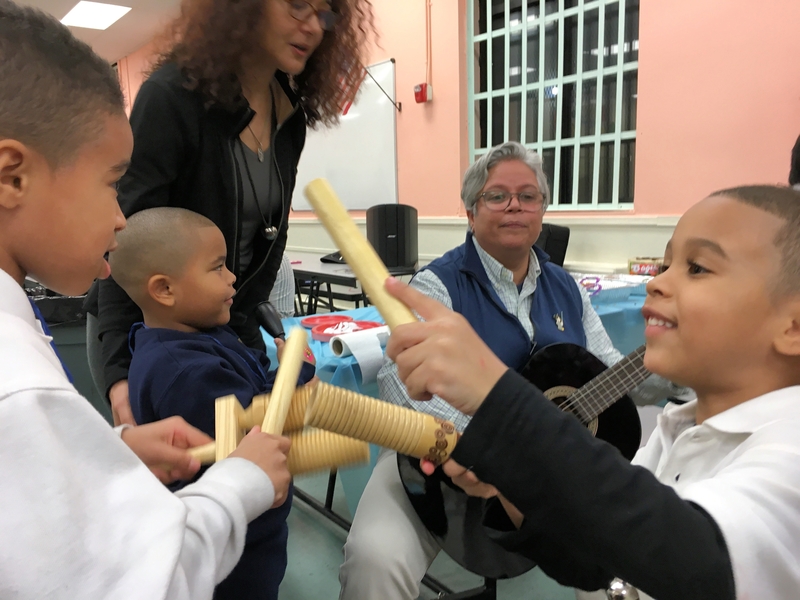 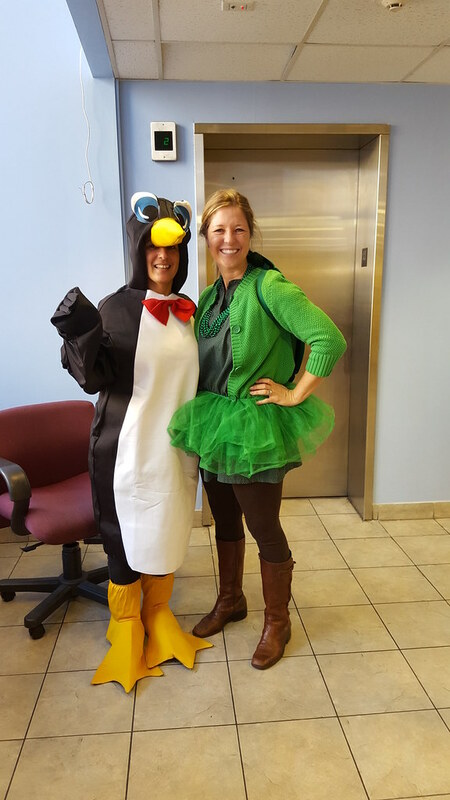 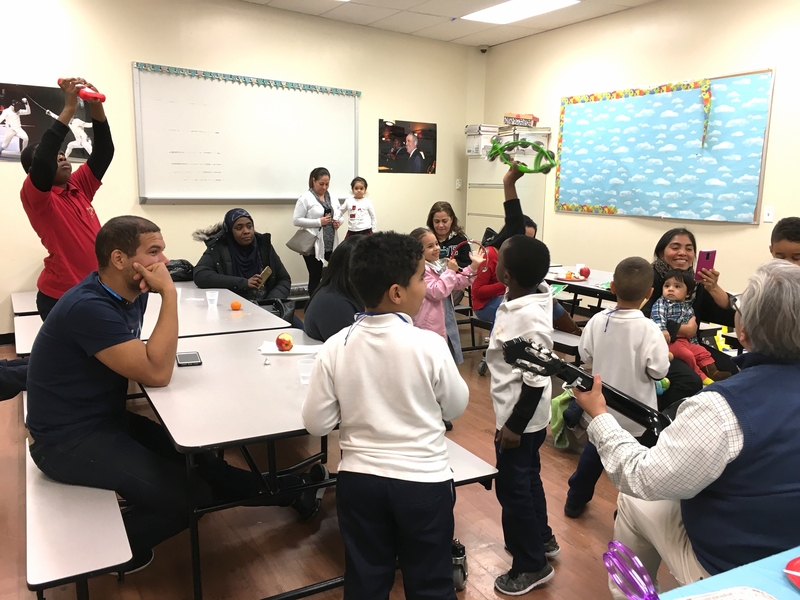 With the holidays coming up, the gathering turned festive, led by Mayra Estrada-Cruz, Sage Sevilla, and Caitln Krenn, Yalow’s partners from RMHA. 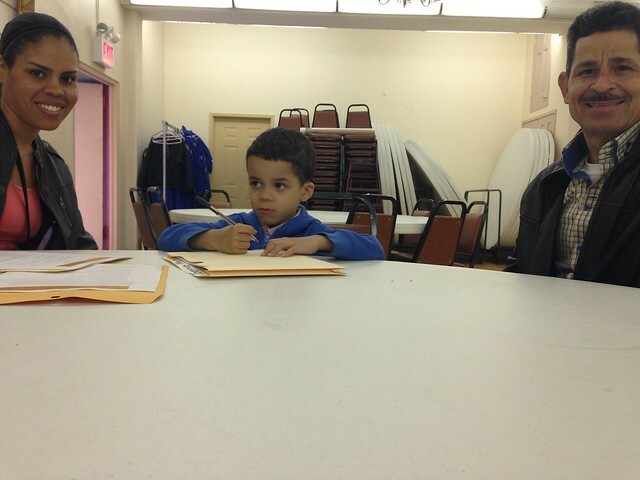 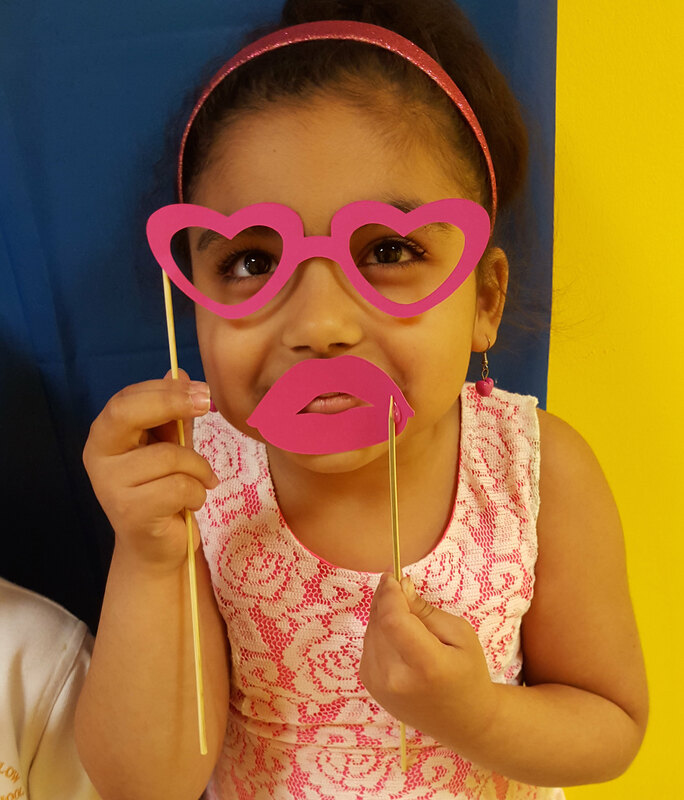 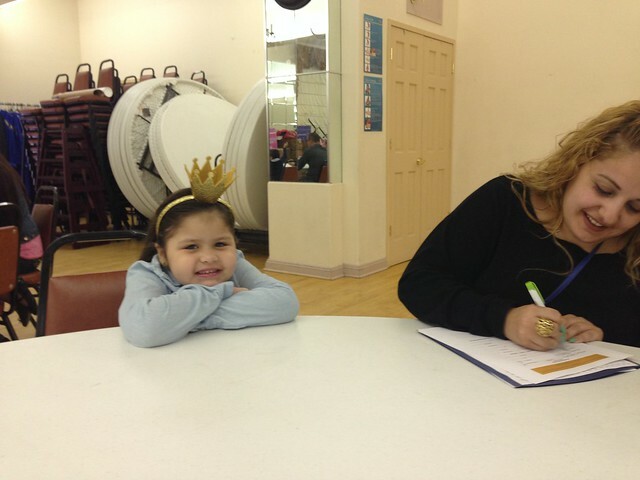 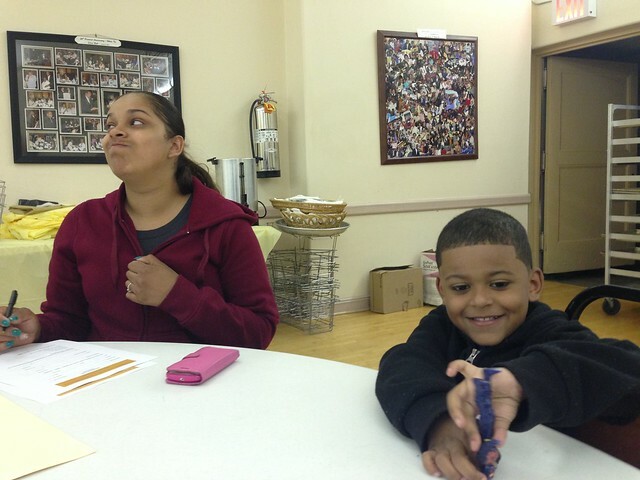 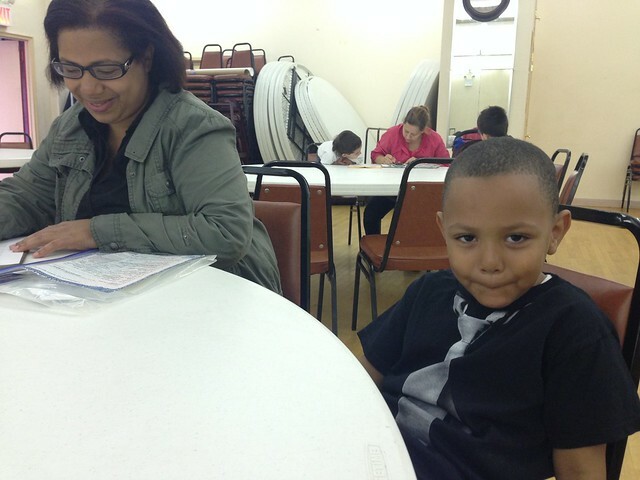 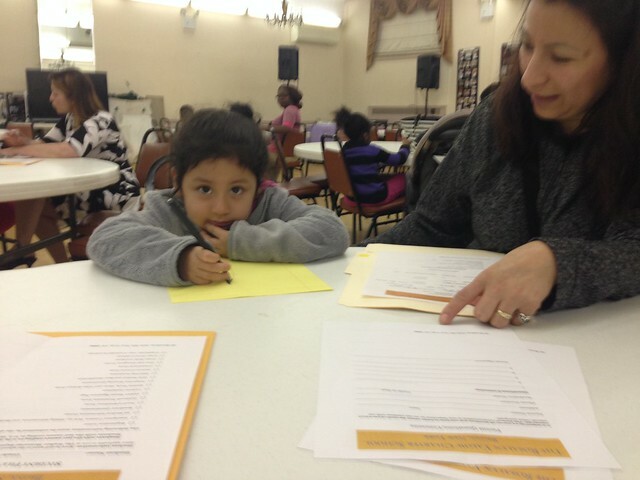 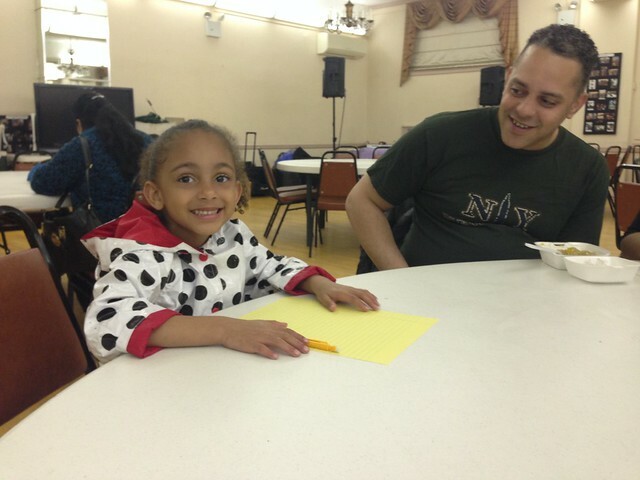 These weekly evening sessions teach our children how to develop social skills while tuning in to their emotions. 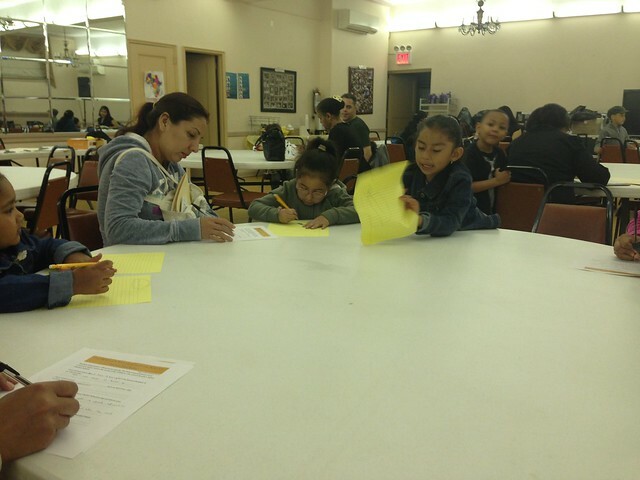 The parents, during the same sessions, learn how to deal with the emotions that come up while parenting as well as to practice stress management and positive reinforcement. 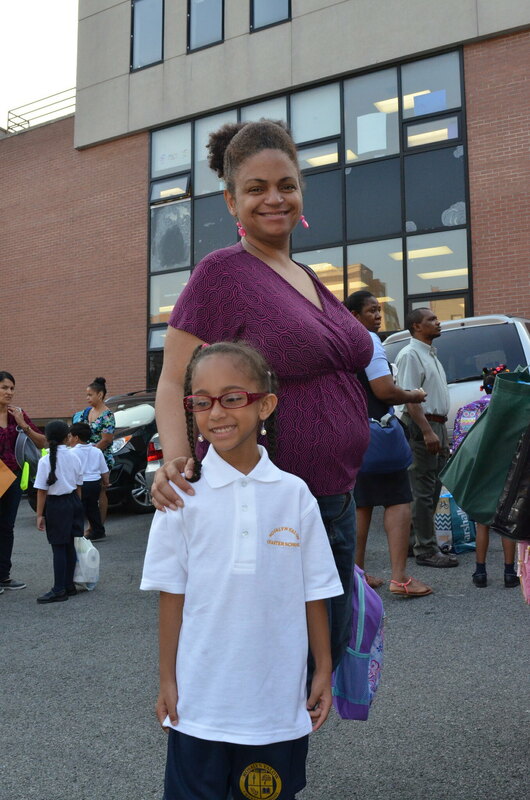 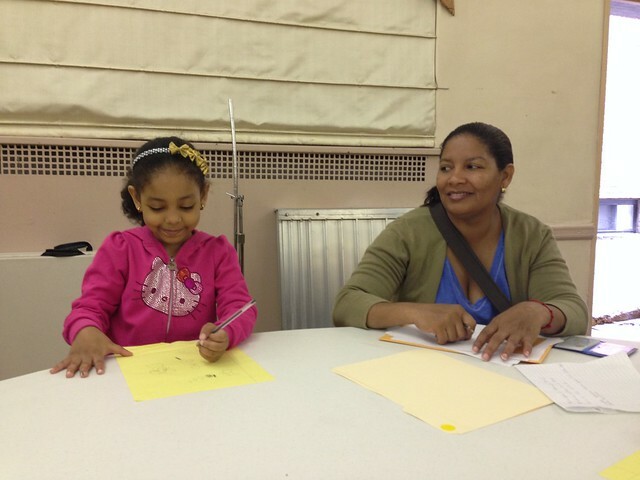 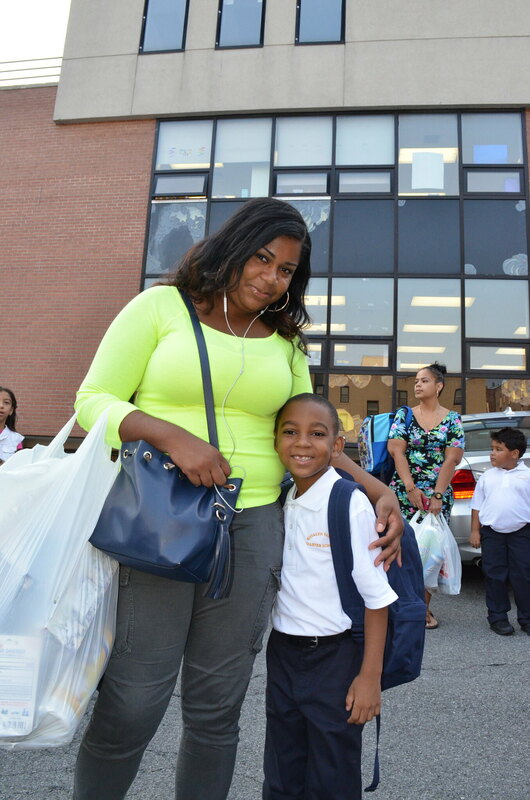 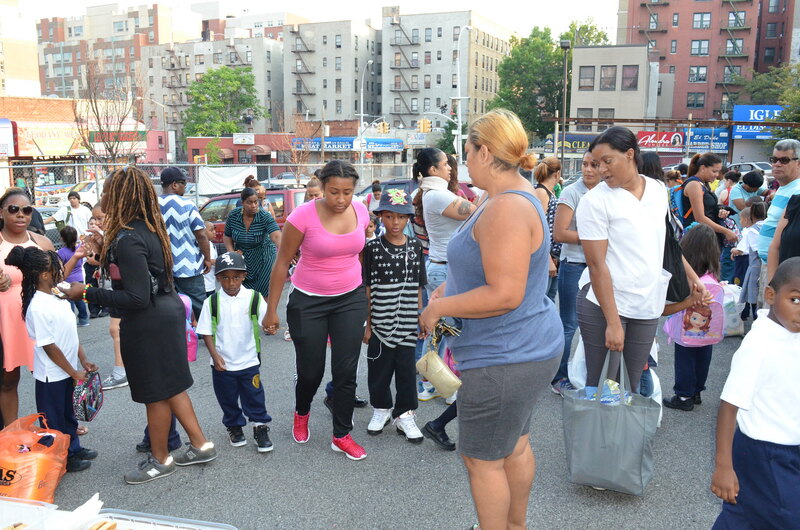 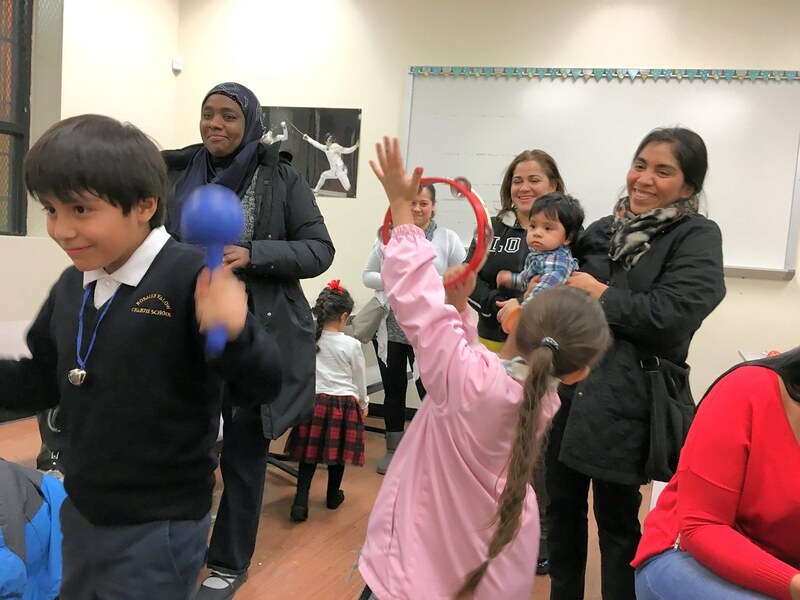 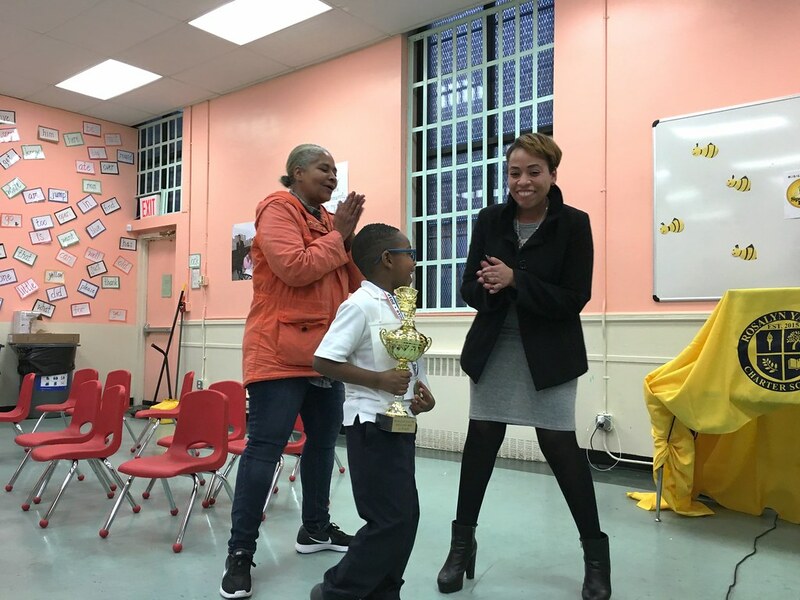 In essence, the parents becomes part of a winning team with the teachers, gently and wisely pushing their child to succeed academically and socially. 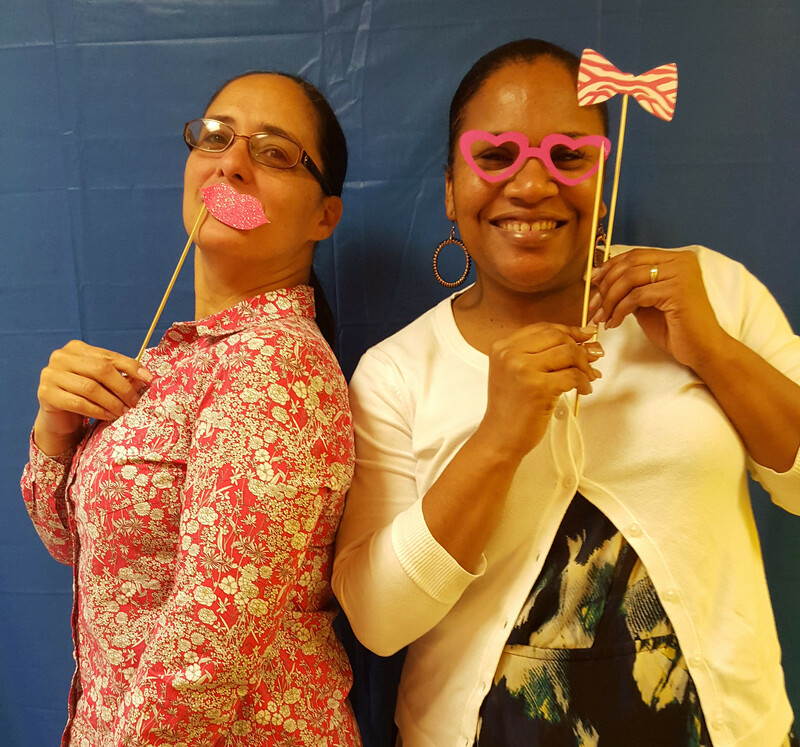 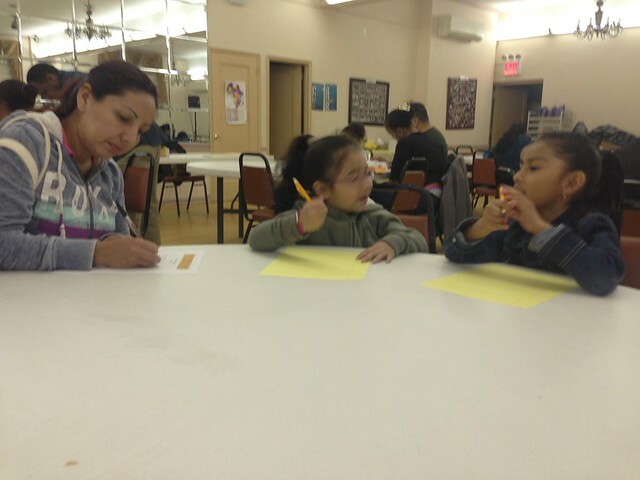 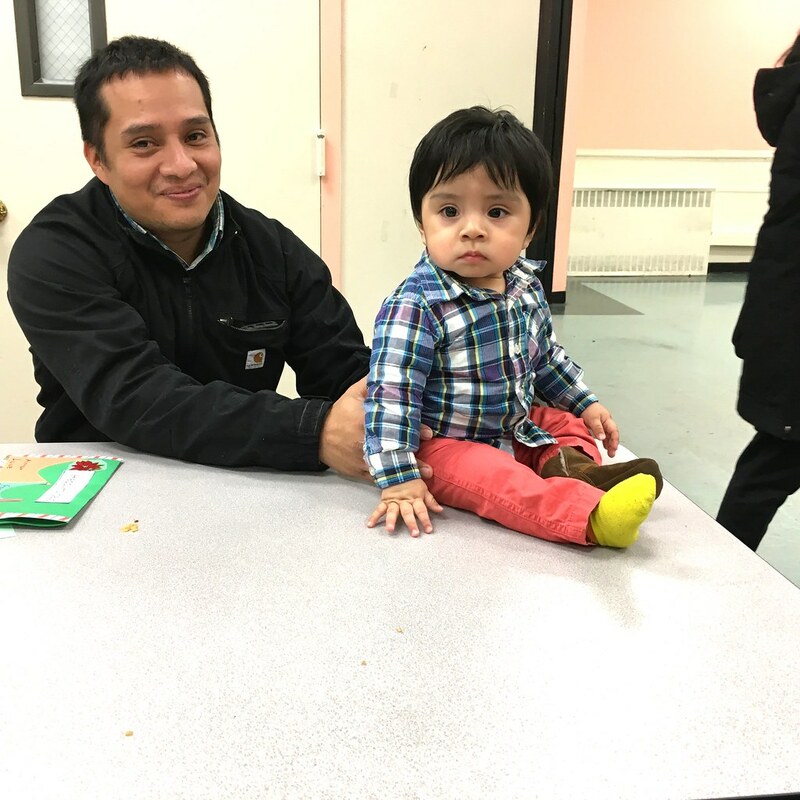 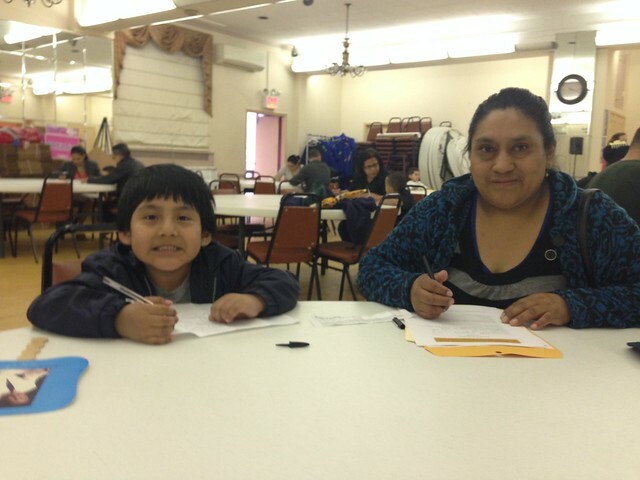 Our winter session of the Family Support Group began January 5, 2017. 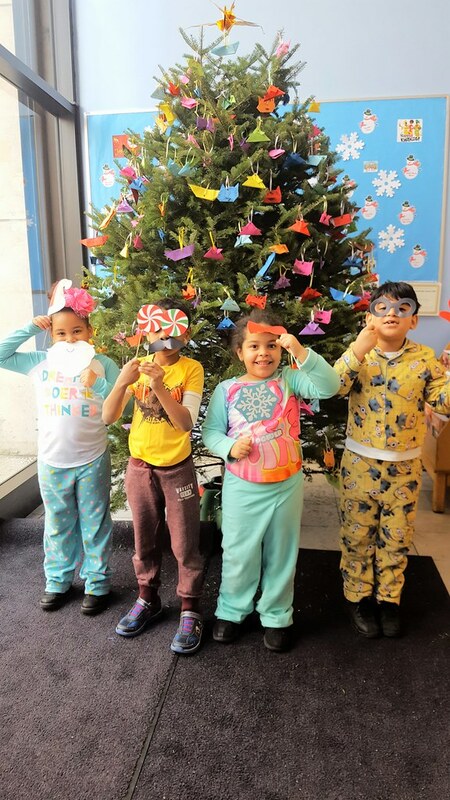 All 249 students hand made origami ornaments to decorate our yearly origami tree for the holidays. 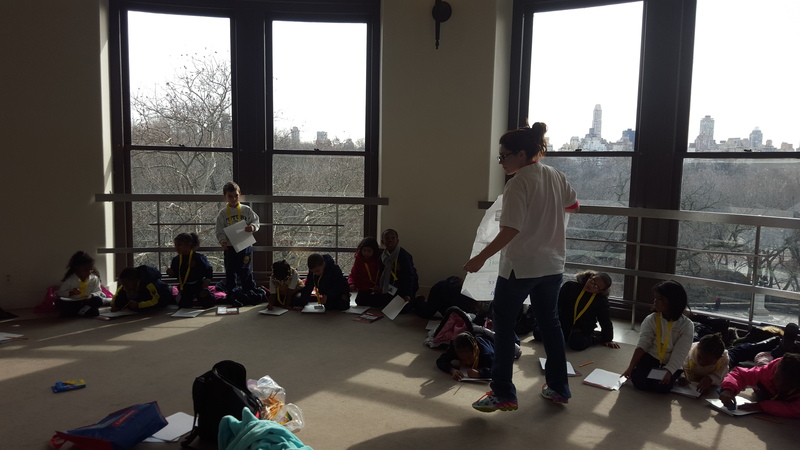 Origami teaches geometry and number sense, encapsulating several subjects of mathematical interest used by engineers and scientists. 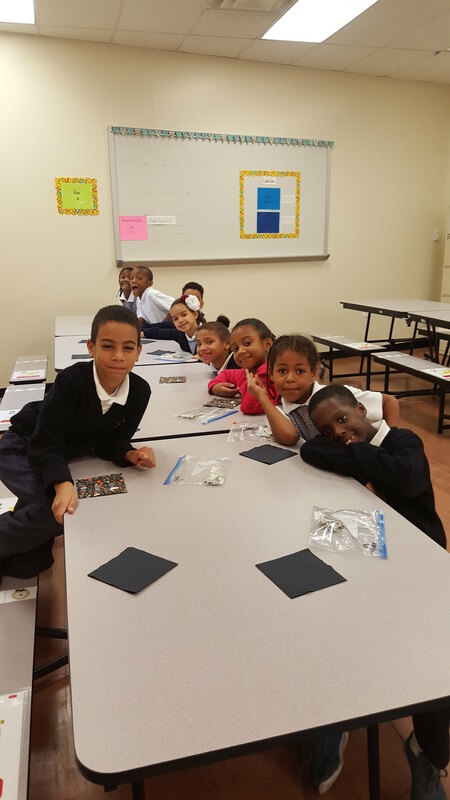 Naomi Ishida, Yalow’s Singapore math specialist, and 18 classroom teachers supervised the origami making as part of math activity time. 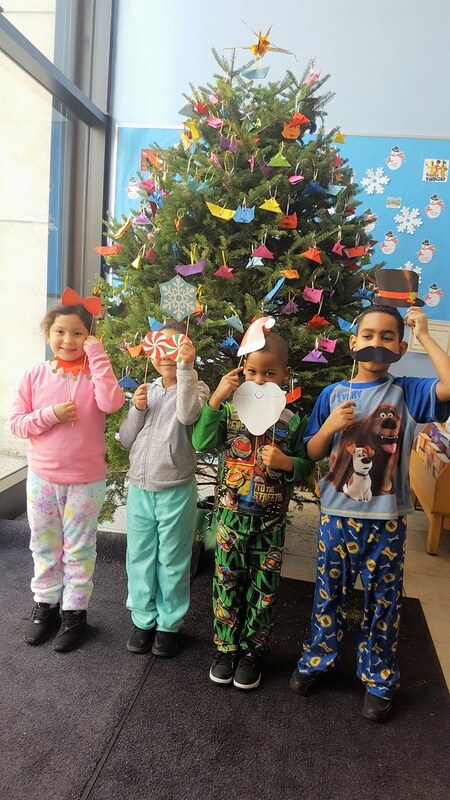 The essence of origami is that each ornament is made from a single square sheet of paper, using precision folds and angles to create a finished sculpture—on this year’s tree, samurai helmets and sailboats. 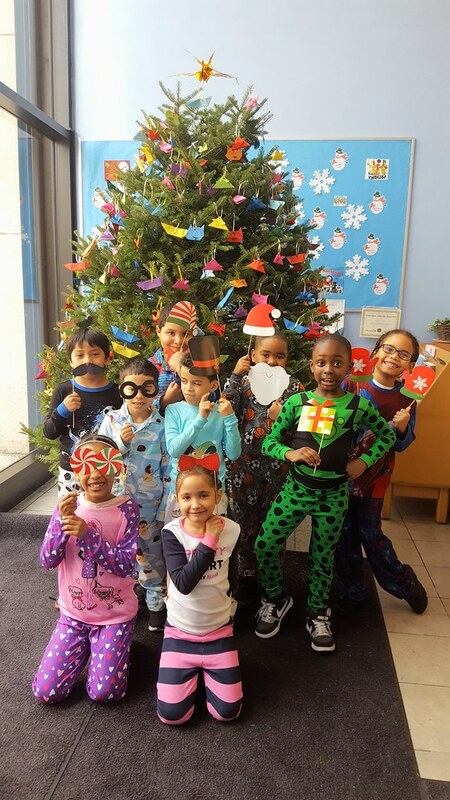 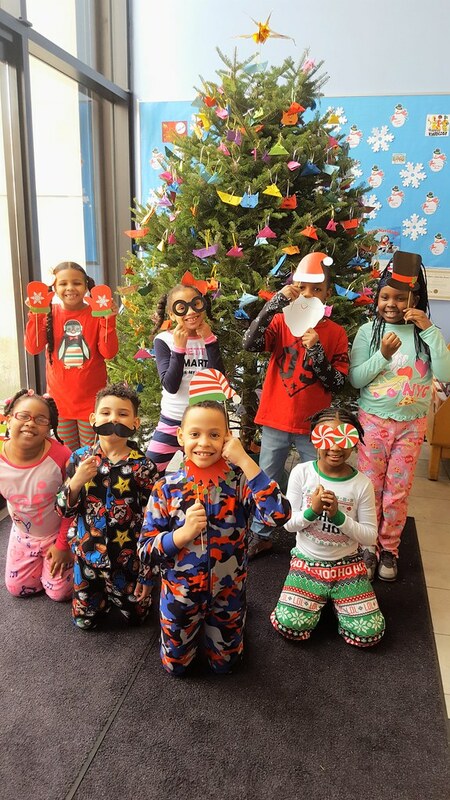 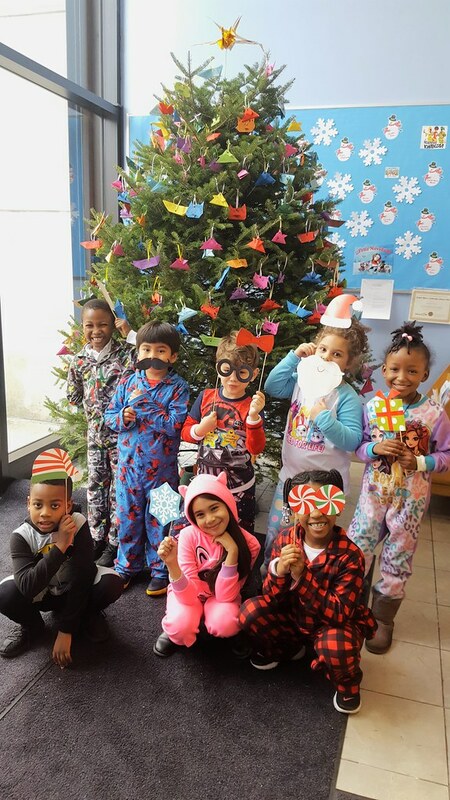 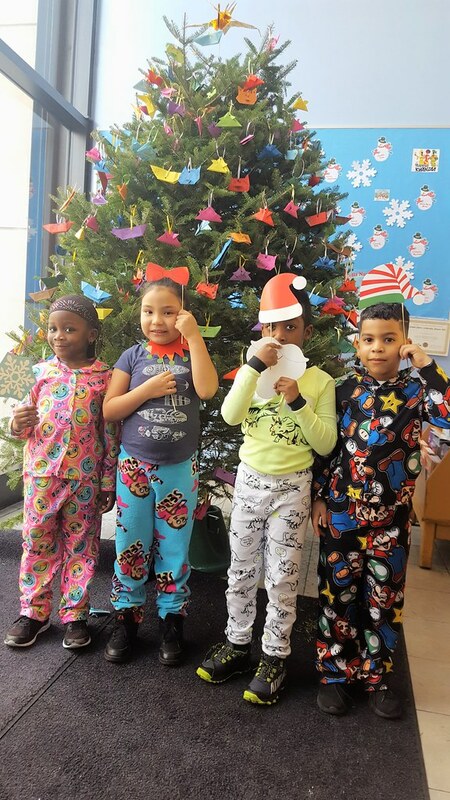 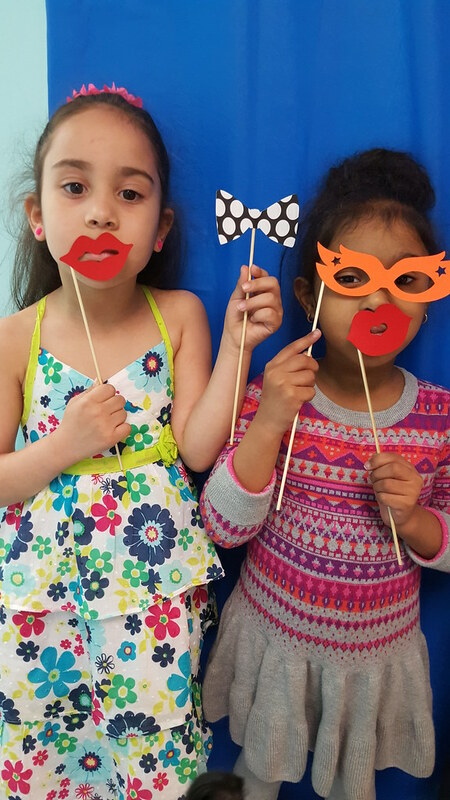 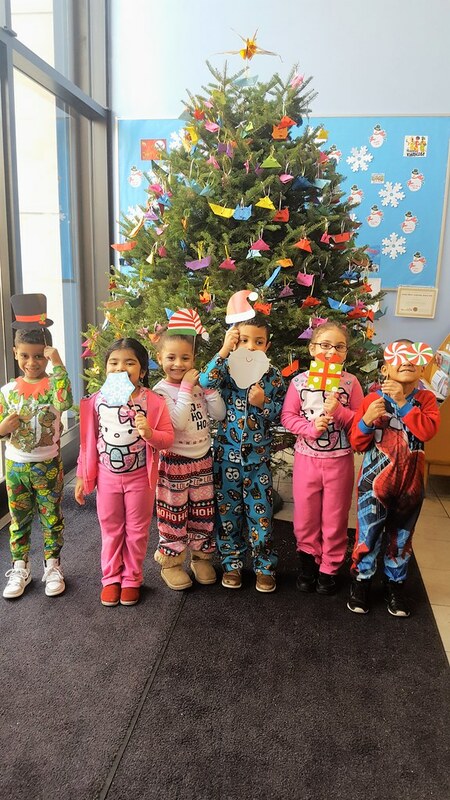 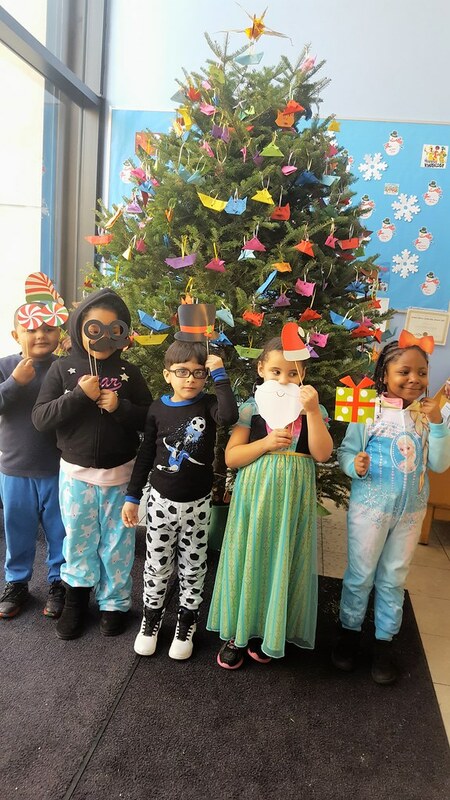 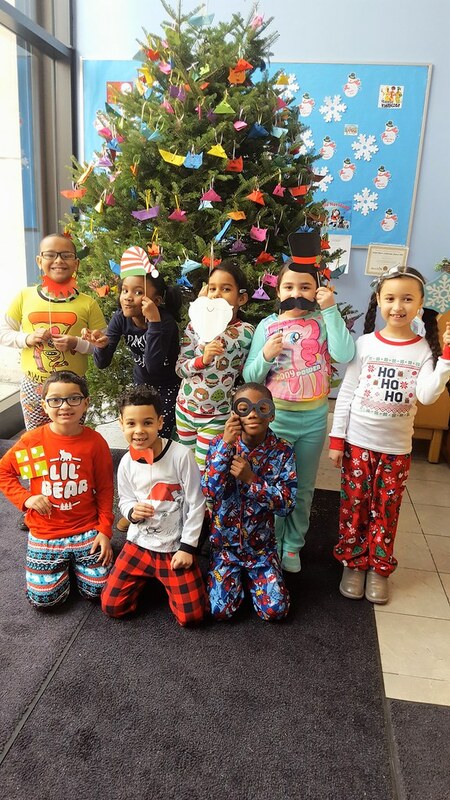 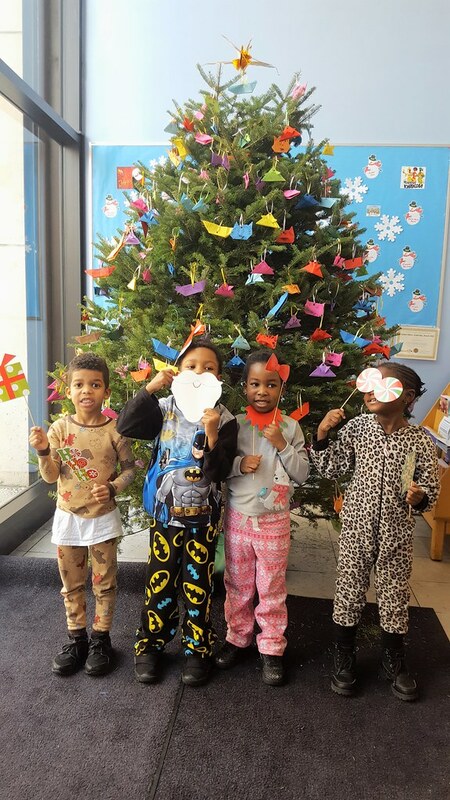 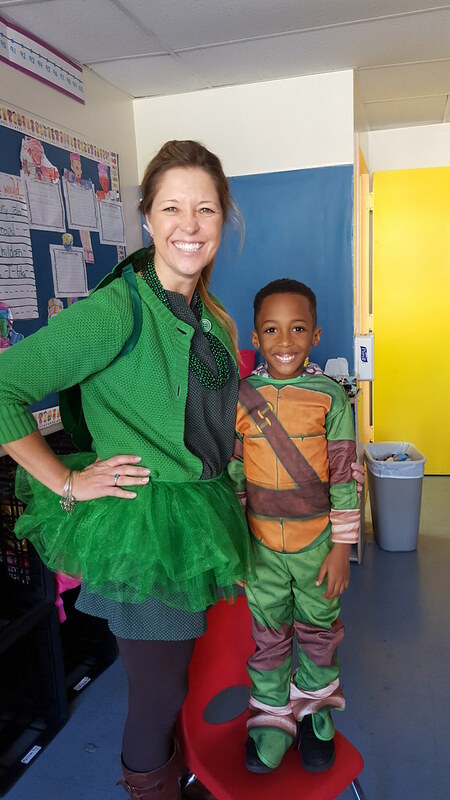 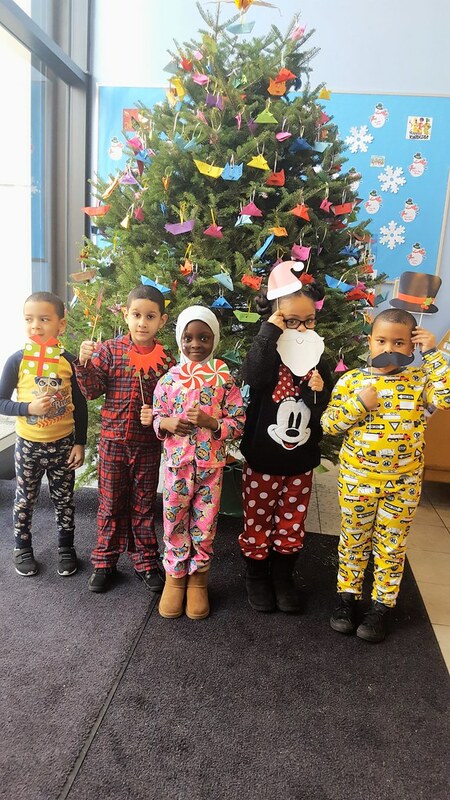 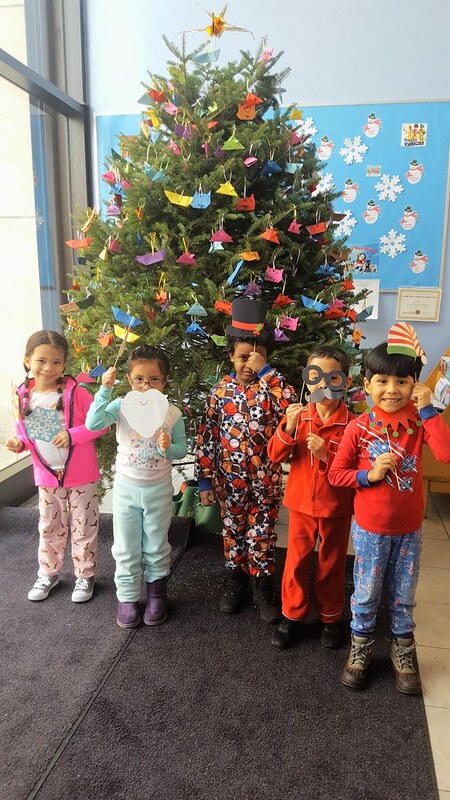 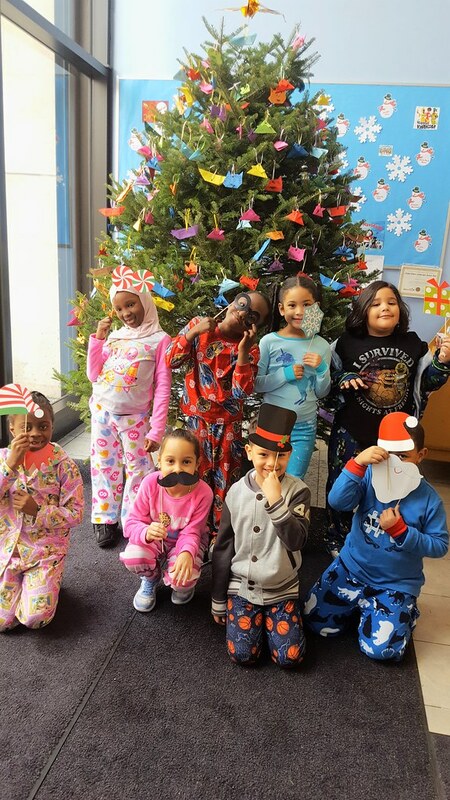 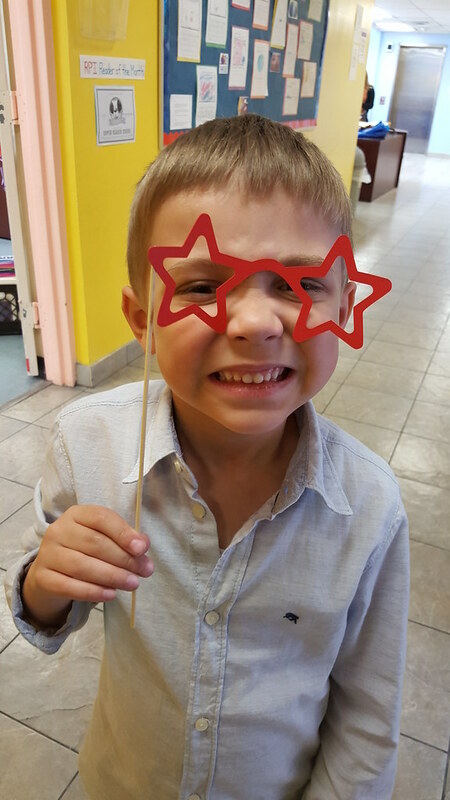 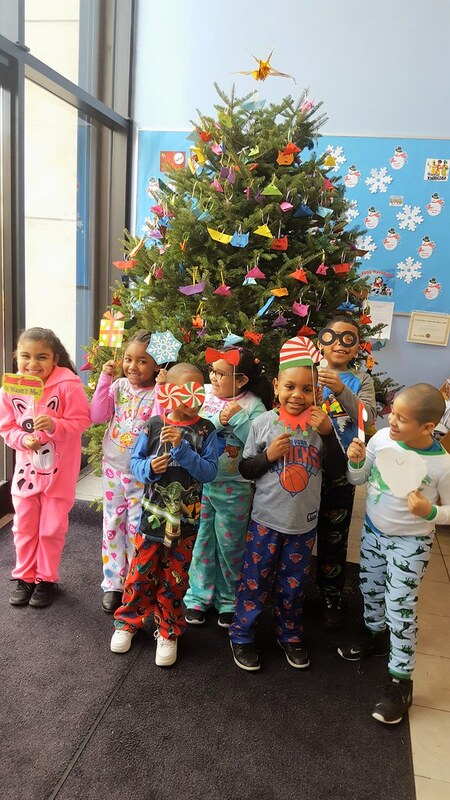 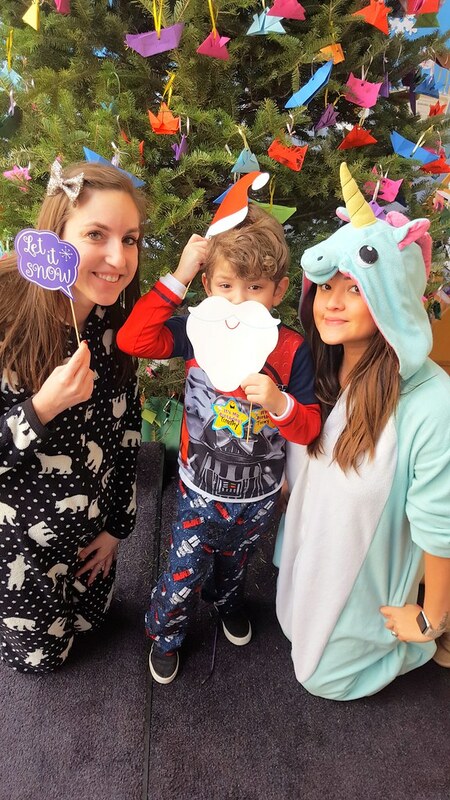 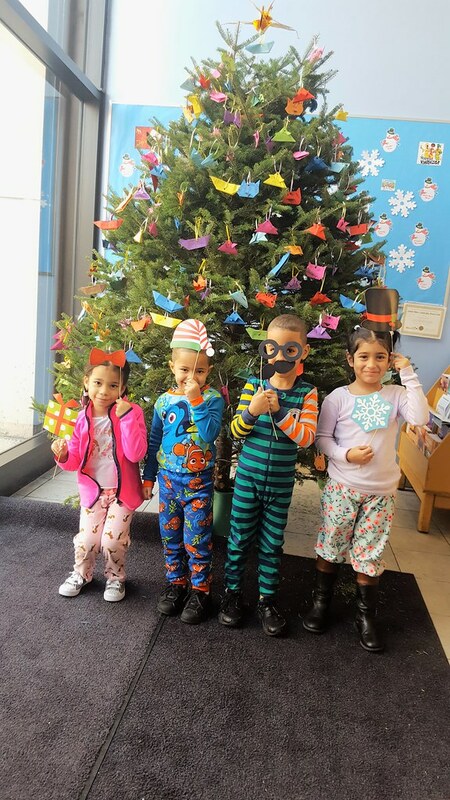 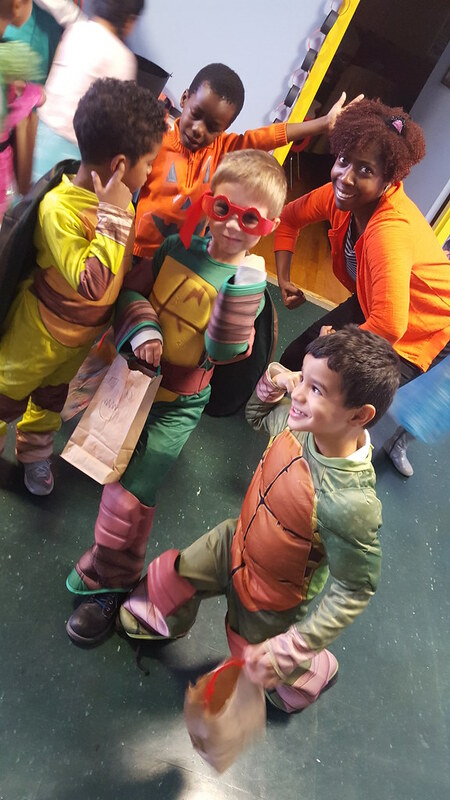 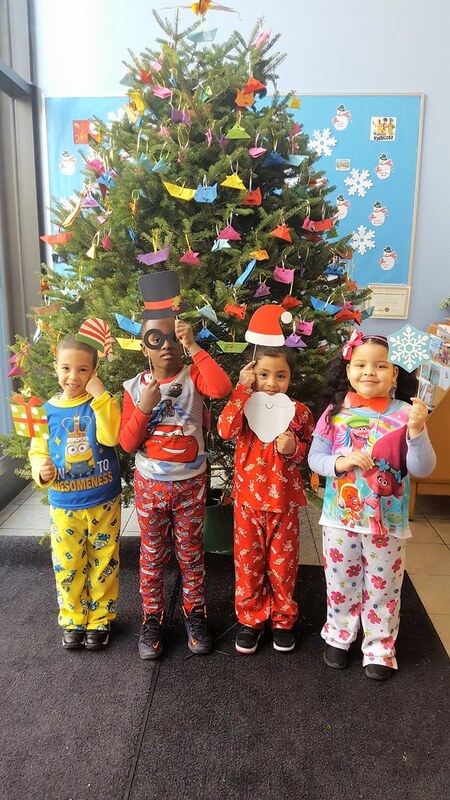 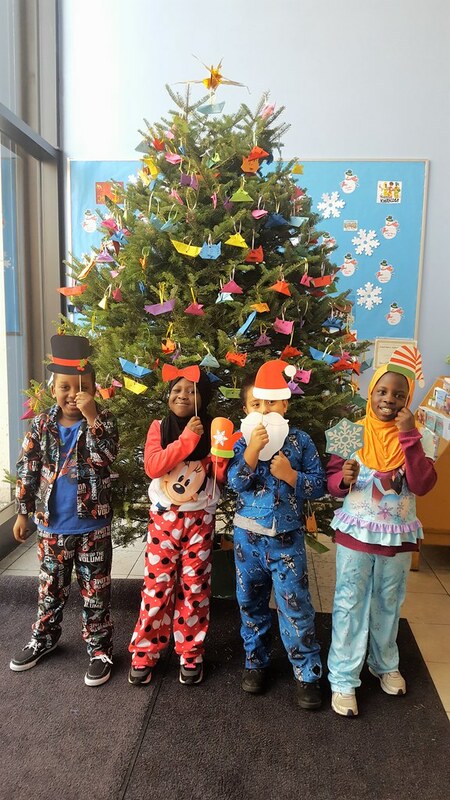 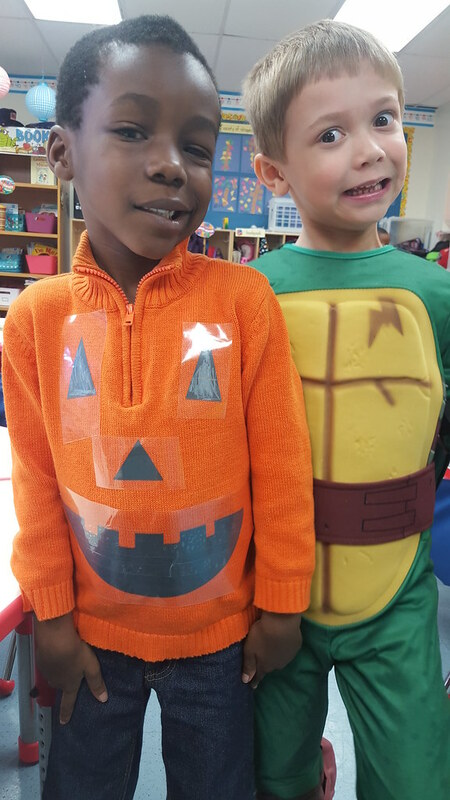 On Pajama Day 120 of our fledgling origami experts then posed for Ms. Catherine Seibert-Martinez, special education teacher and photographer. 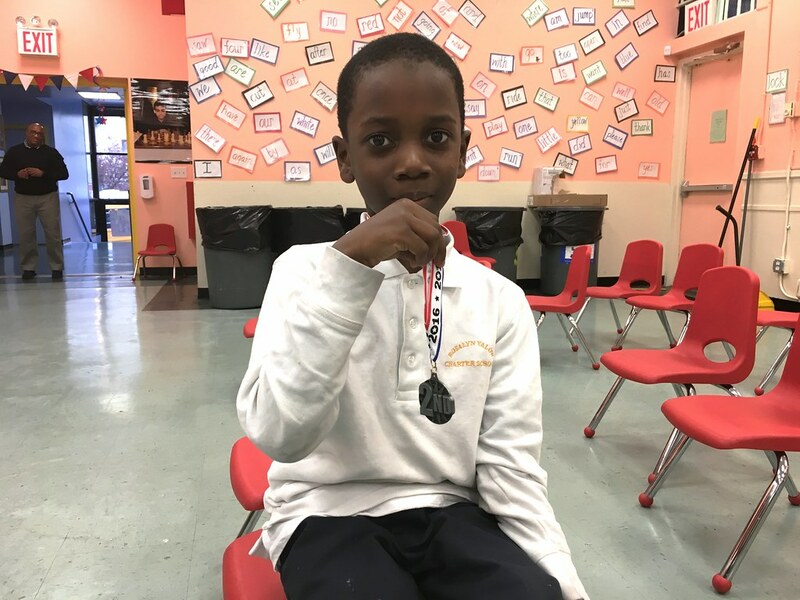 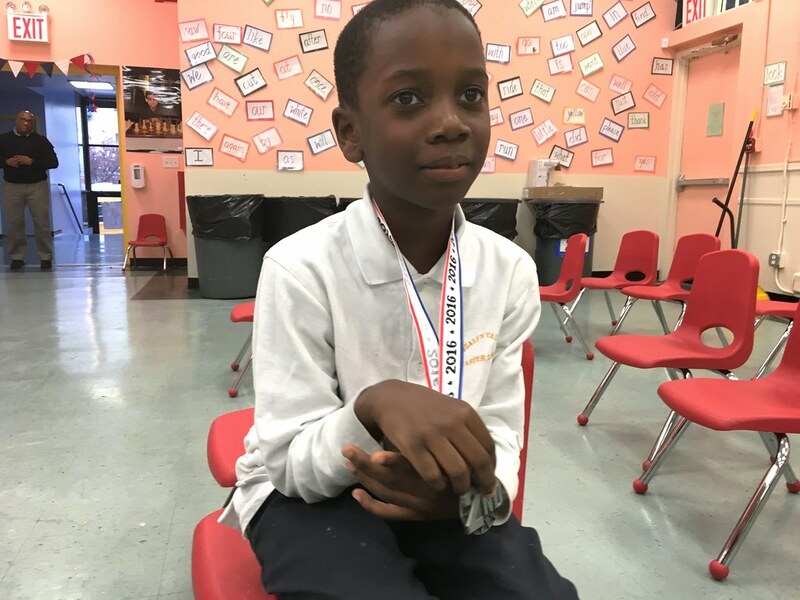 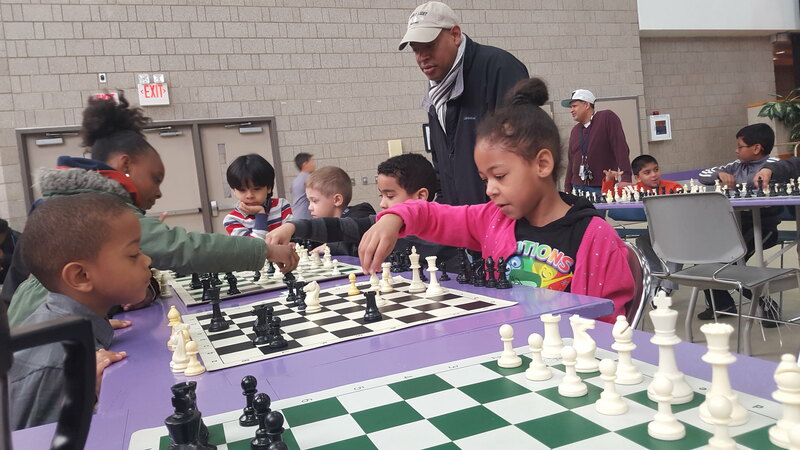 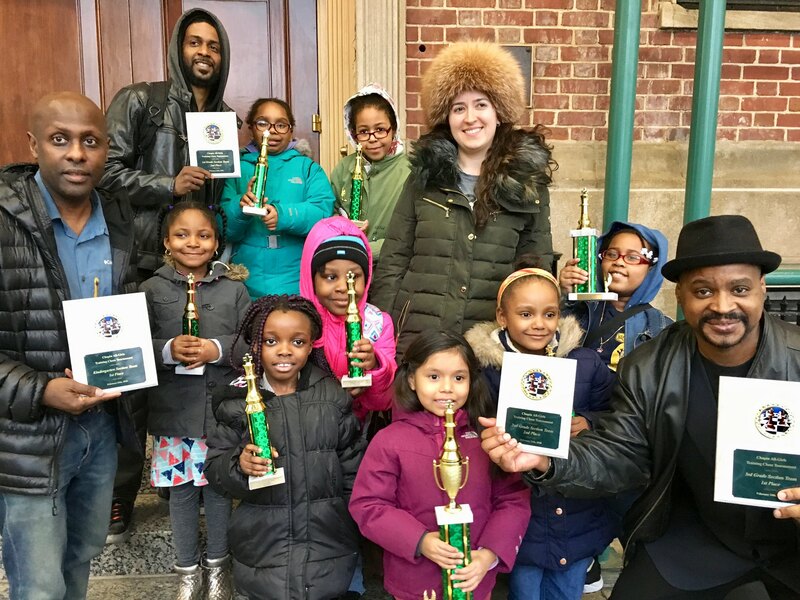 On Sunday December 5, the Yalow Tigers took team first place at the Right Moves chess tournament in Riverbank State Park, besting 10 other teams, including P.S. 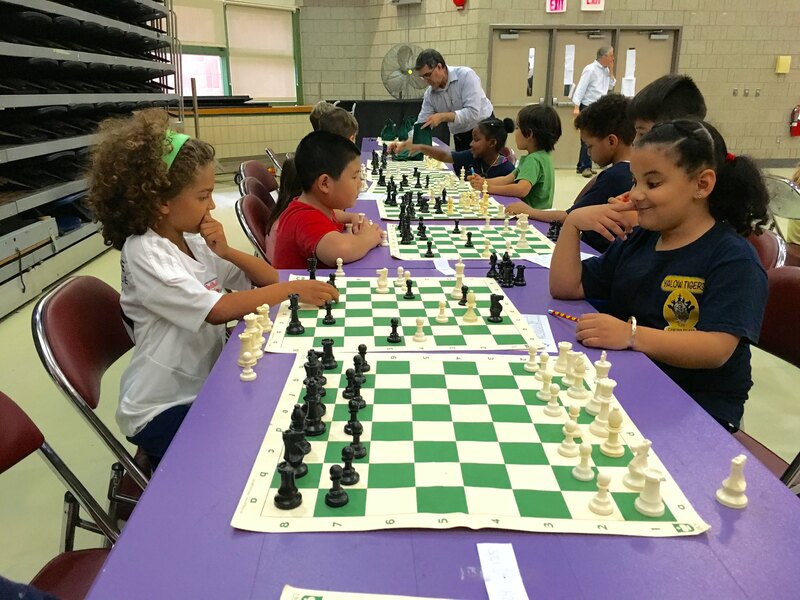 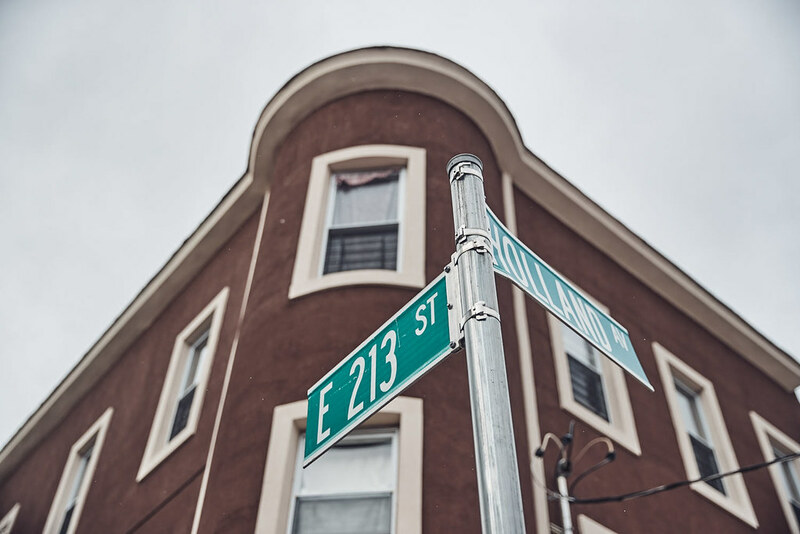 9 from the upper west side of Manhattan, which has a 30-year-old chess program (2nd place), and the Brooklyn School of Inquiry (3rd place), a gifted-and-talented school. 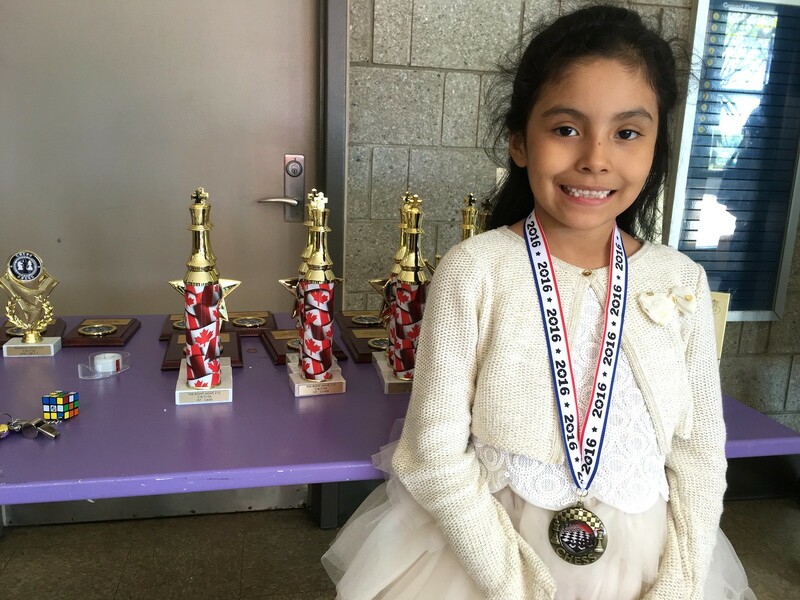 Abigail Romero took 4th place individual overall out of the unrated 77 competitors. 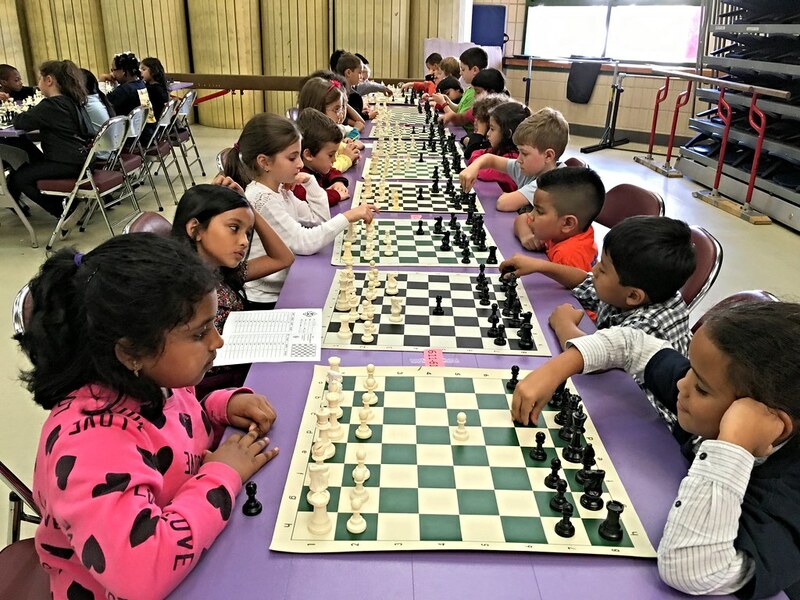 23 K-2 Tigers competed against 2nd- and 3rd grade unrated students. 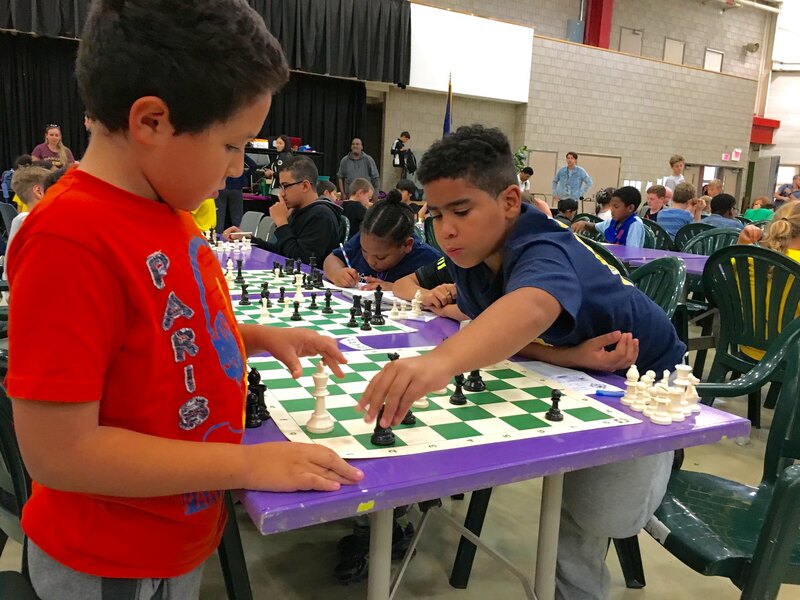 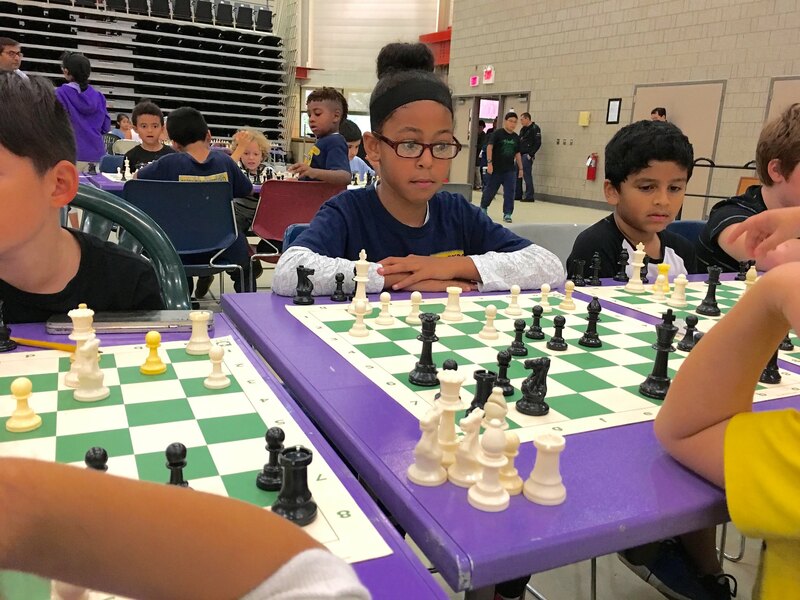 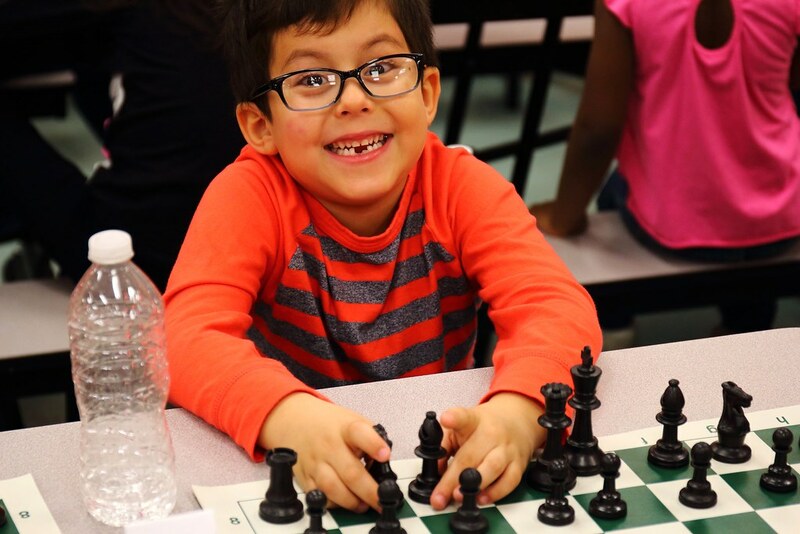 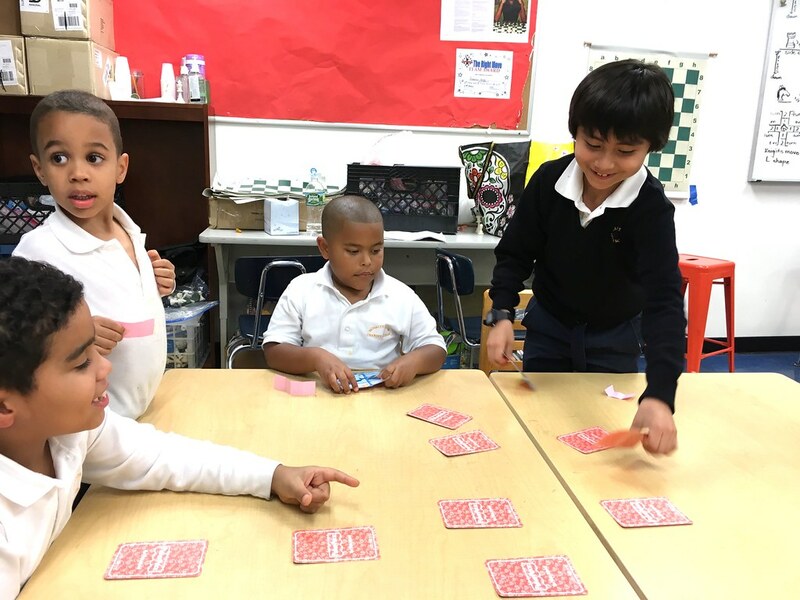 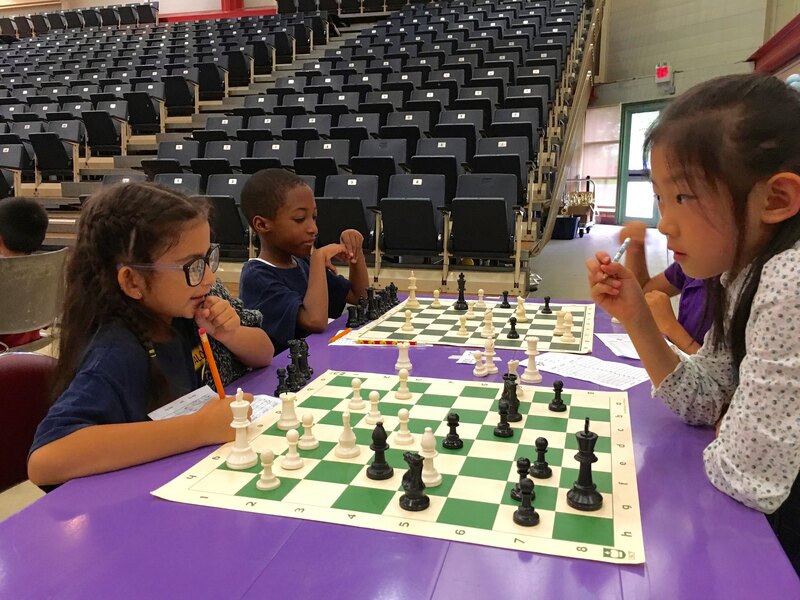 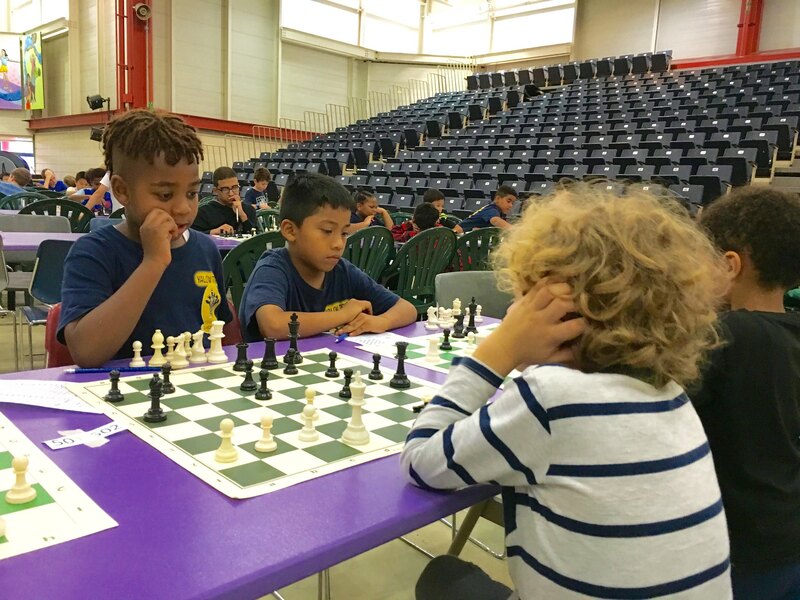 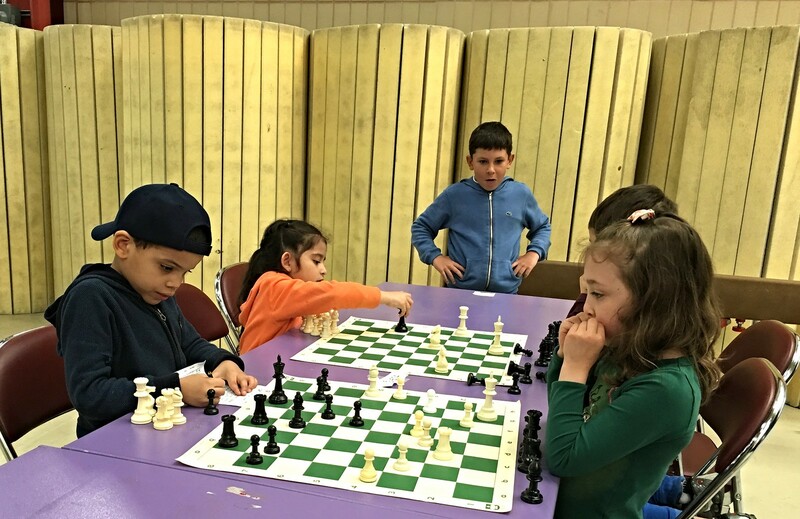 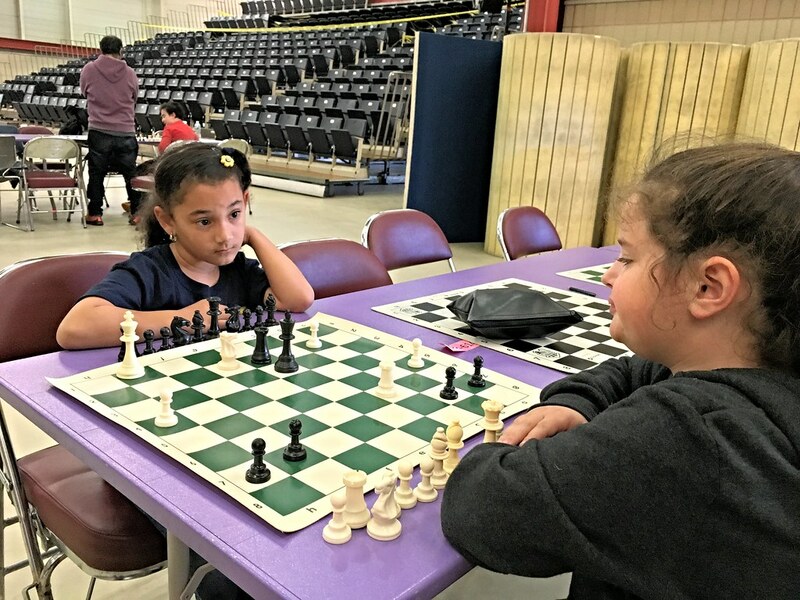 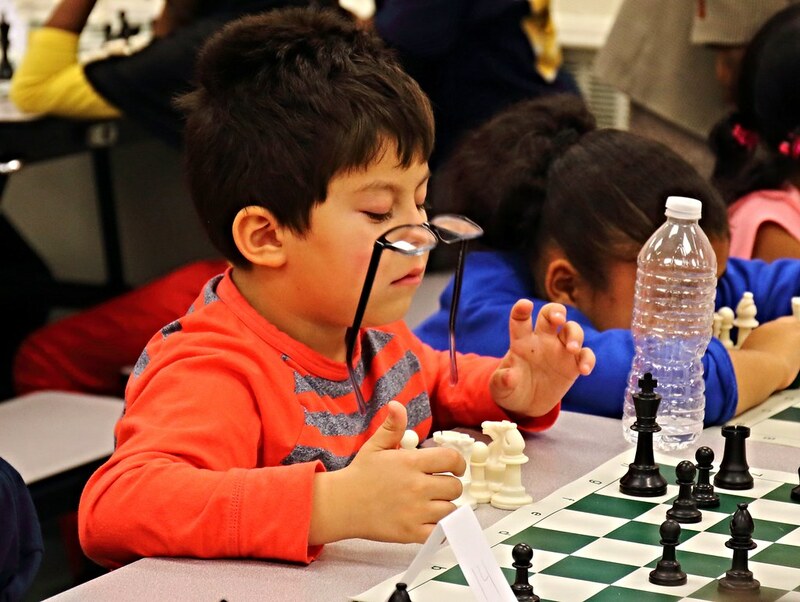 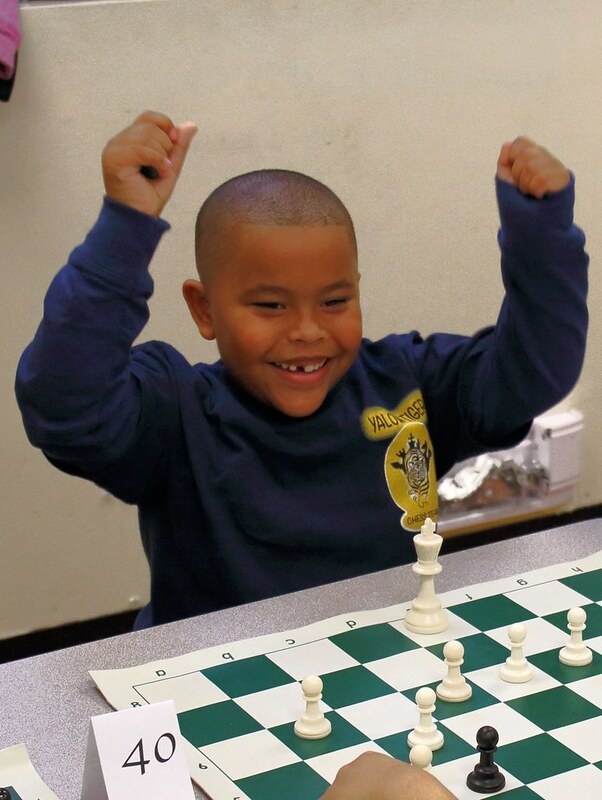 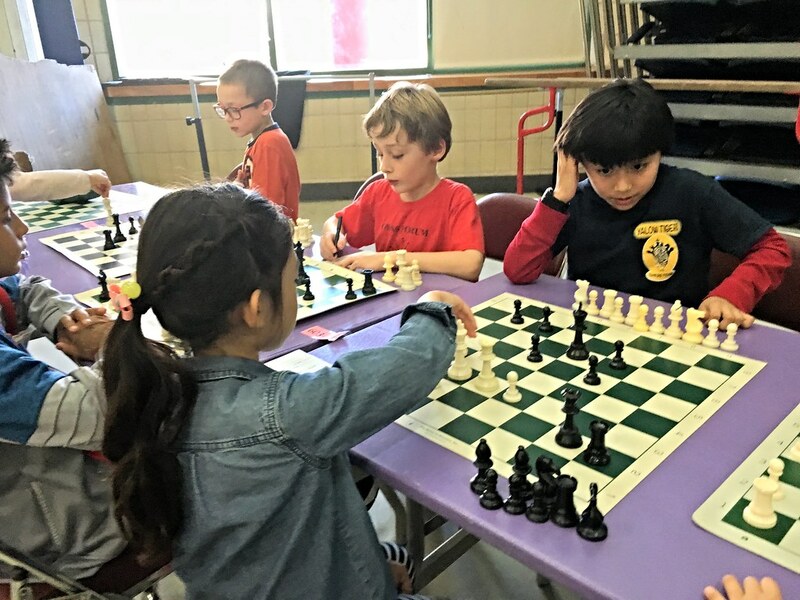 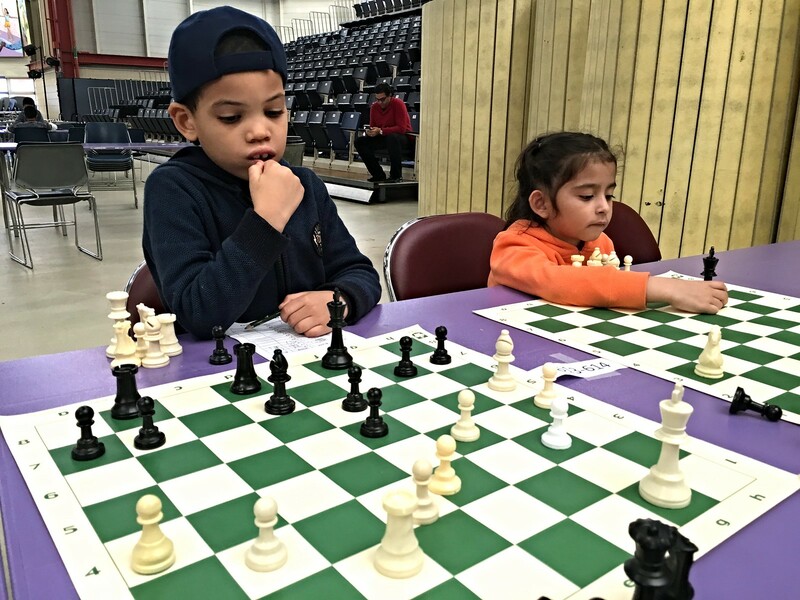 Jeremy Sosa, a 1st-grader, competed against rated players after taking 3rd place overall unrated last month, playing today against 3 high school students and one 7th grader, winning one game out of four. 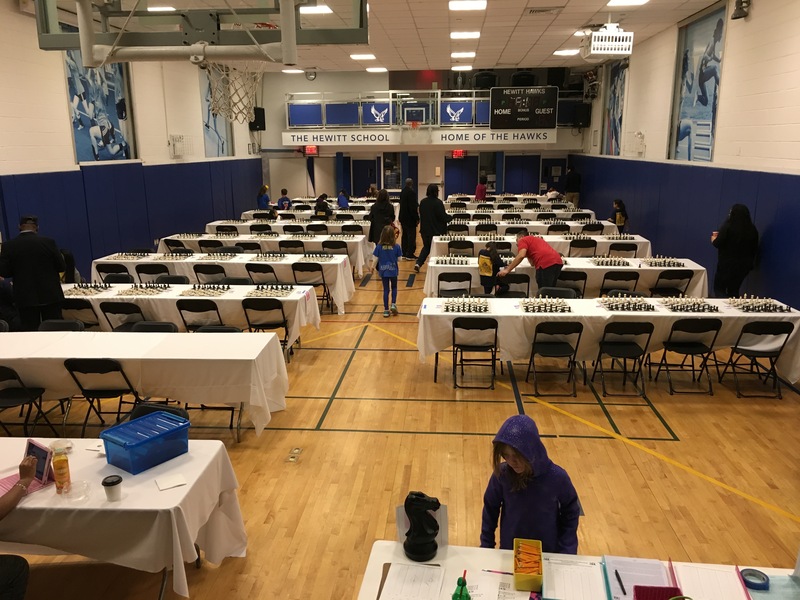 The Tigers will begin preparing to compete in the NYC Chess Championships the first weekend of February. 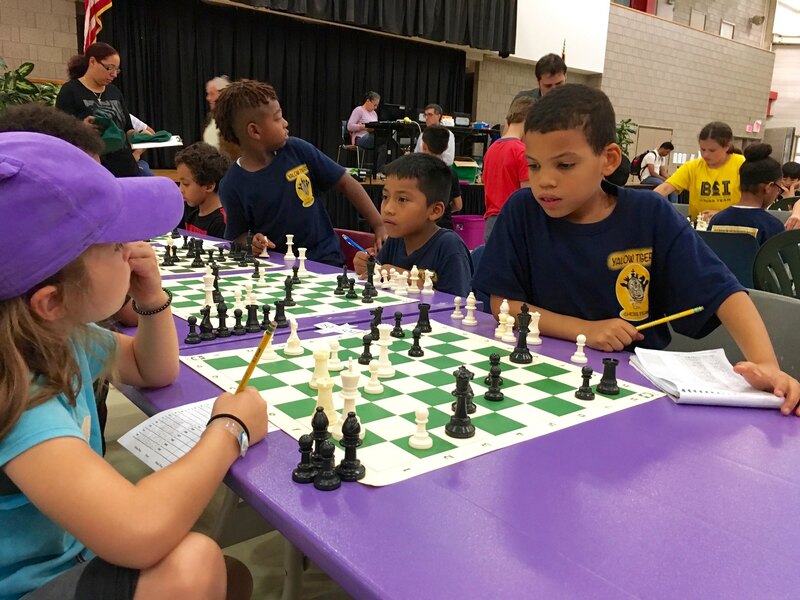 The level of difficulty increases until they reach the nationals in 2 years. 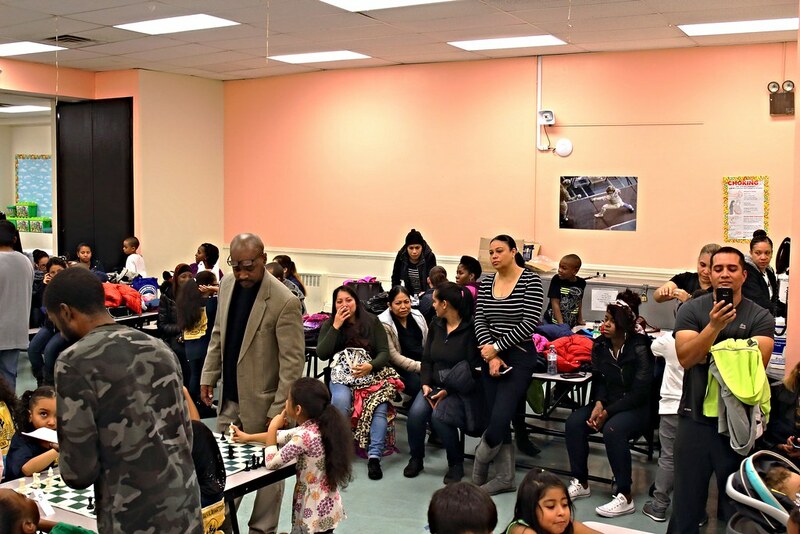 A few kids have left before the trophy ceremony. 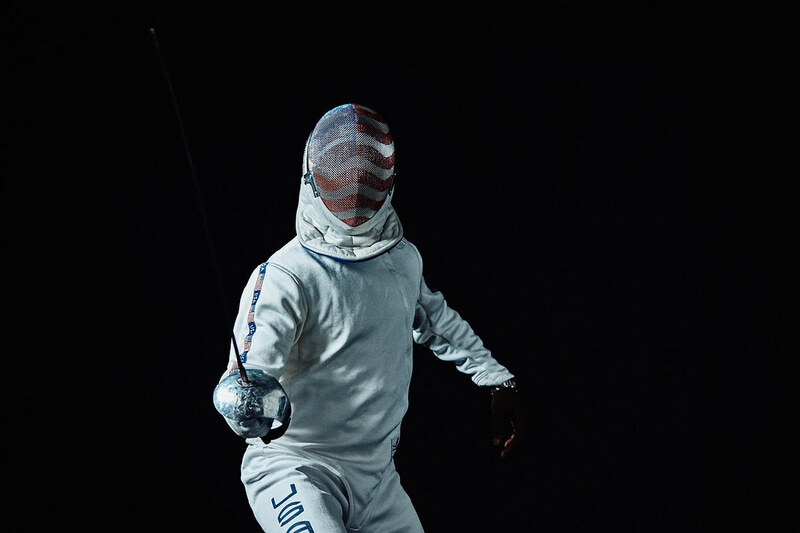 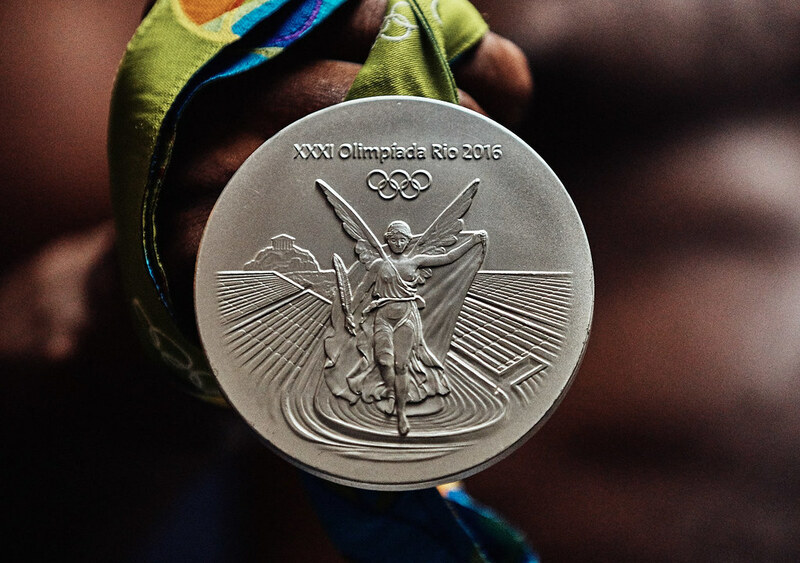 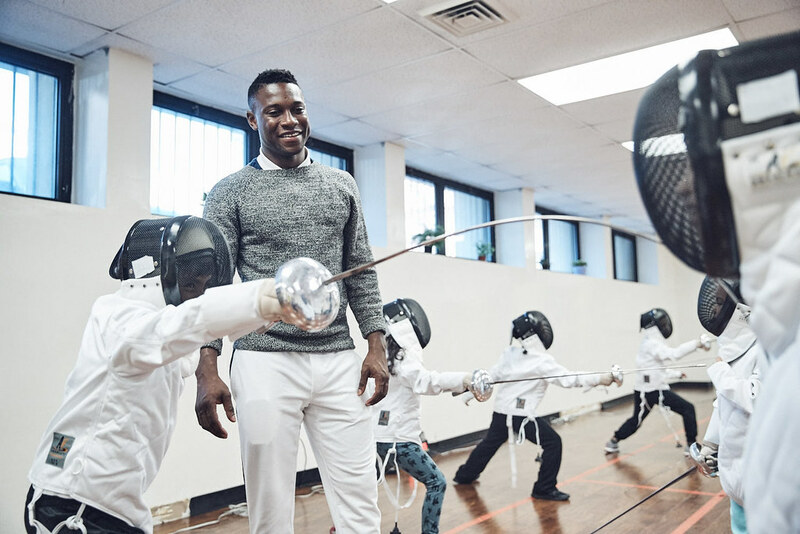 Daryl Homer, a Bronx son from 213th St. and Holland Avenue, took up fencing at age 6 and won a fencing scholarship to St. John’s University, where he starred in NCAA fencing championships, eventually capturing a silver medal for the U.S. at the 2016 Brazil Olympics. 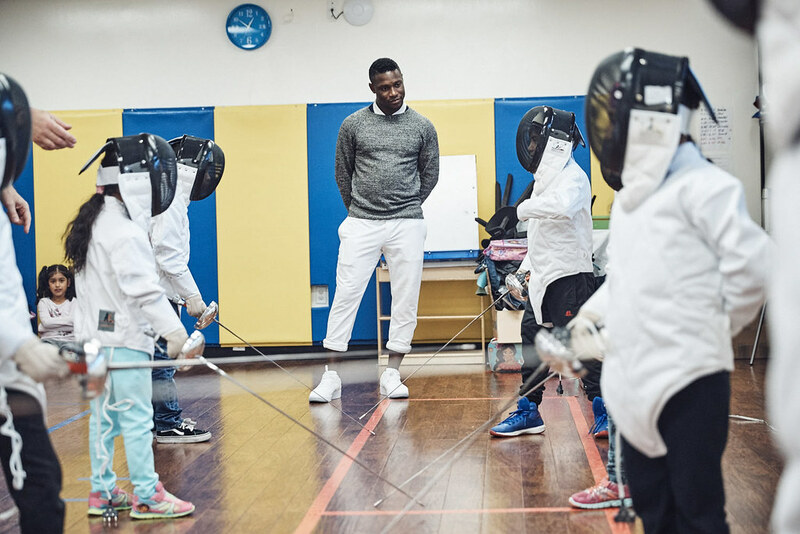 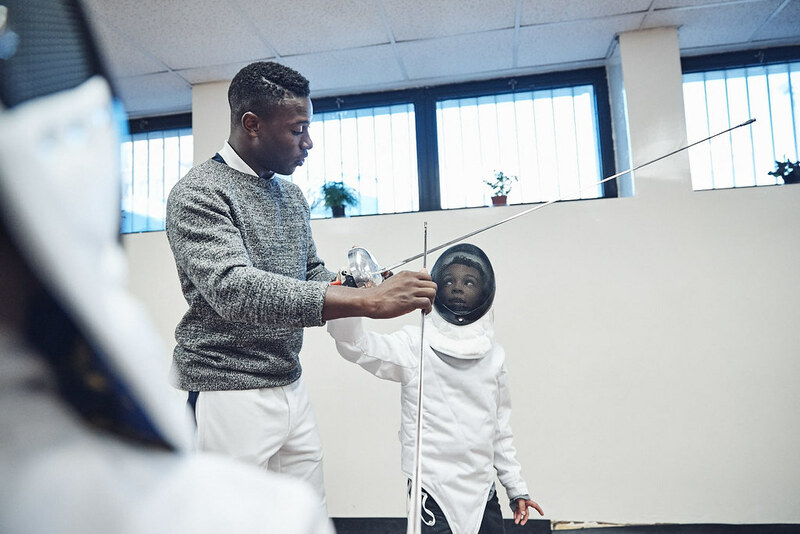 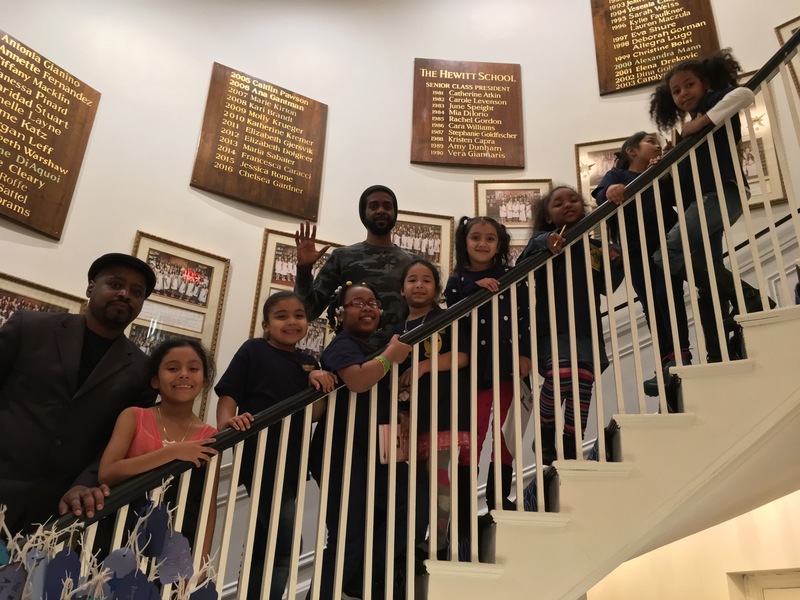 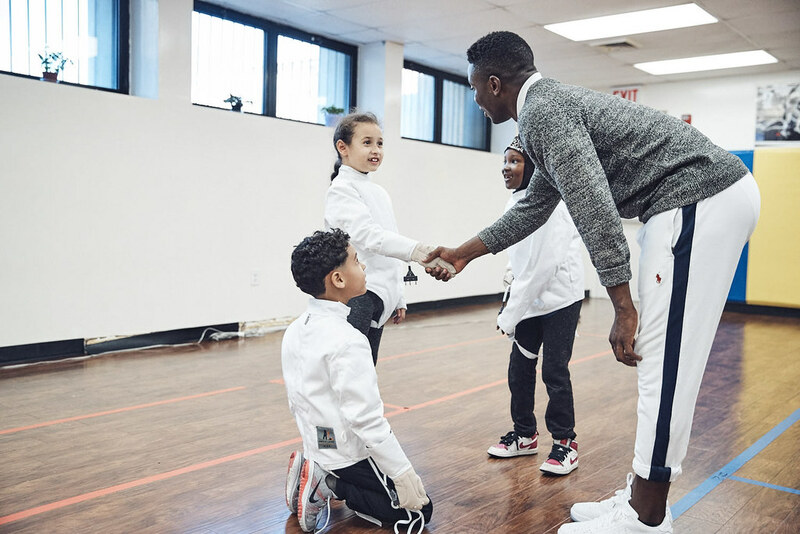 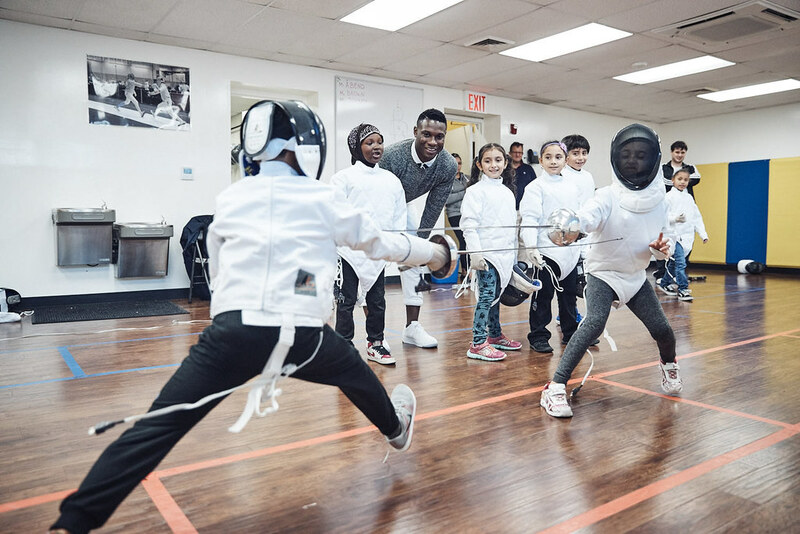 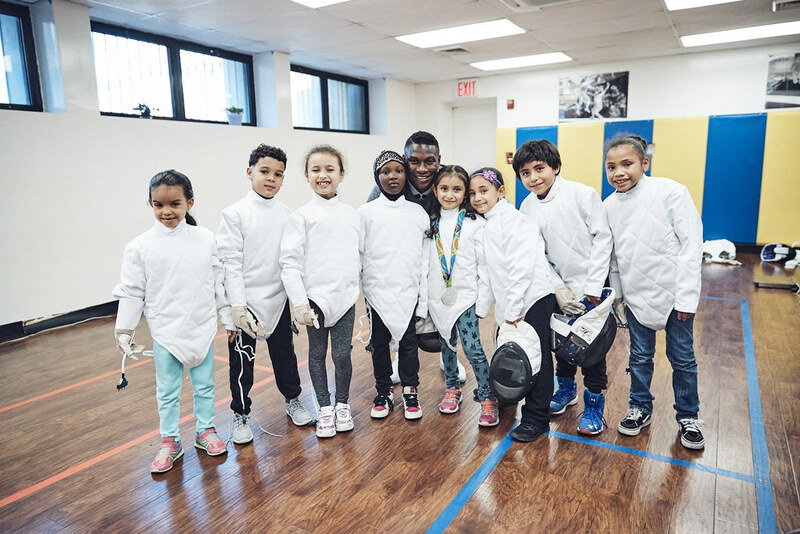 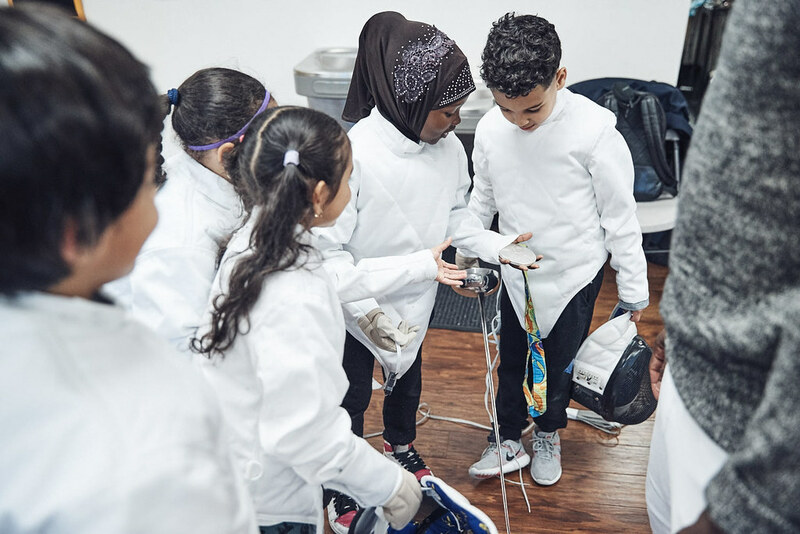 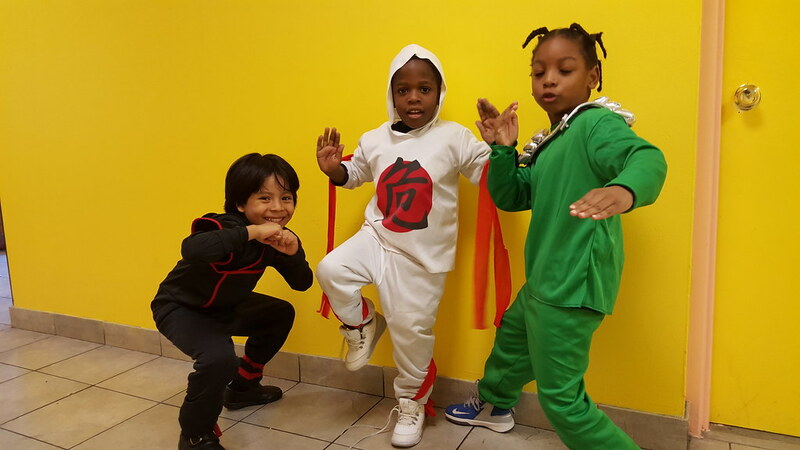 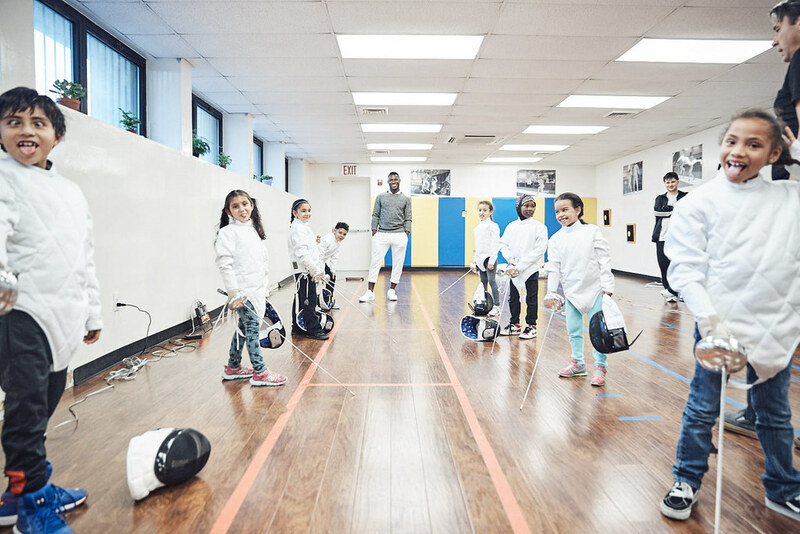 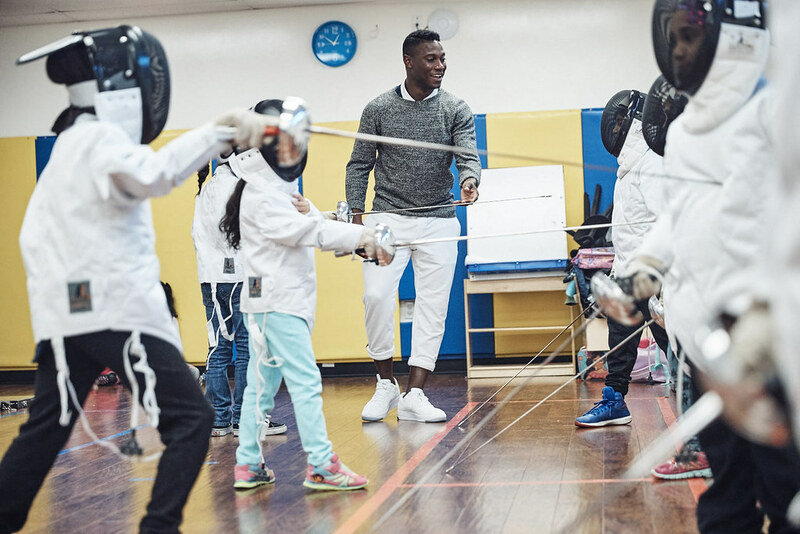 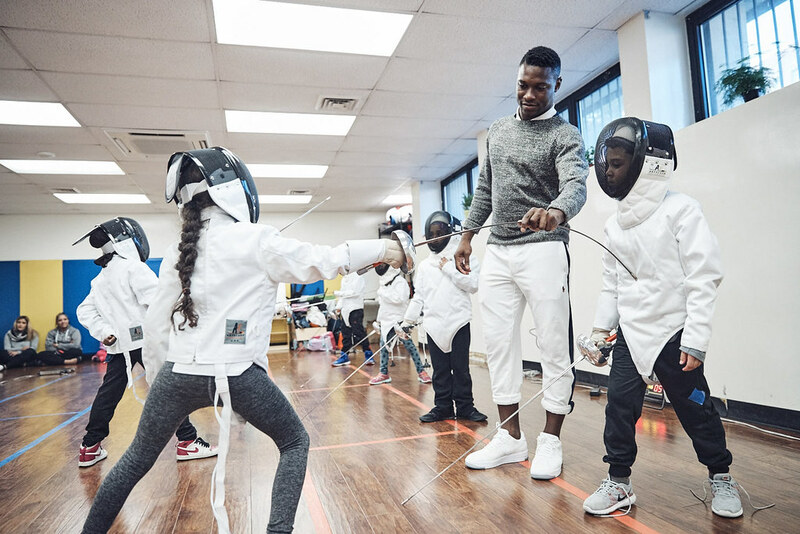 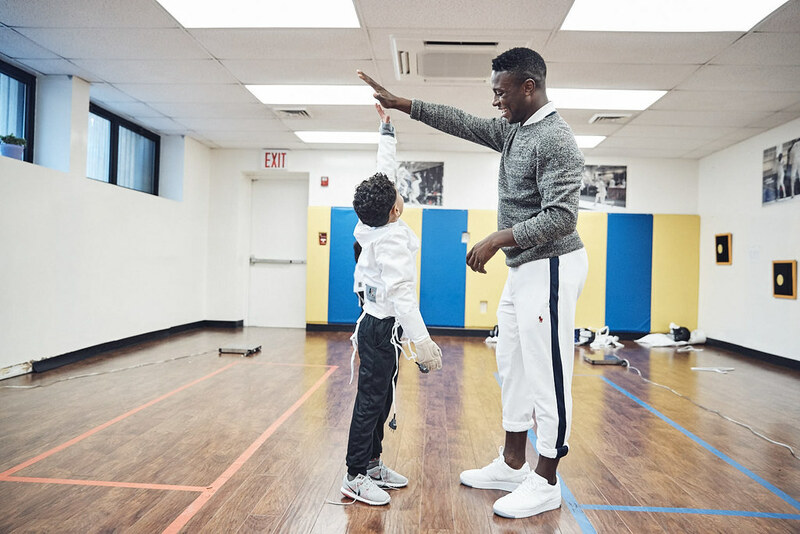 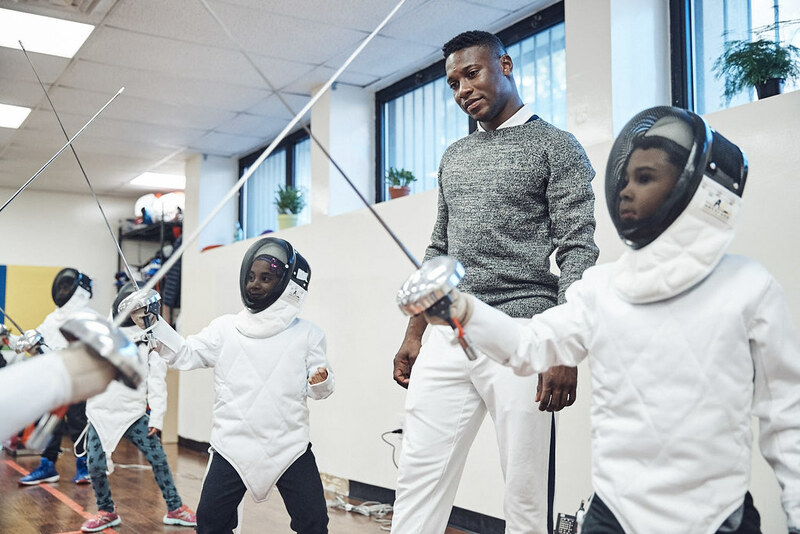 Daryl shows Yalow’s 6- and 7-year olds that they, too, can be scholar-athletes, using the intellectually demanding sport of fencing to reach college and adult success. 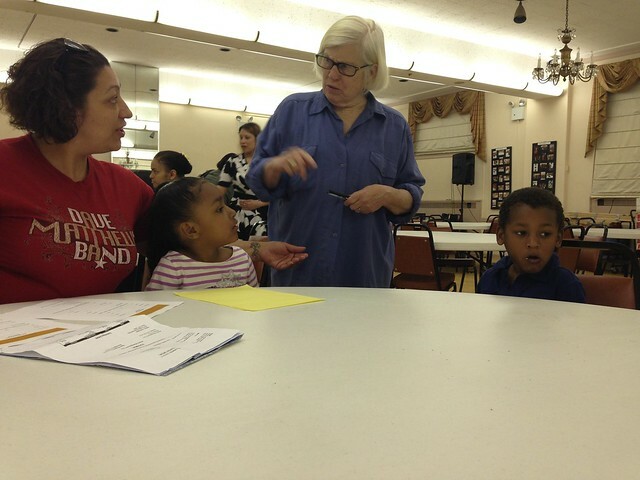 Photos courtesy of Steven Counts. 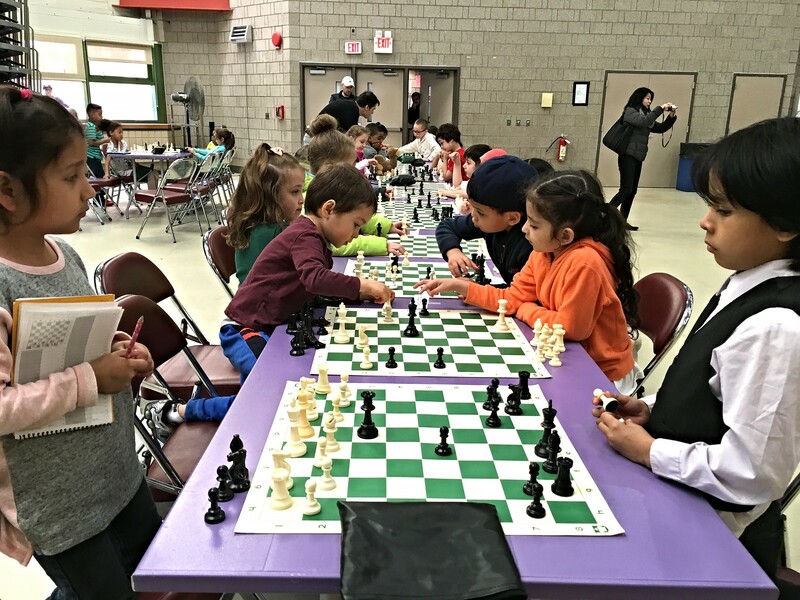 On Saturday, November 19, 2016, 49 students participated in Yalow’s first school-wide chess tournament—10 kindergarteners and 39 1st- and 2nd-graders—20% of our student body. 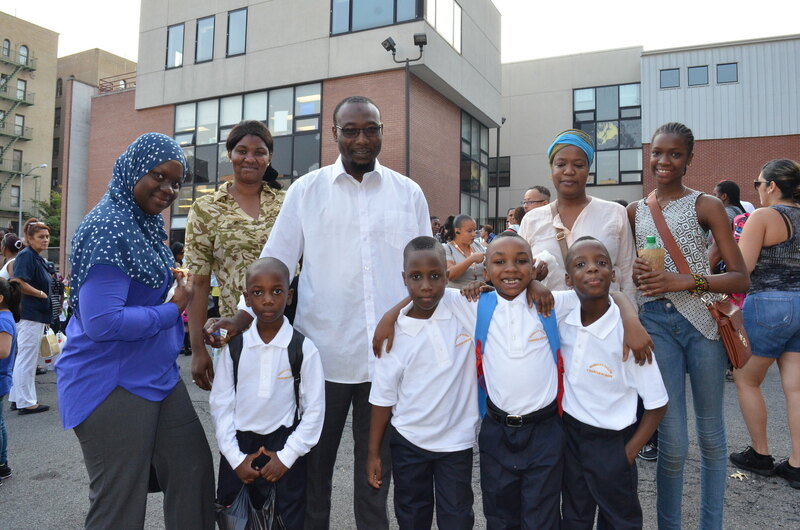 After 4 rounds of intense excitement for both students and parents, we had our finalists. 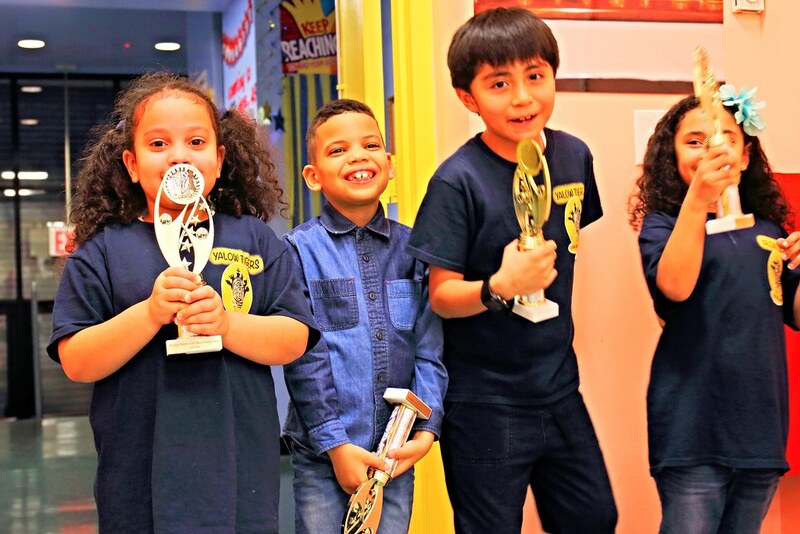 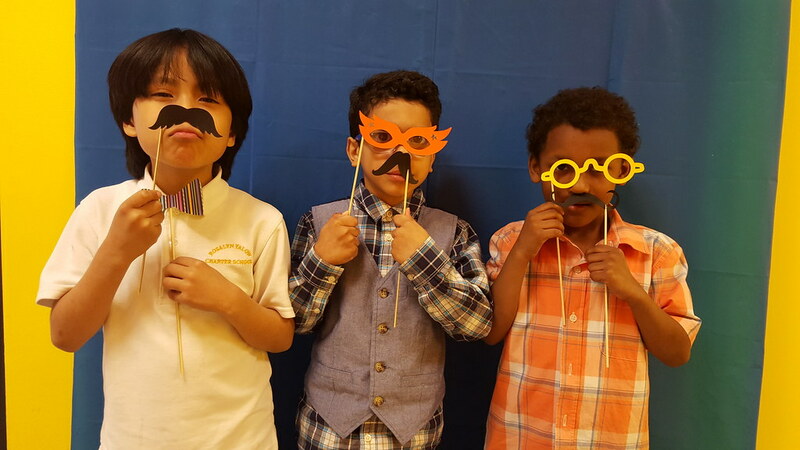 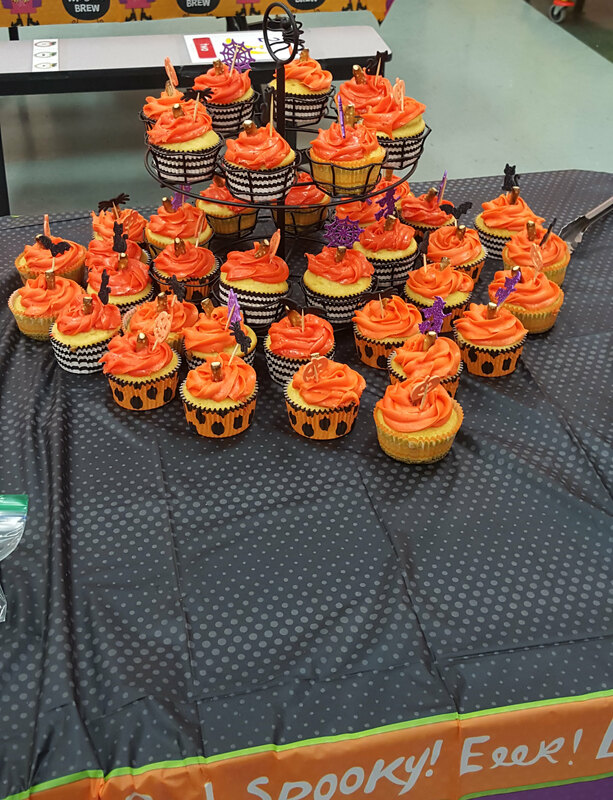 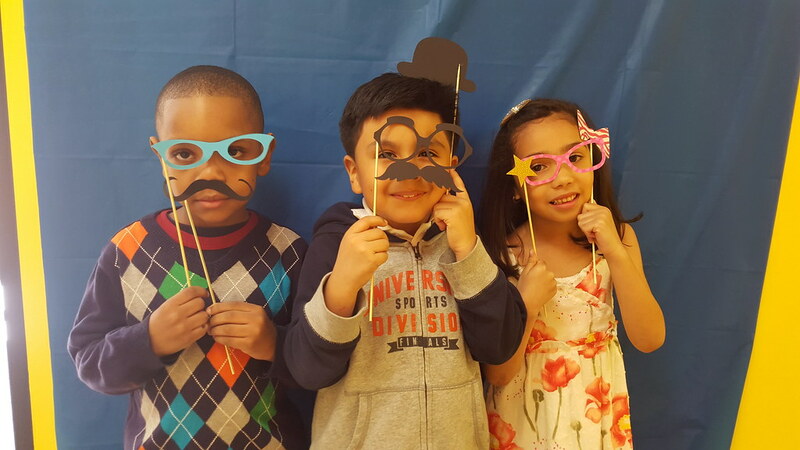 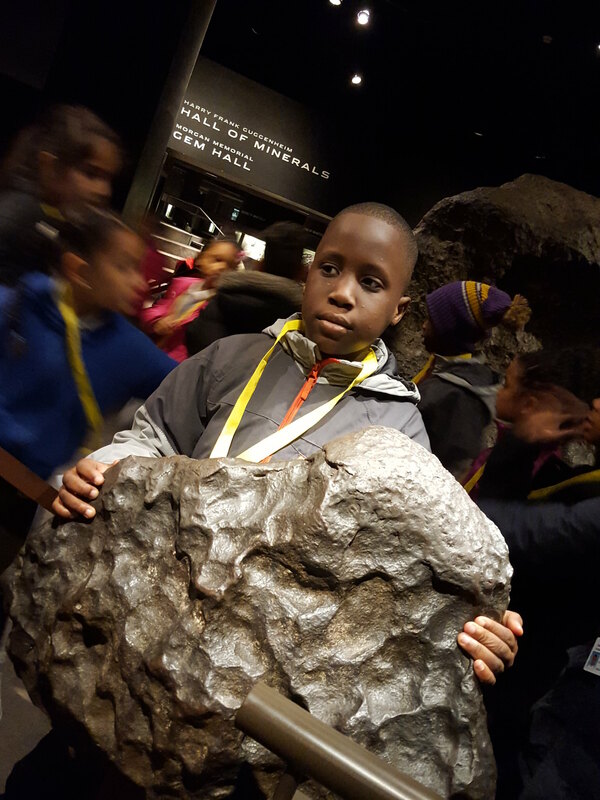 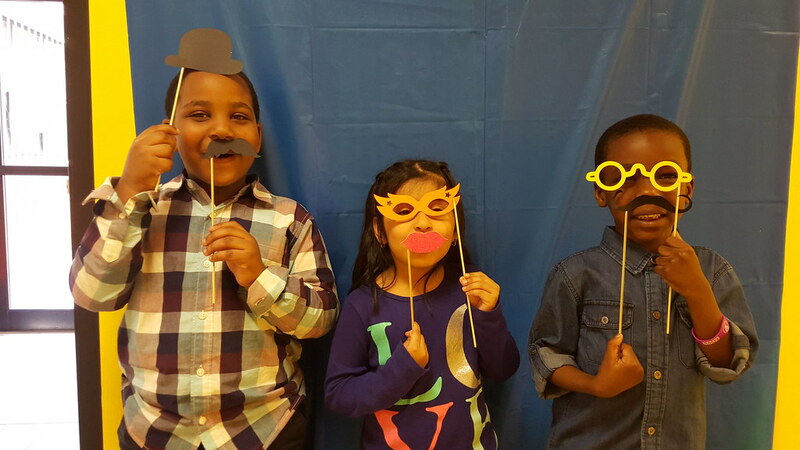 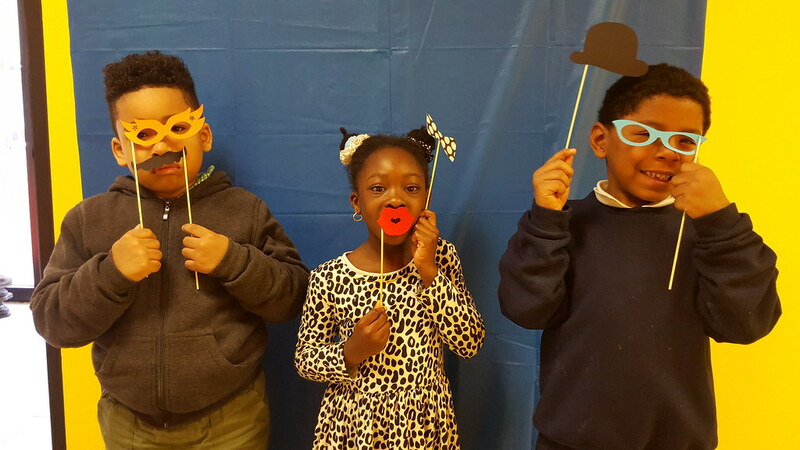 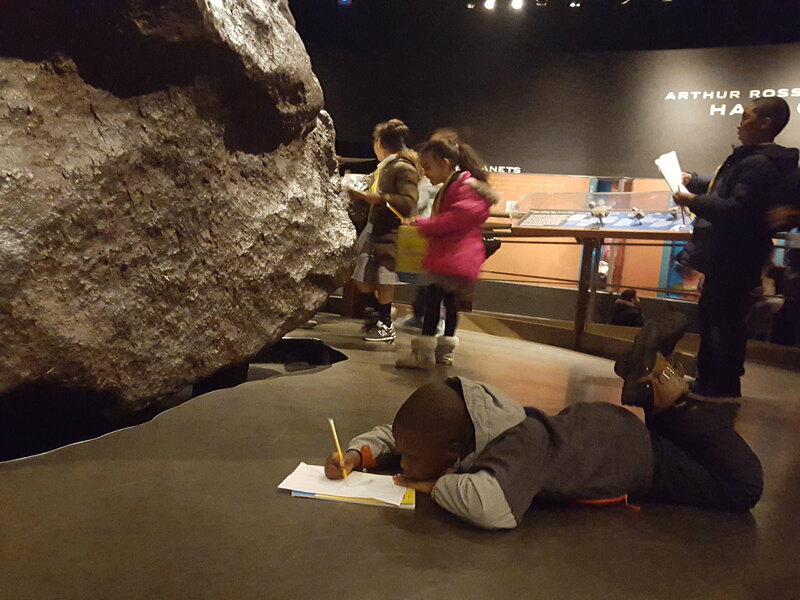 Overall: 1st-place, Jeremy Sosa (1st-grader), 2nd-place, Ixoye Moguel (2nd-grader) and Vitalis Francisco (1st-grader). 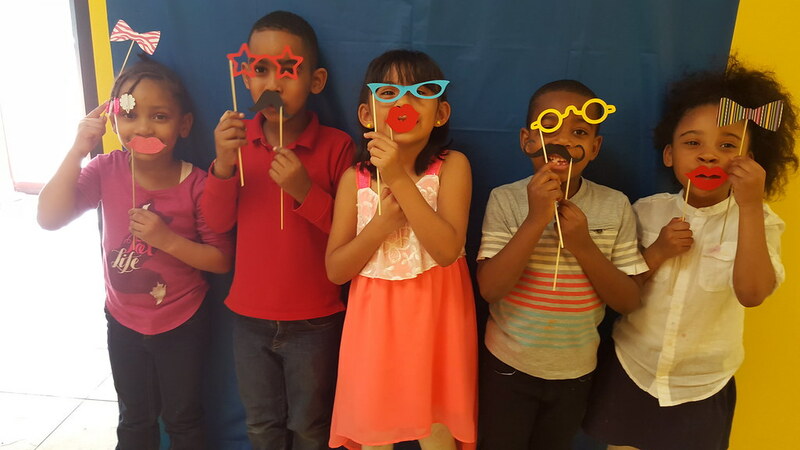 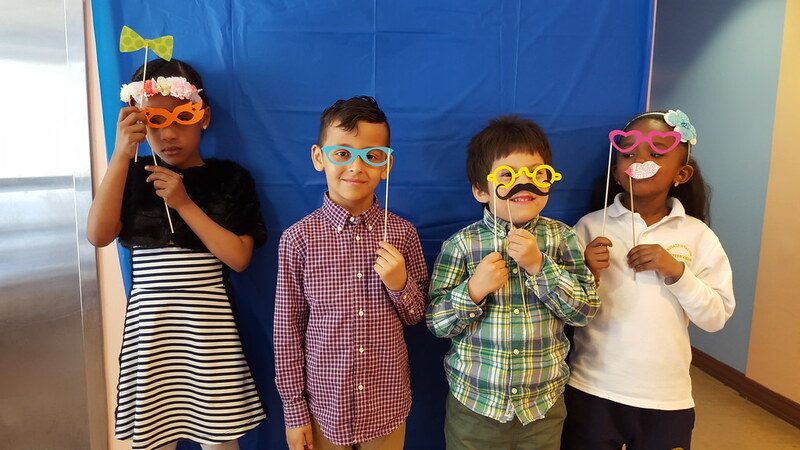 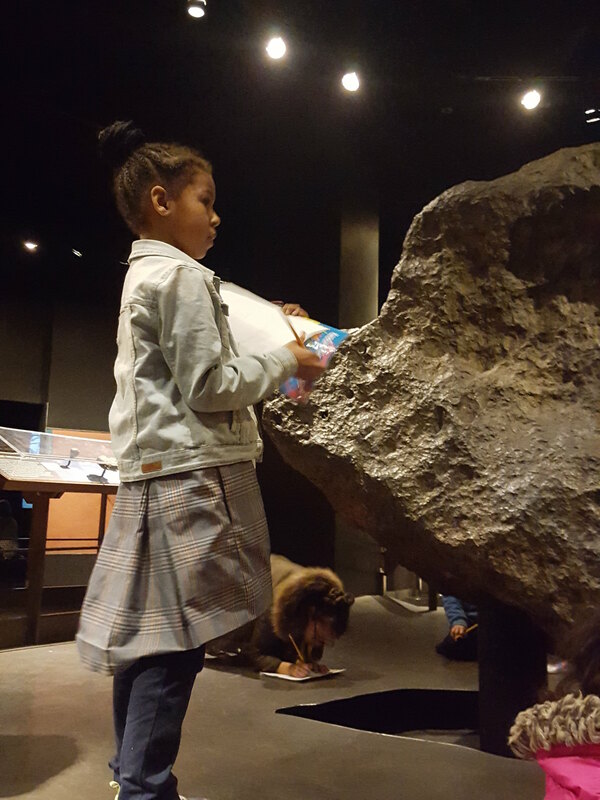 We had ties for Top Performing 1st-grader, Jaedin Gill and Danya Arista, and Top Performing 2nd-grader, Jade-Lynn Martinez and Jourdan Thomas. 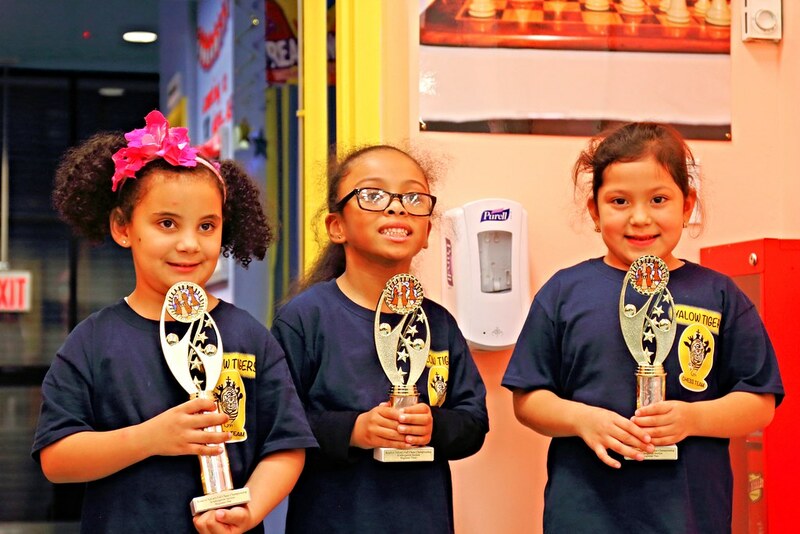 For Kindergarten: 1st-place, Amber Martinez, 2nd-place, Jocelyn Arista, and 3rd-place, Jeralynn Crespo. 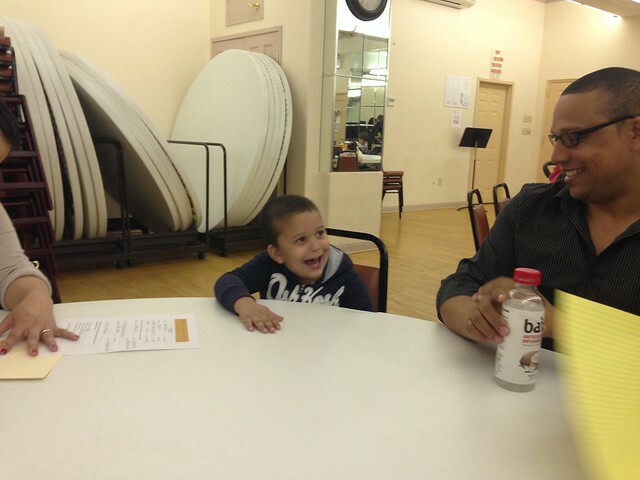 Photos courtesy of Anthony Thai. 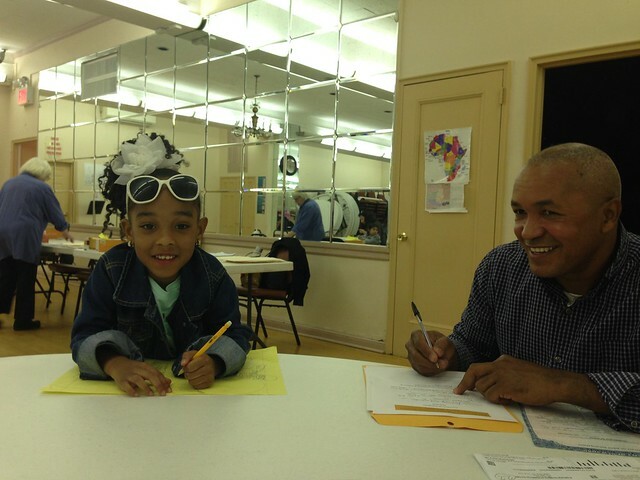 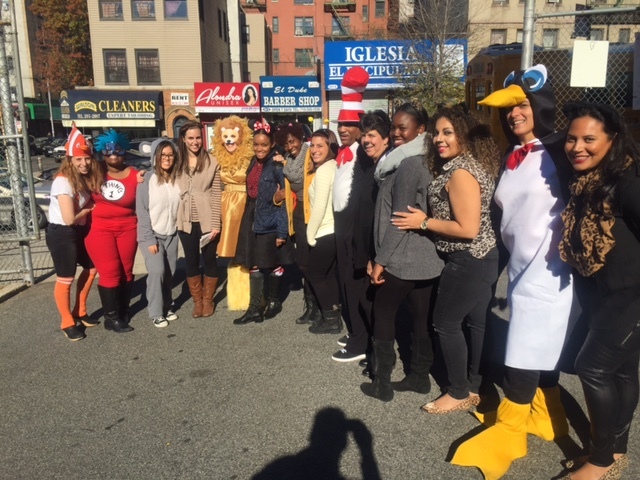 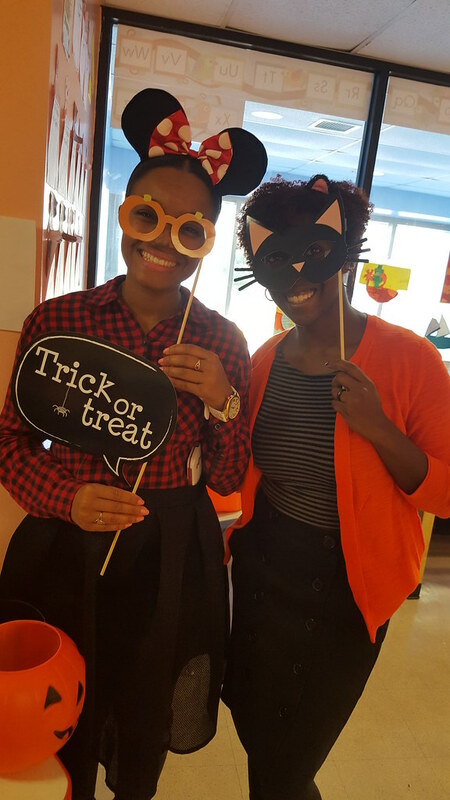 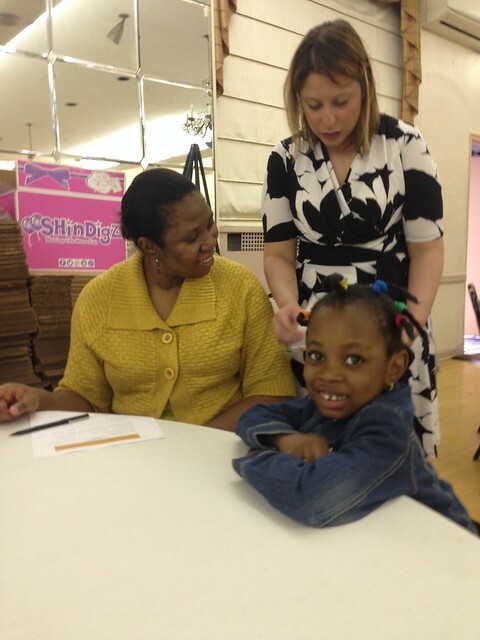 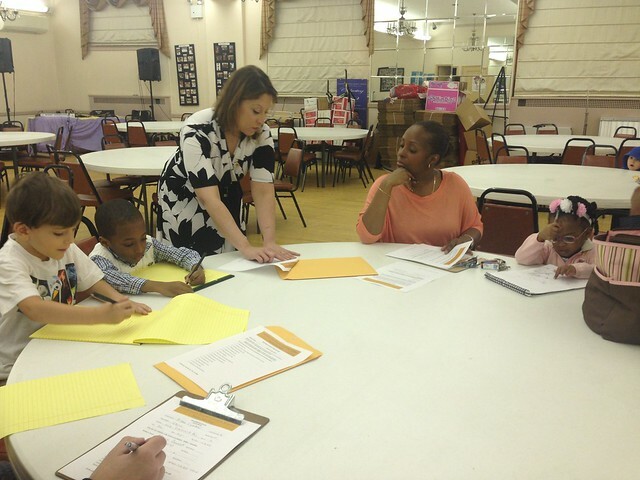 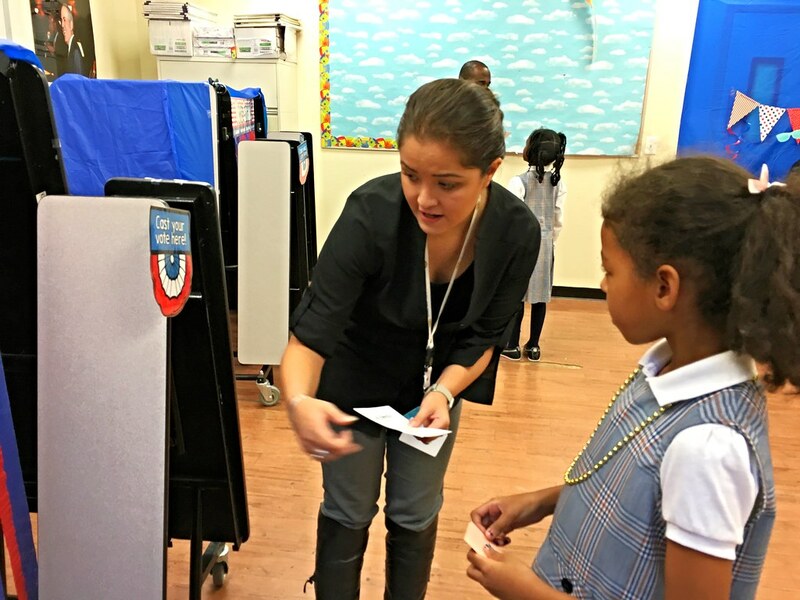 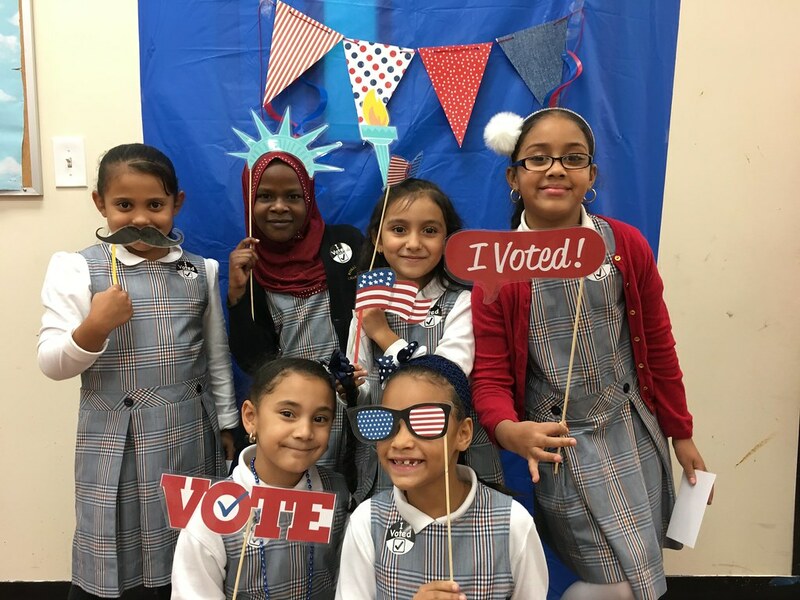 Teachers gave Yalow students a lesson in the meaning of get out the vote! 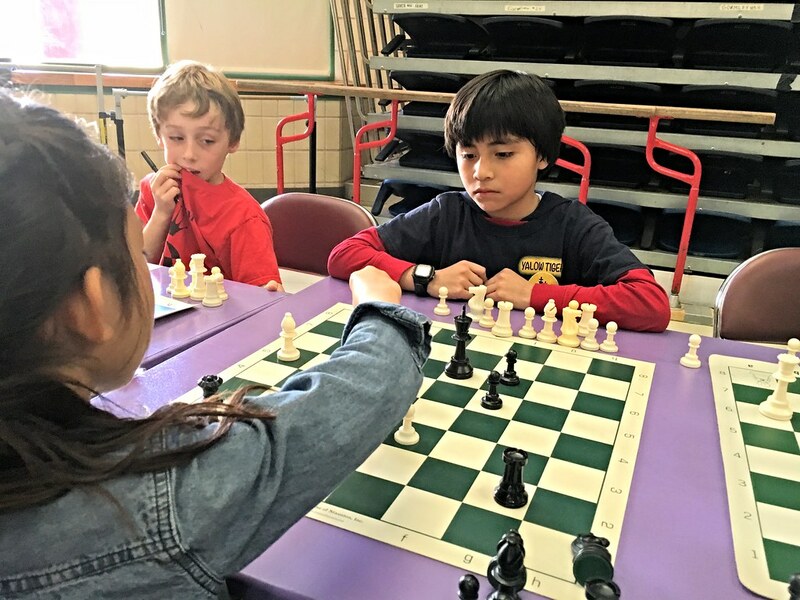 Yalow Tigers took 2nd place at The Right Move chess tournament on Sunday, November 6, beating teams from private schools, public schools, and one gifted and talented program school. 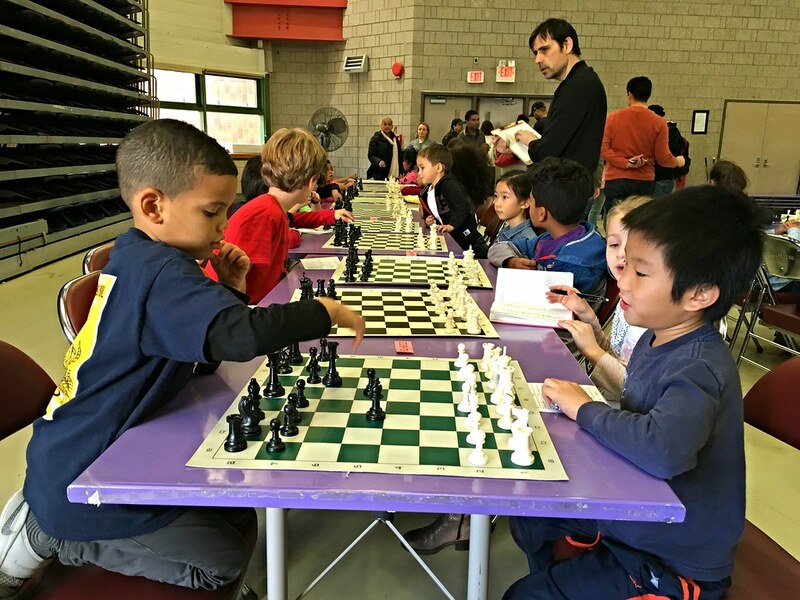 The 4-round tournament was held in the beautiful Riverbank State Park, at 145th St. and Riverside Drive. 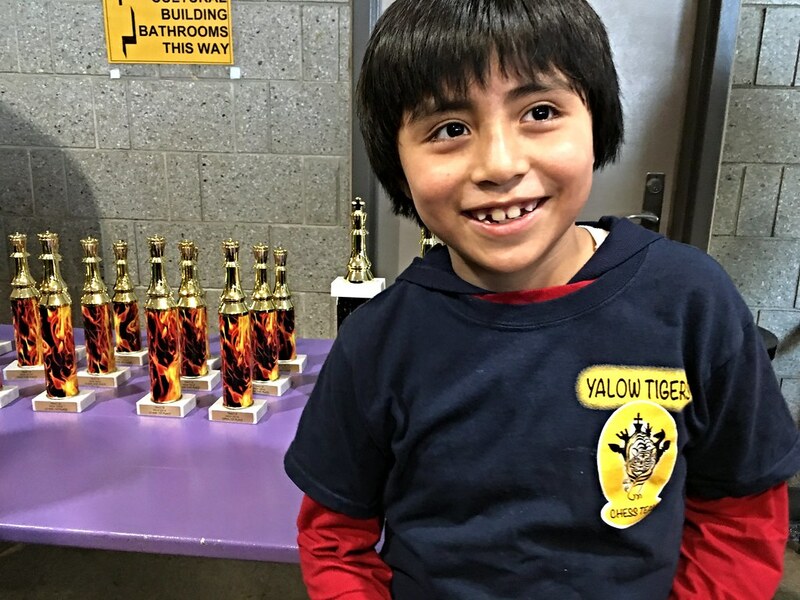 11 Tigers fought for Yalow: Danya Arista, Zahir Blackwood, Karely Cardosa, Peyton Dugger, Tianne Kirkland, Jade-Lynn Martinez, Ixoye Moguel, Jancarlo Polanco, Jair Roldan, Jeremy Sosa, and Valerie Vidal. 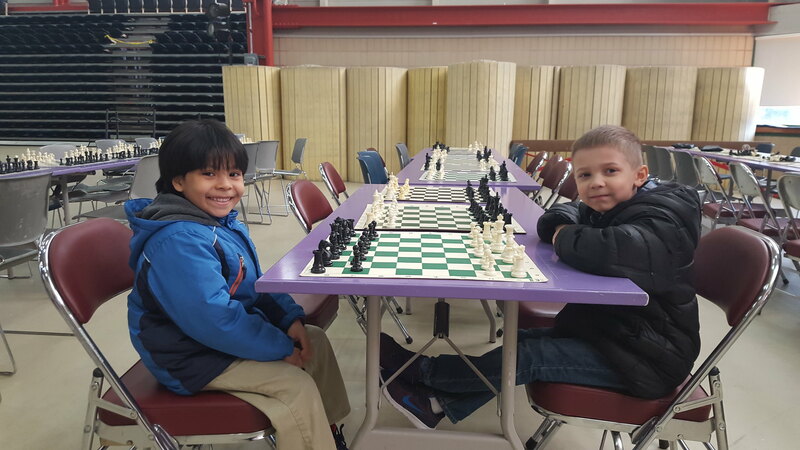 Jeremy Sosa took 3rd place overall, and Ixoye Moguel took 9th, despite forfeiting his first of four games. 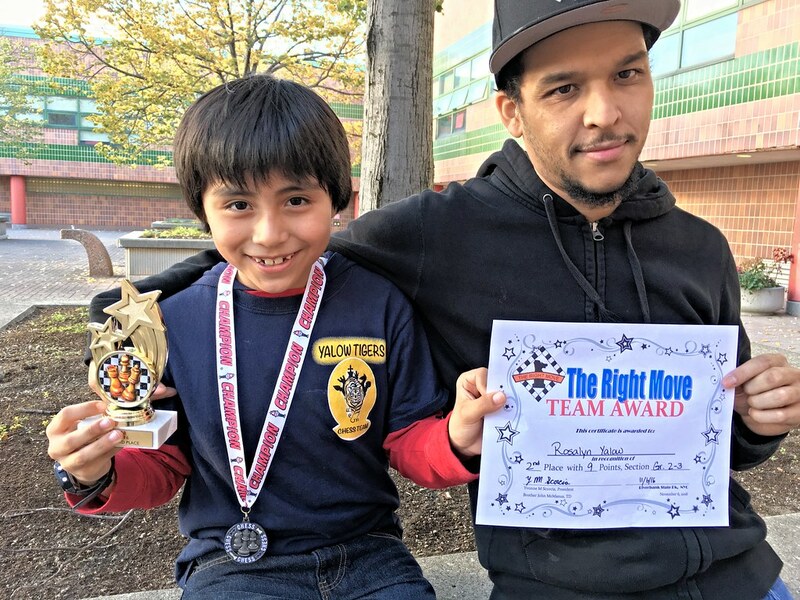 The next Right Move tournament takes place Sunday, December 6. 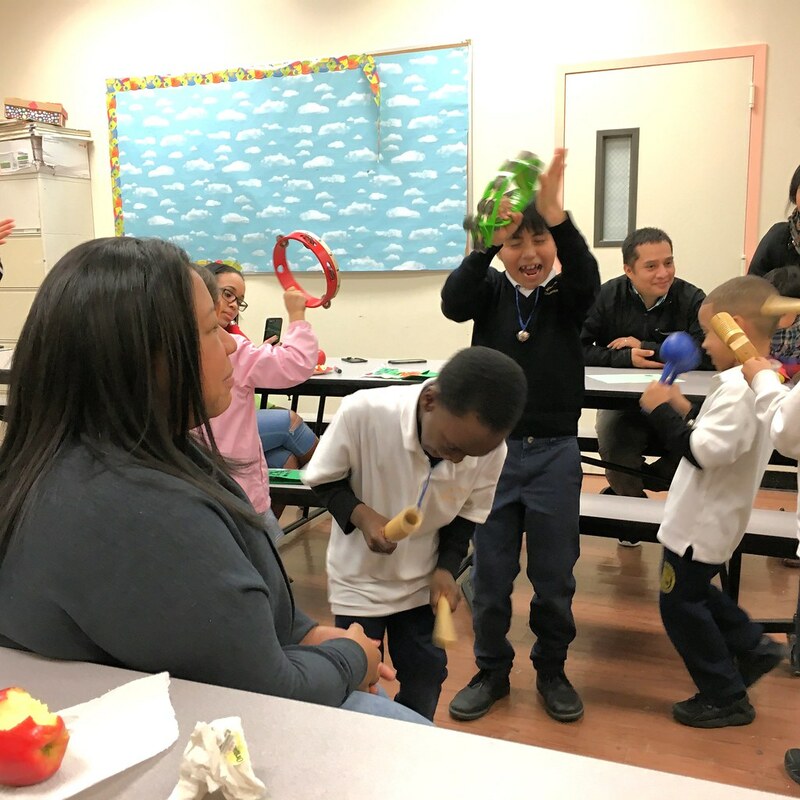 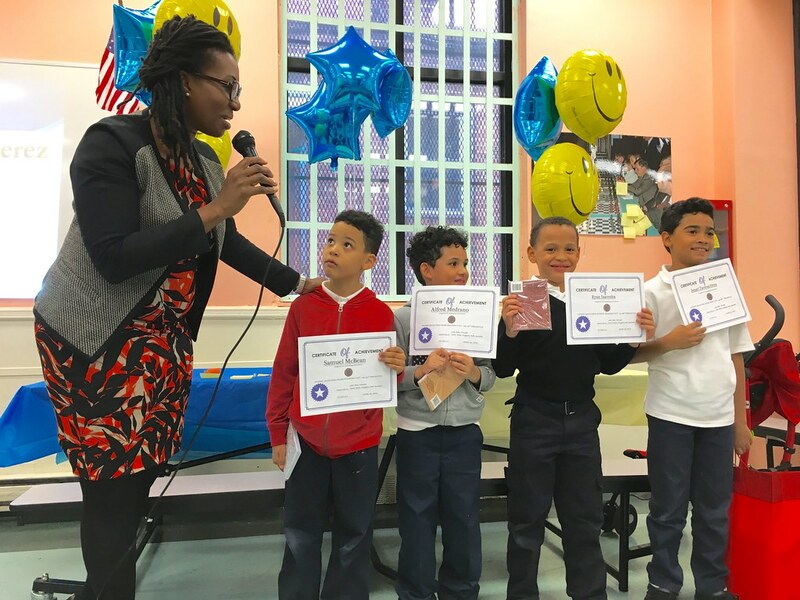 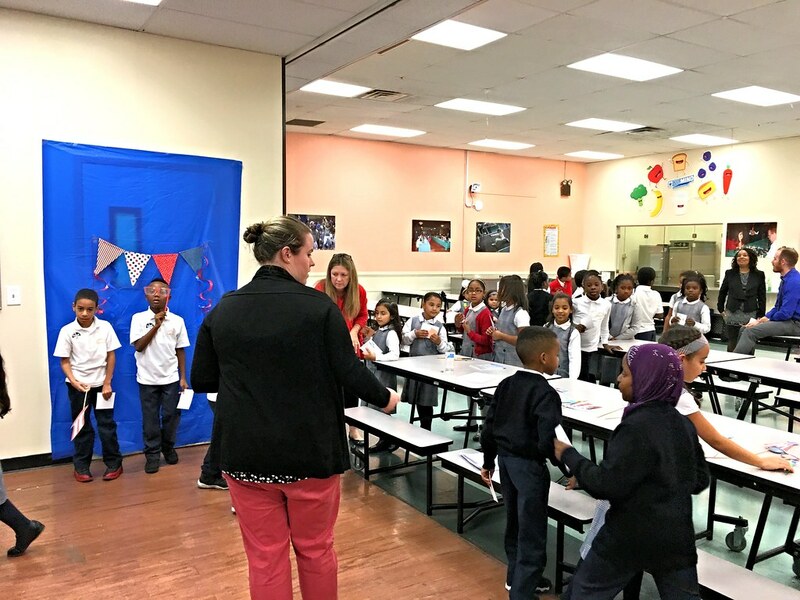 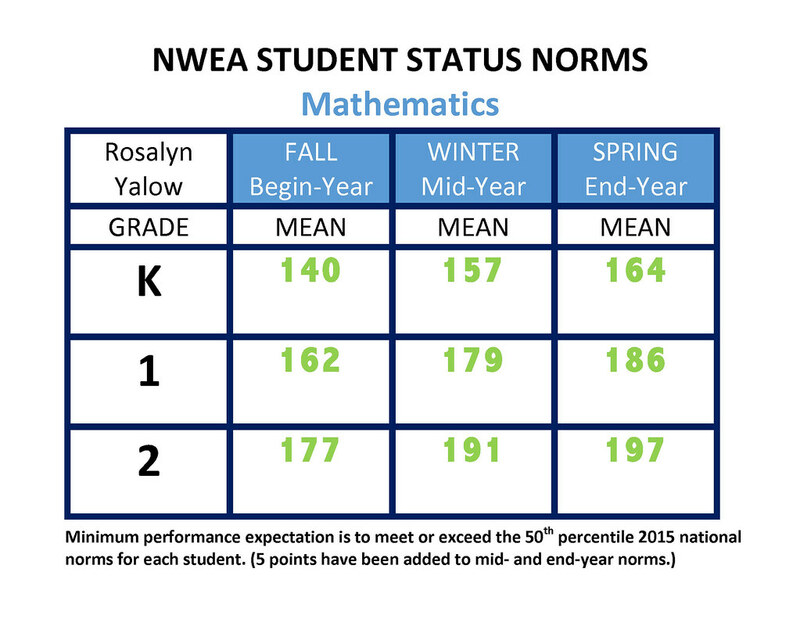 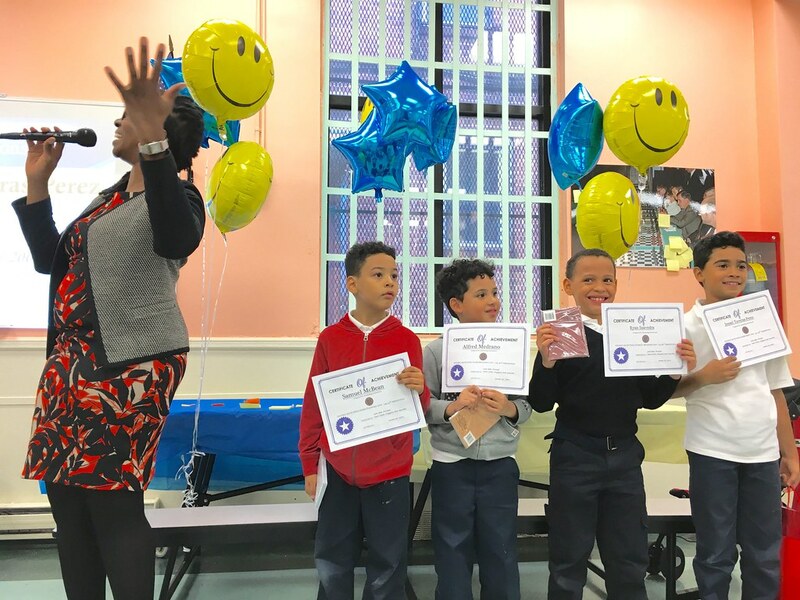 On October 20 our new principal, Letta Belle, led the school in our first celebration of academic achievement in mathematics for our highest-achieving kindergarten, 1st-, and 2nd-graders on the NWEA Assessment, which student take three times a year in order to measure their progress (see chart among pictures). 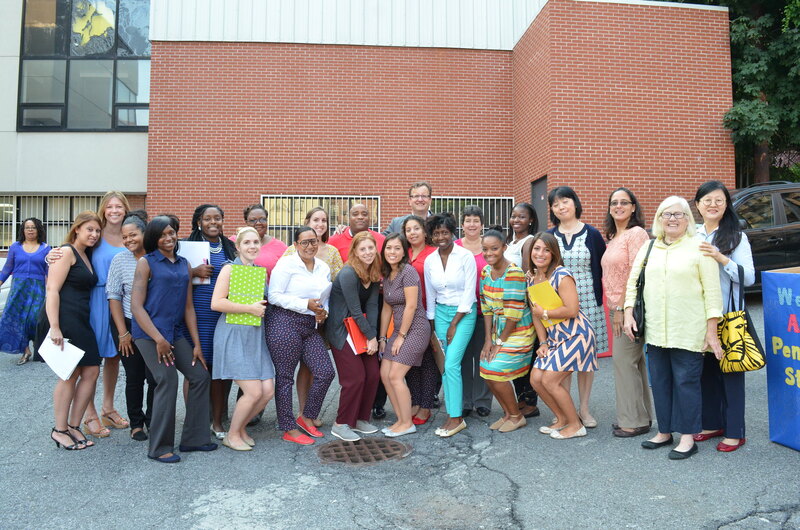 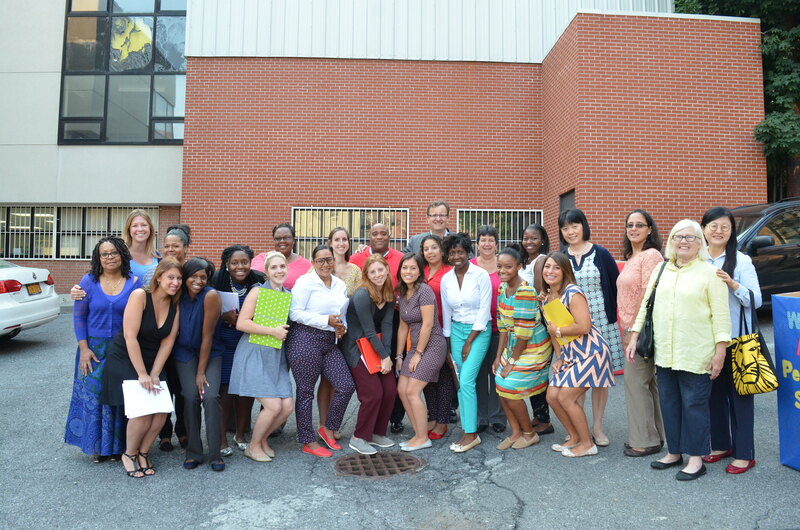 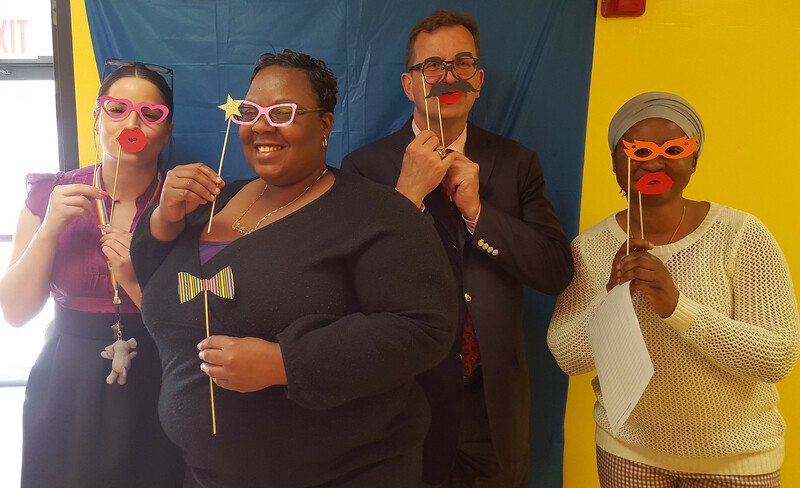 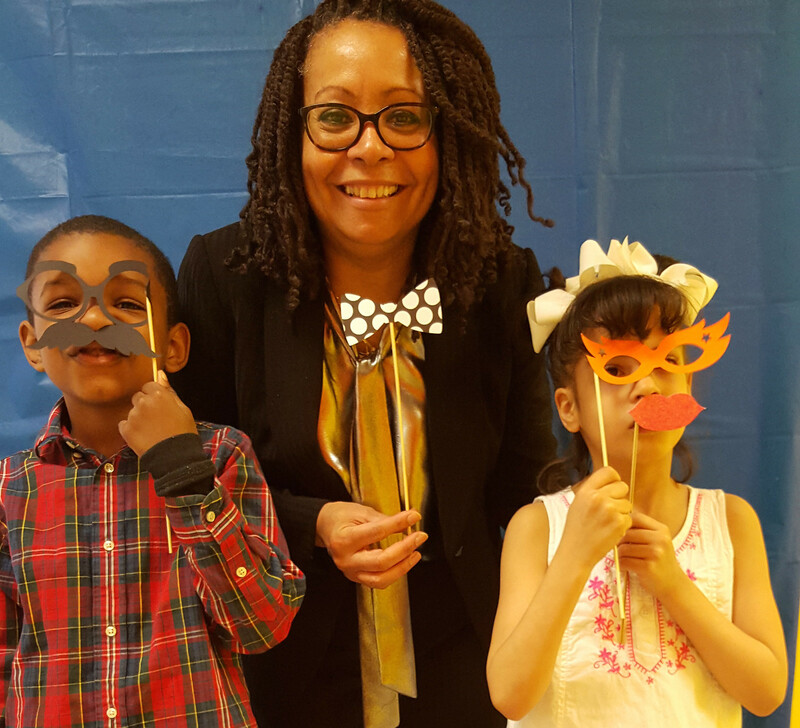 Principal Belle comes to Yalow from the National Heritage Academies, managing 81 charter schools across the country. 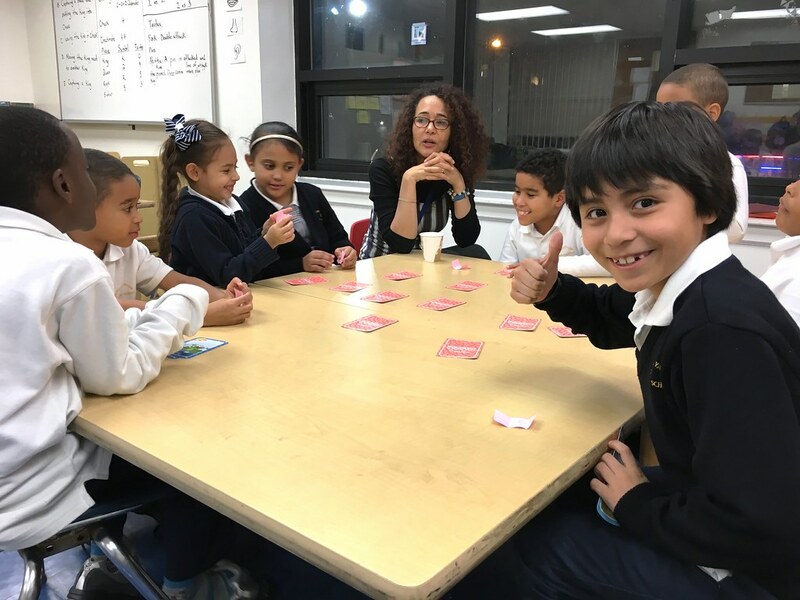 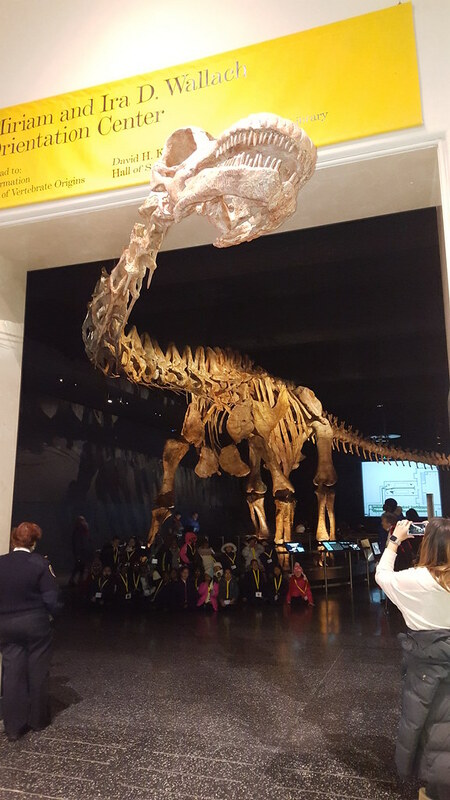 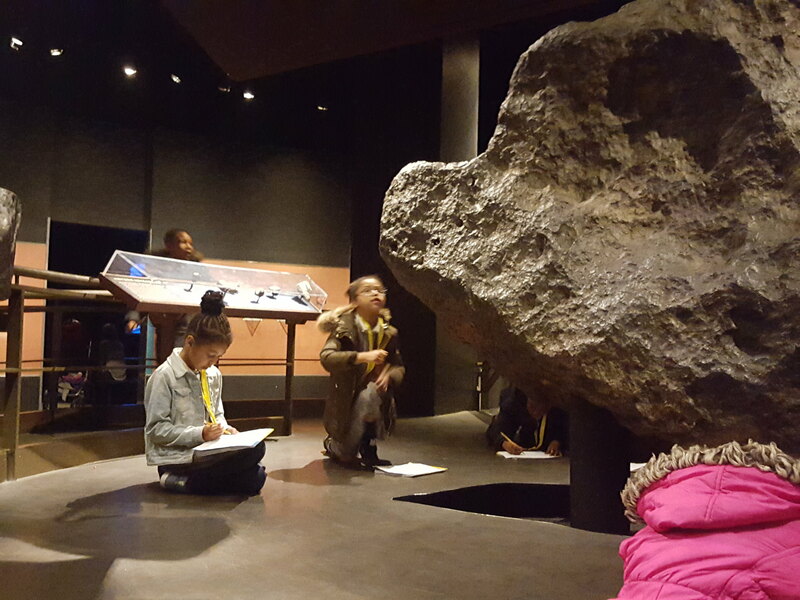 Ms. Belle has extensive experience as a teacher, principal, and coach of principals in the National Heritage network, and she is totally familiar with the Common Core. 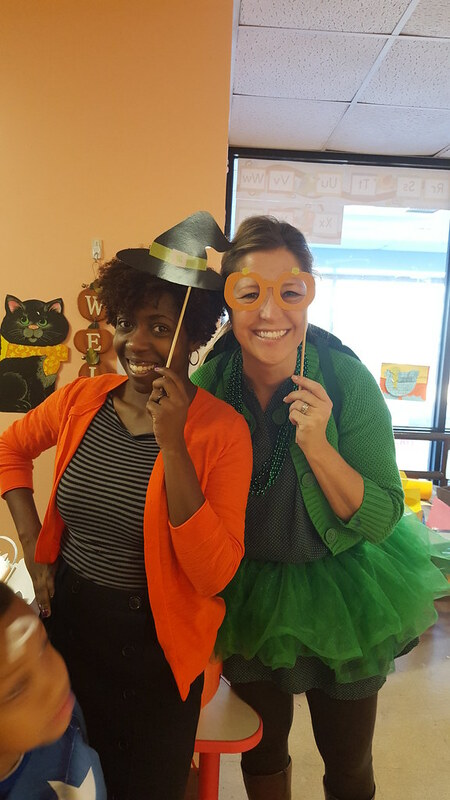 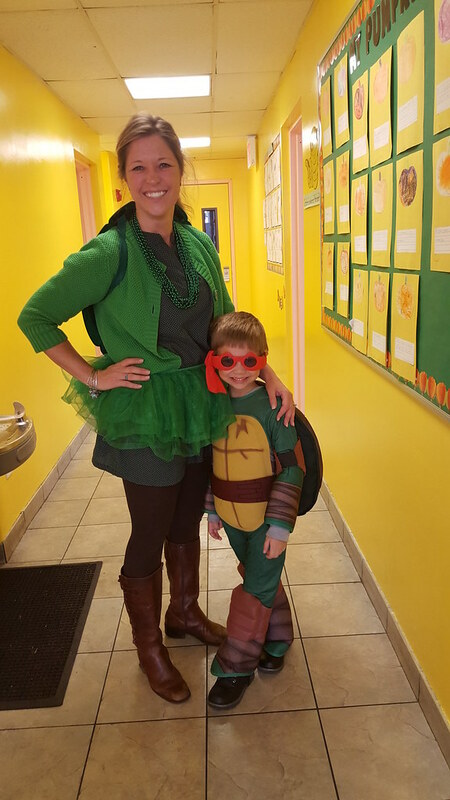 Her talents will help our students achieve at higher and higher levels. 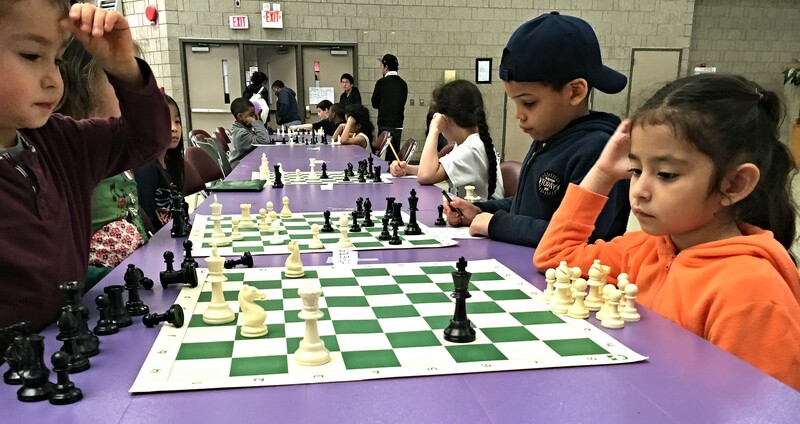 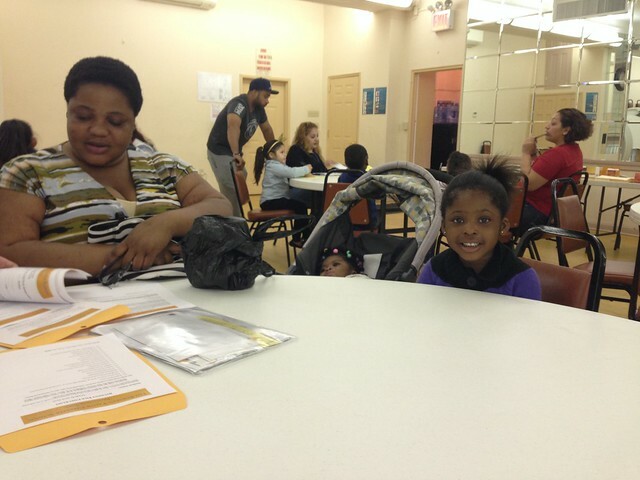 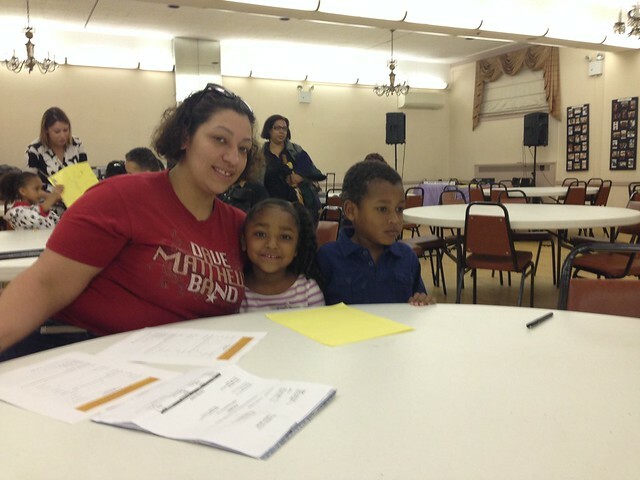 On Sunday, May 8, 2016, 7 hearty mothers celebrated Mother’s Day at Riverbank State Park watching the Yalow Tigers take 4th place in their second chess tournament. 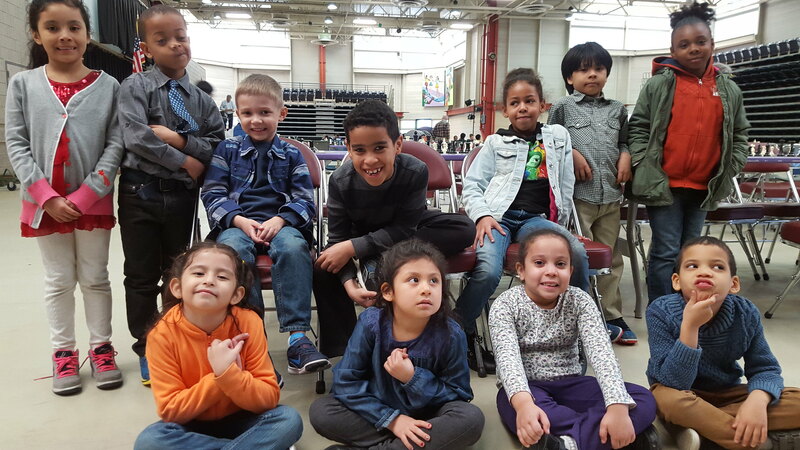 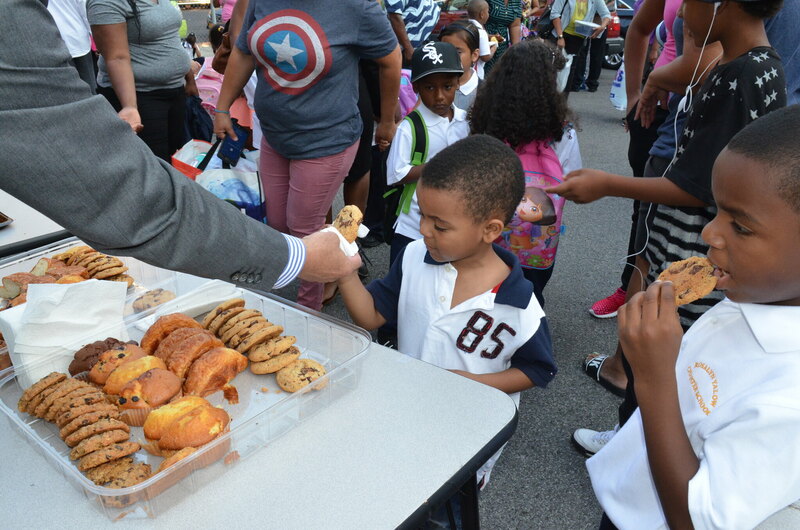 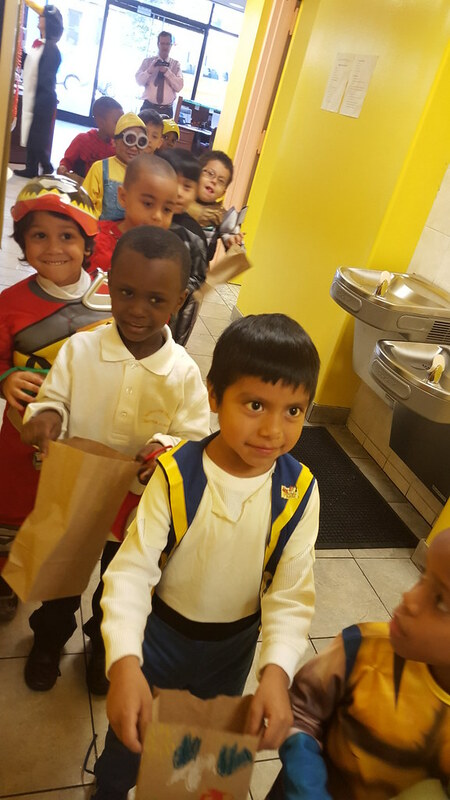 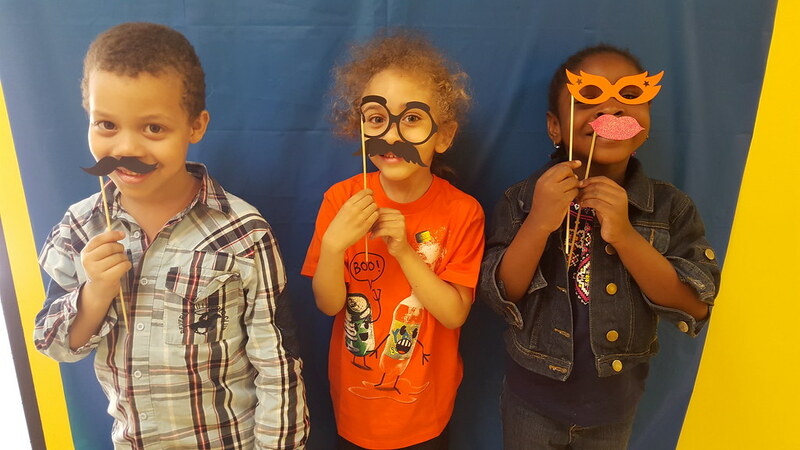 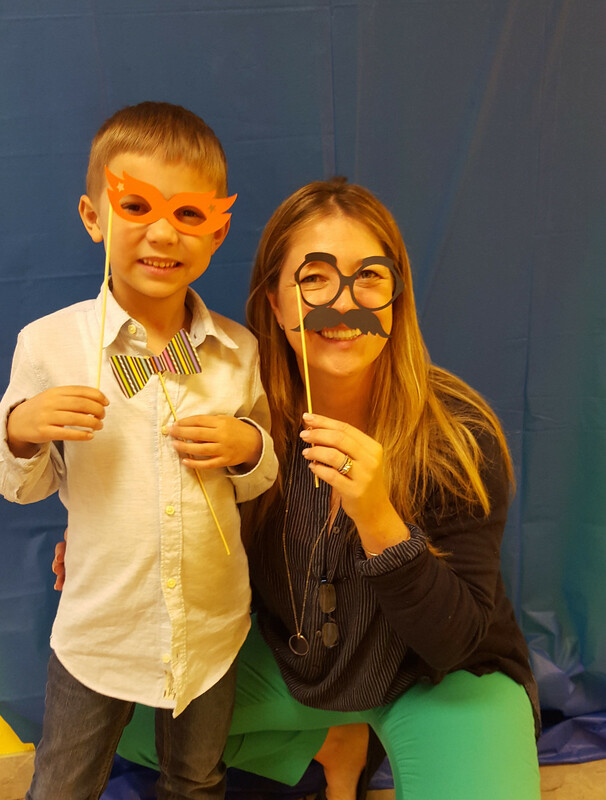 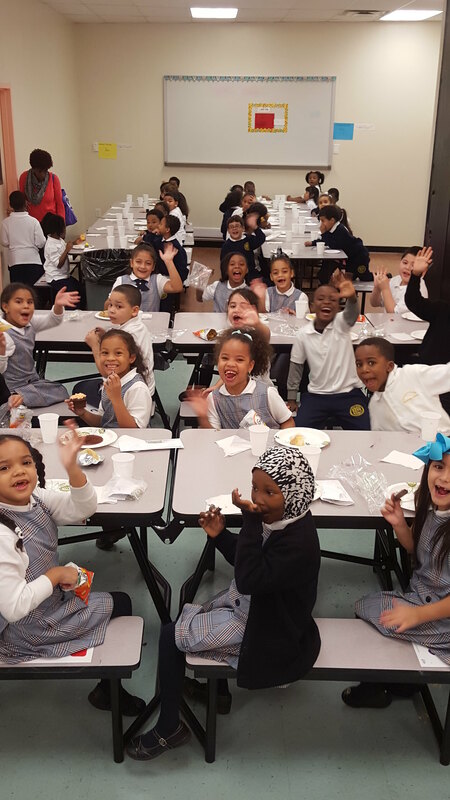 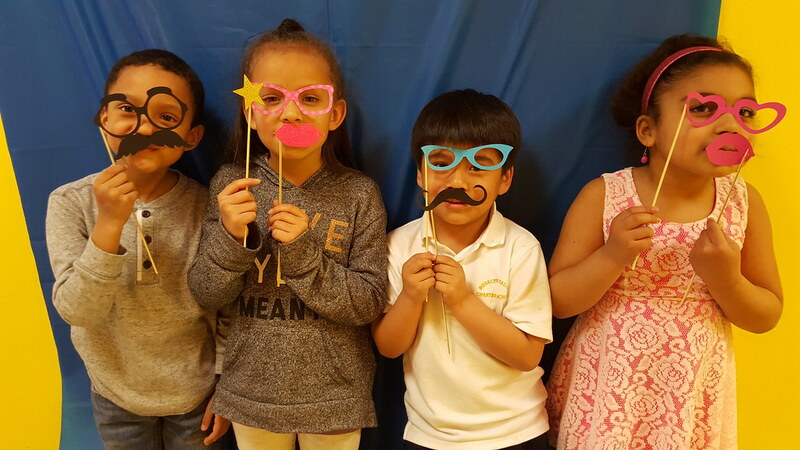 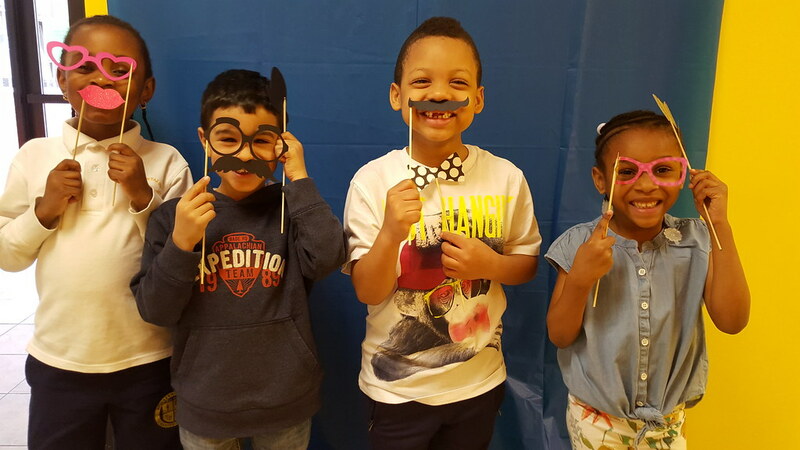 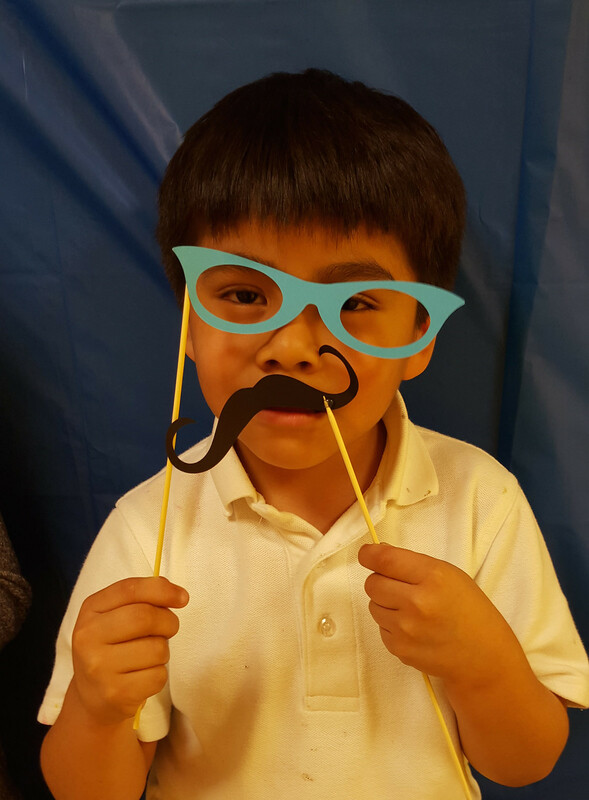 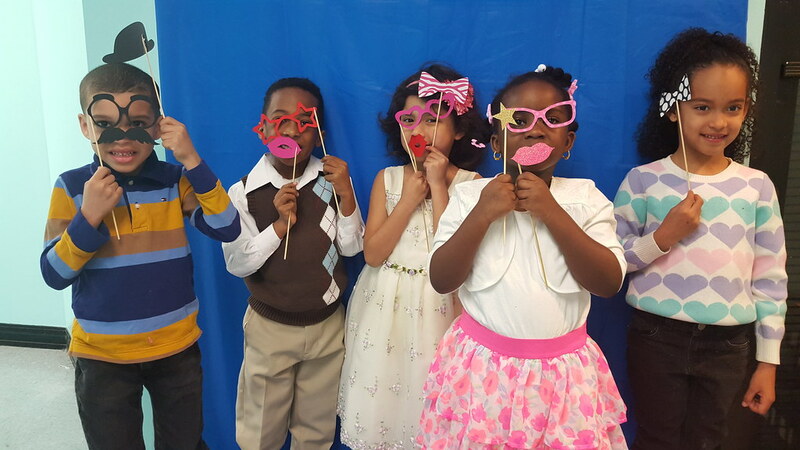 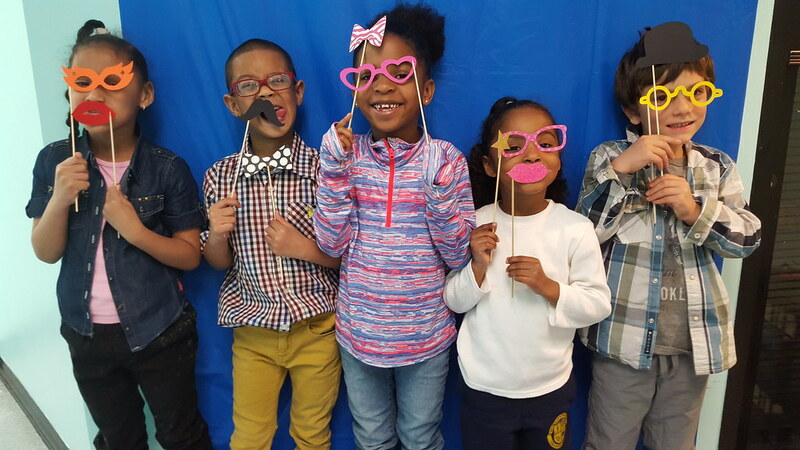 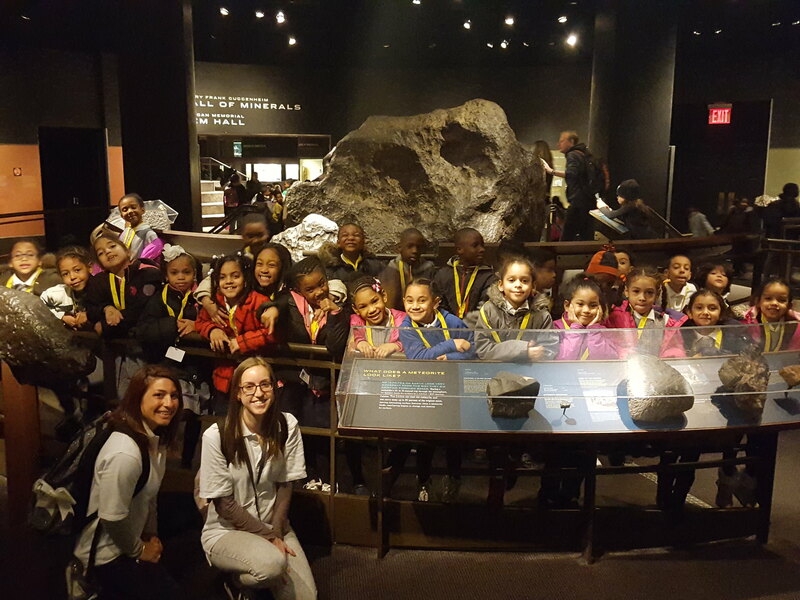 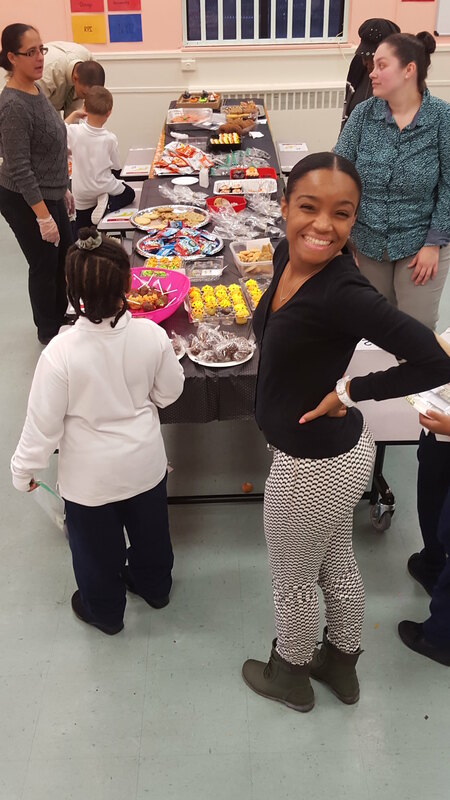 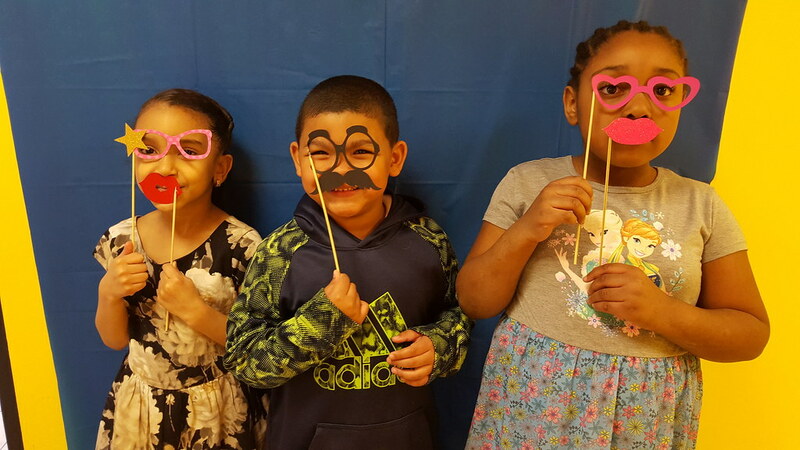 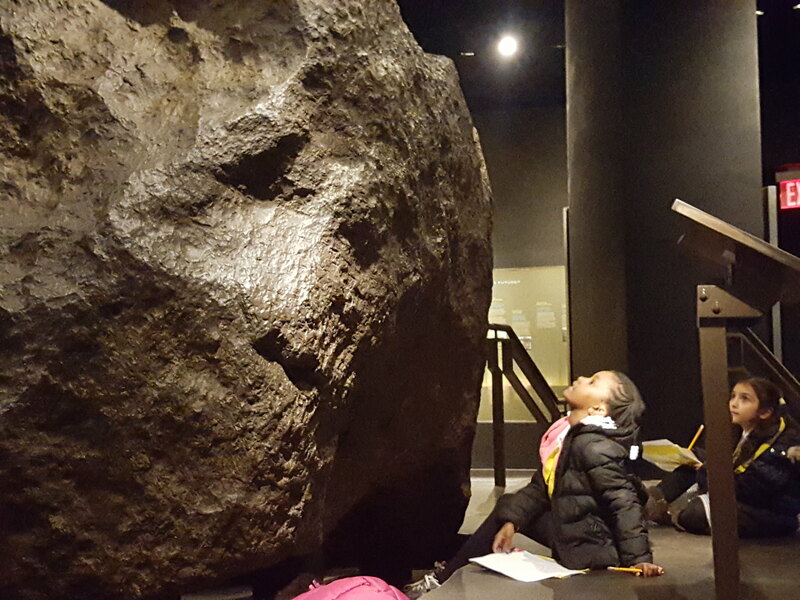 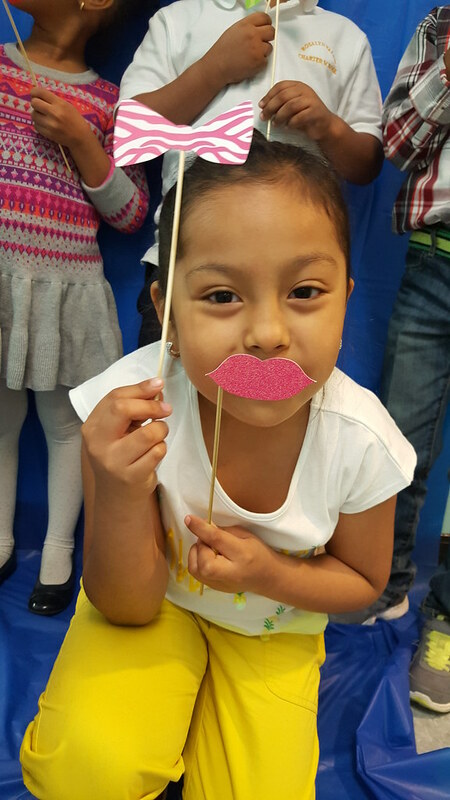 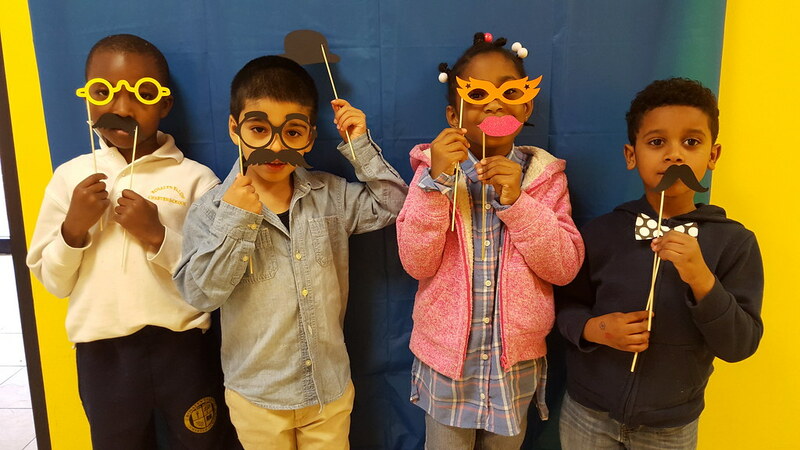 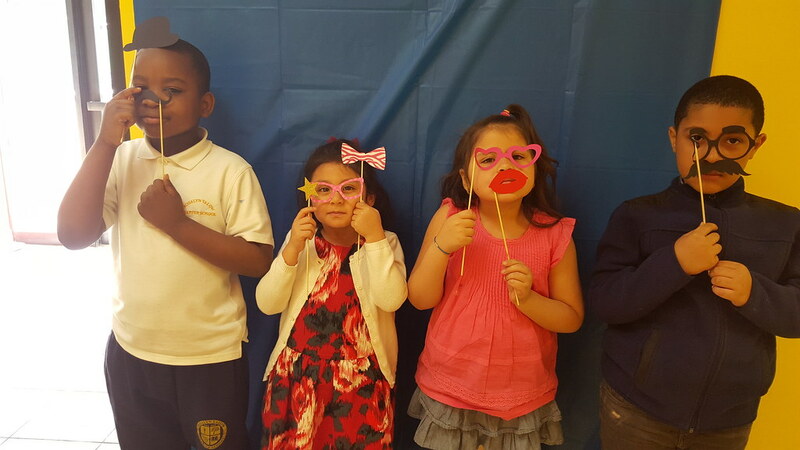 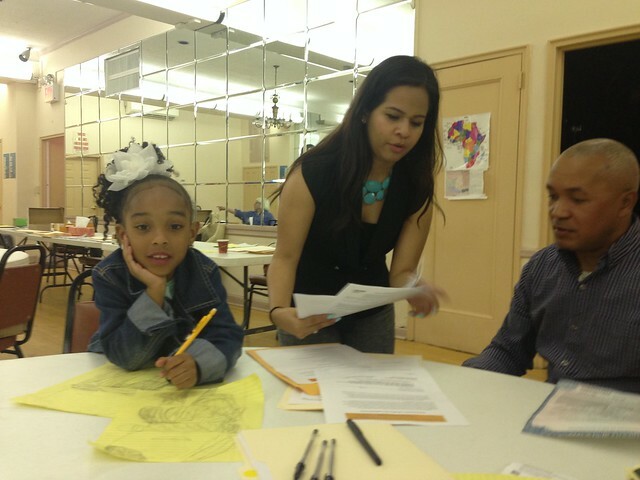 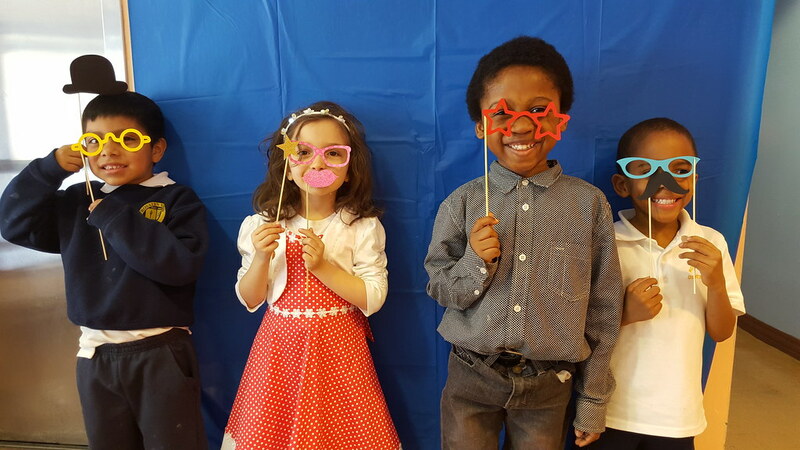 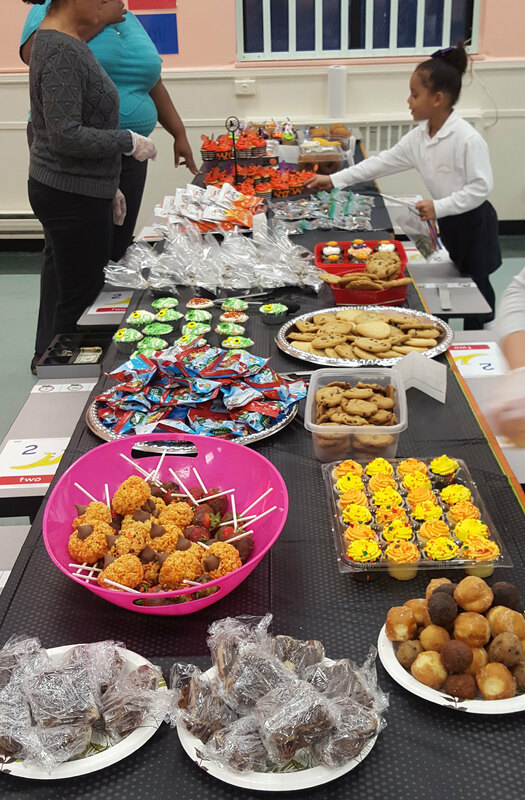 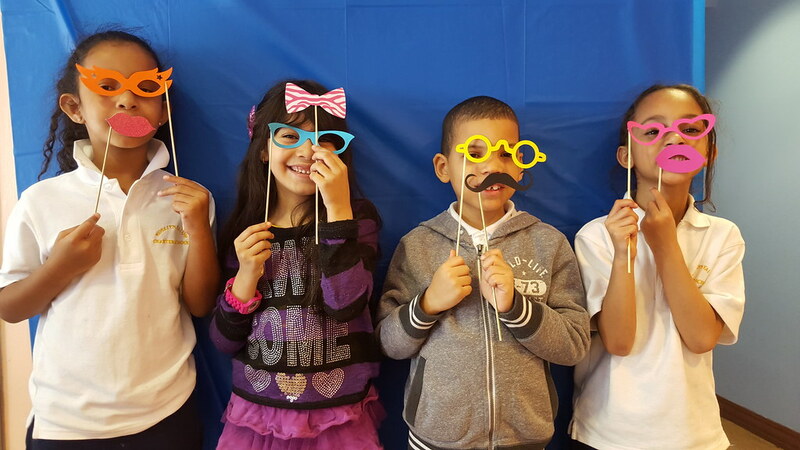 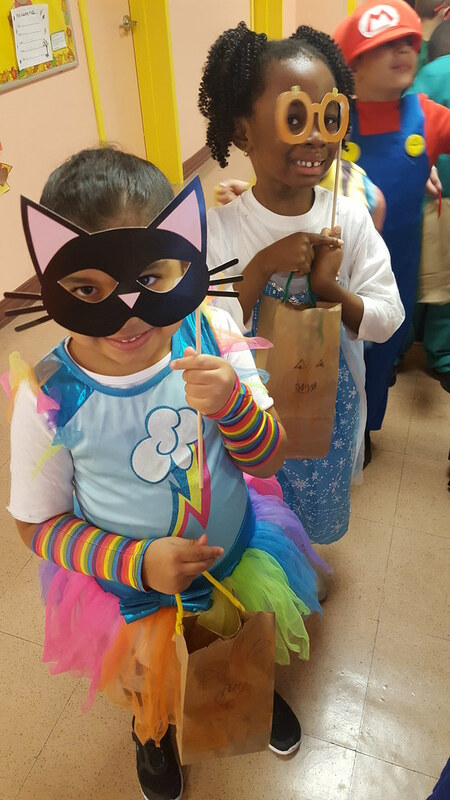 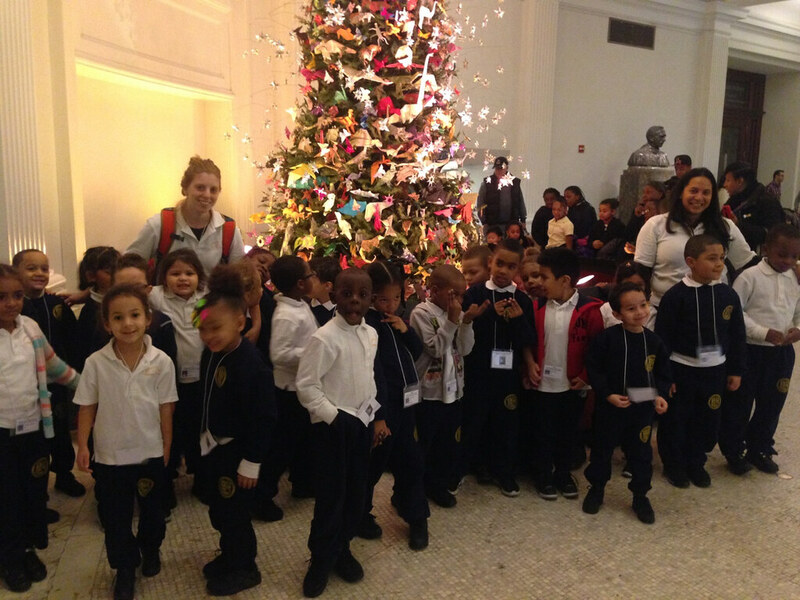 Yalow’s kindergarten and 1st-graders competed against 39 kindergarten, 1st-, 2nd-, and 3rd-graders from 21 schools. 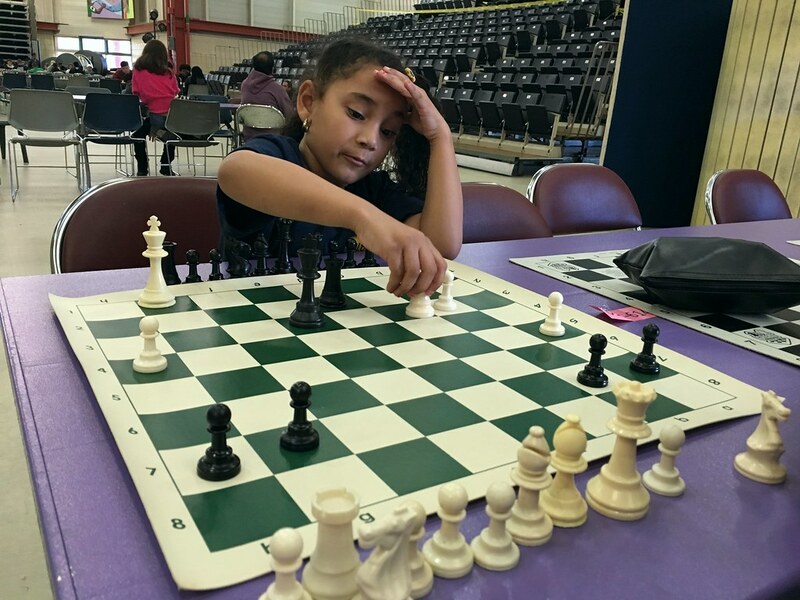 First-grader Abigail Romero (above) took 10th place overall, winning 3 of her 4 matches, and the Tigers missed 3rd place by 1 point. 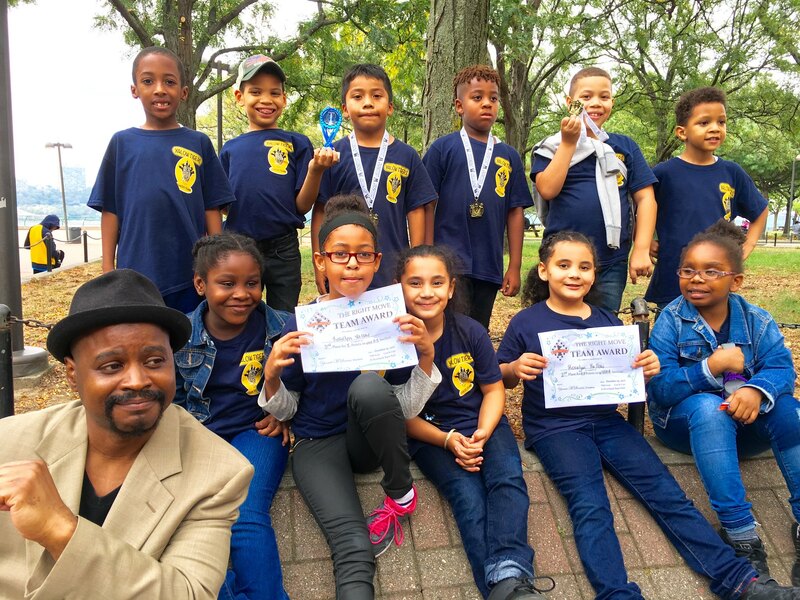 April 3, 2016 Yalow Tigers chess team takes 3rd place in first tournament at Riverbank State Park. 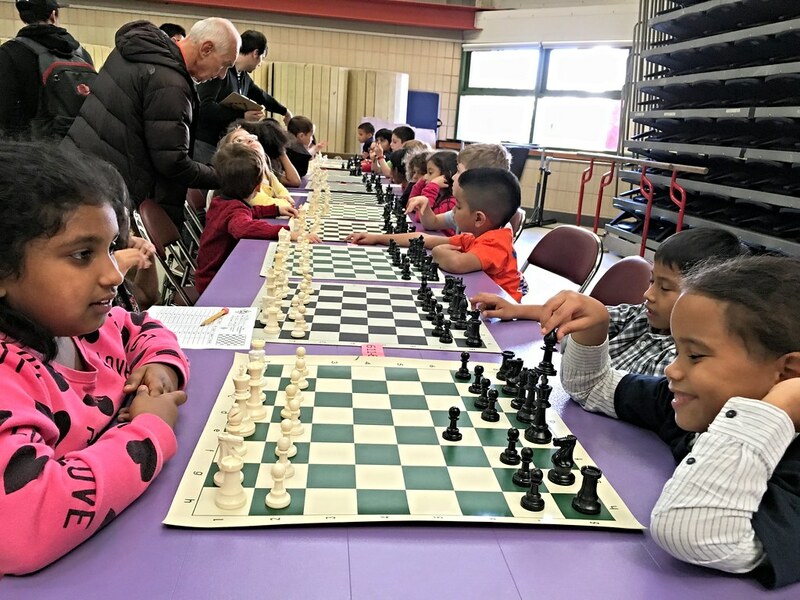 The team of 11 kindergarten and 1st-graders competed in a combined division of 2nd- and 3rd-graders against 40 players from more than 15 teams.